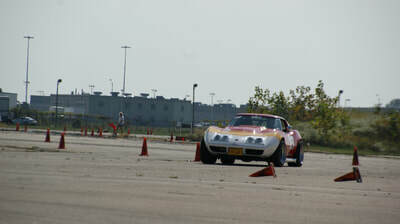 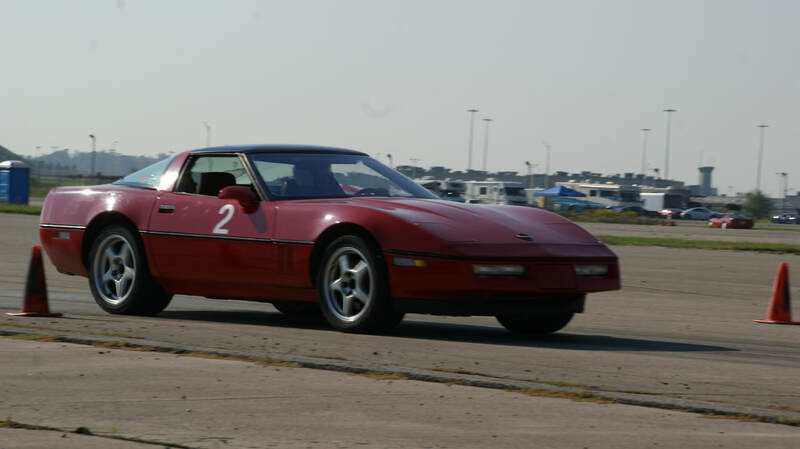 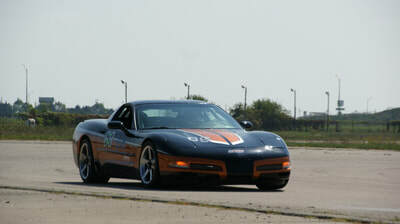 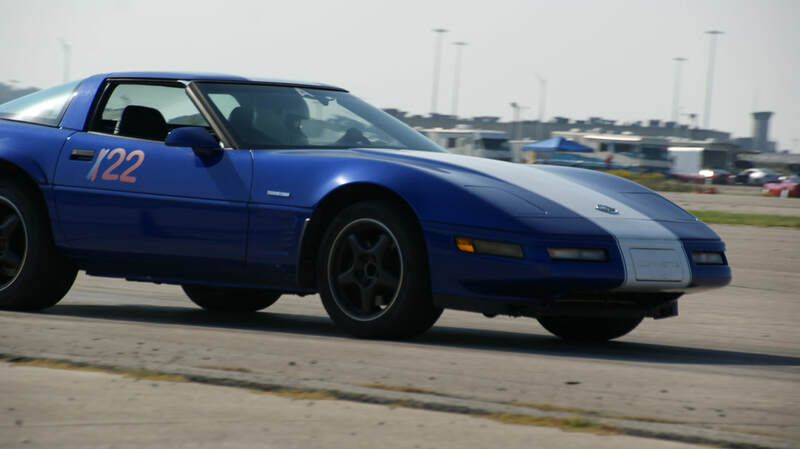 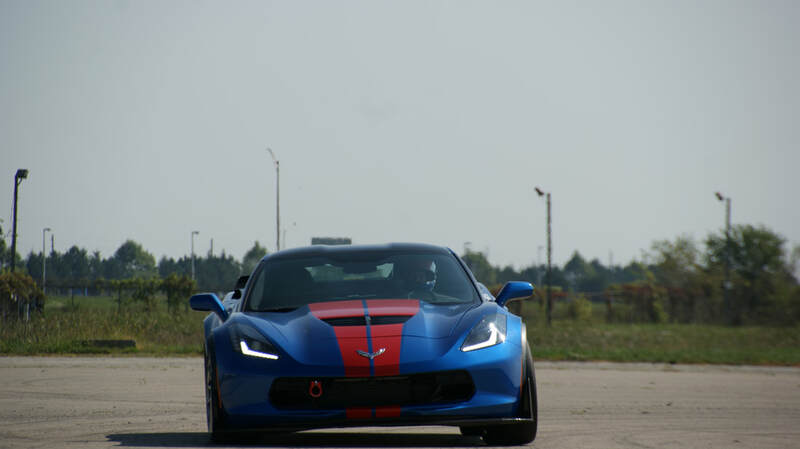 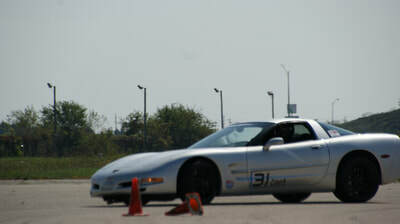 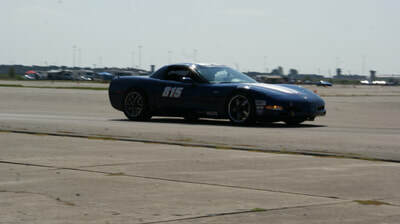 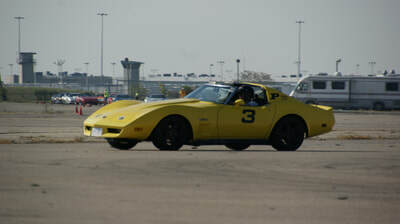 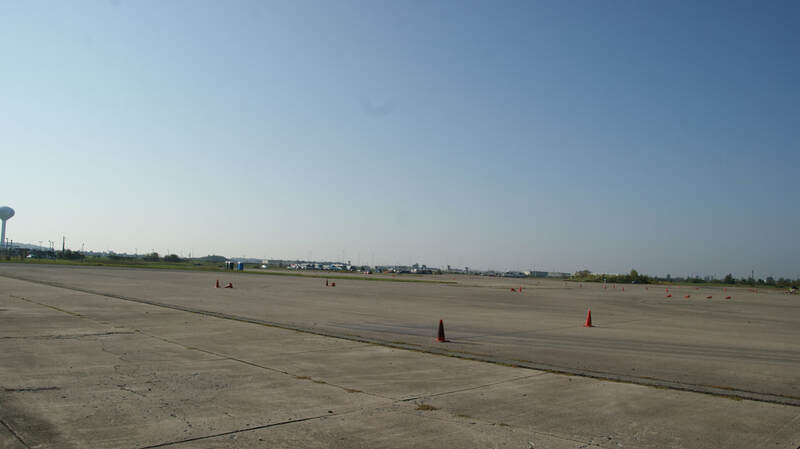 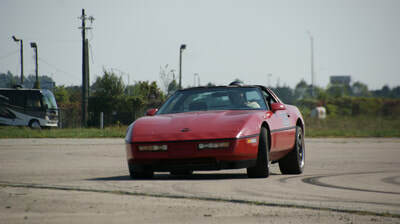 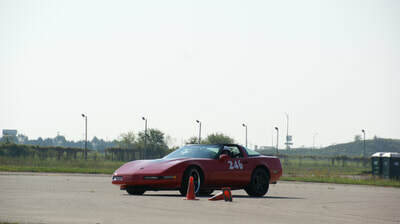 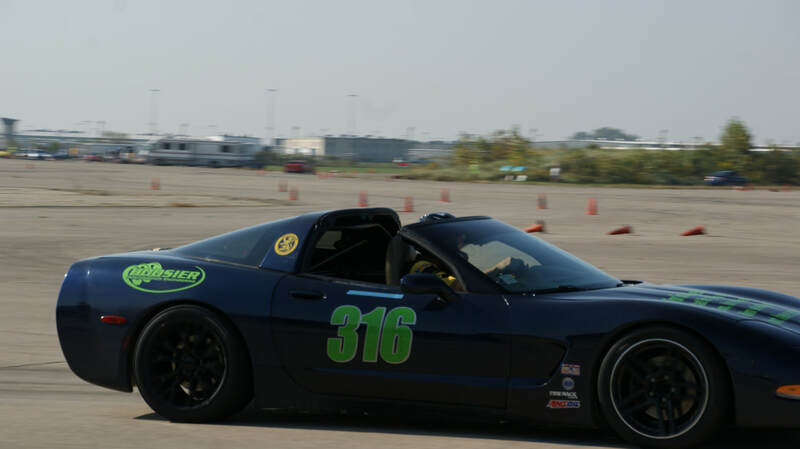 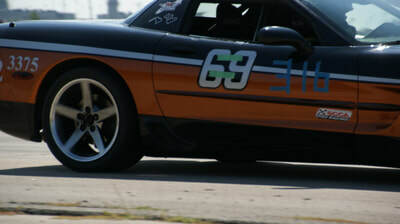 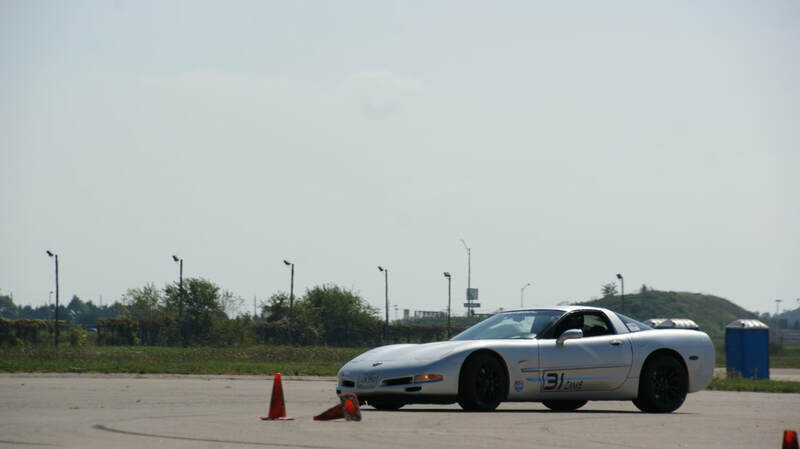 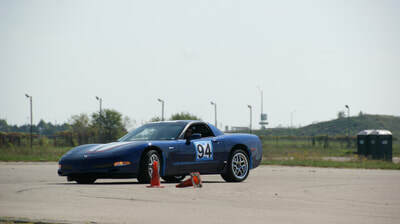 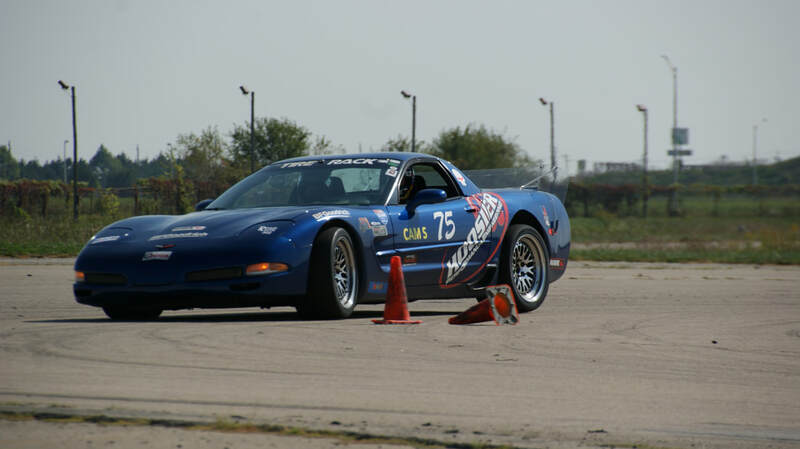 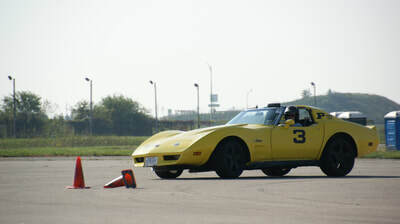 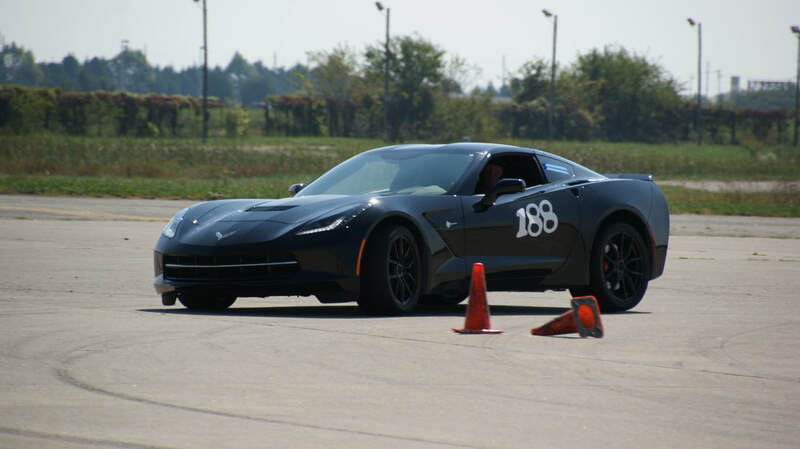 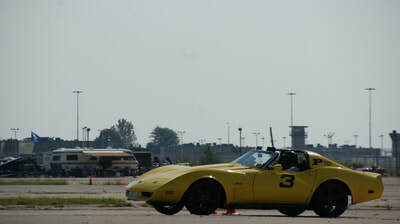 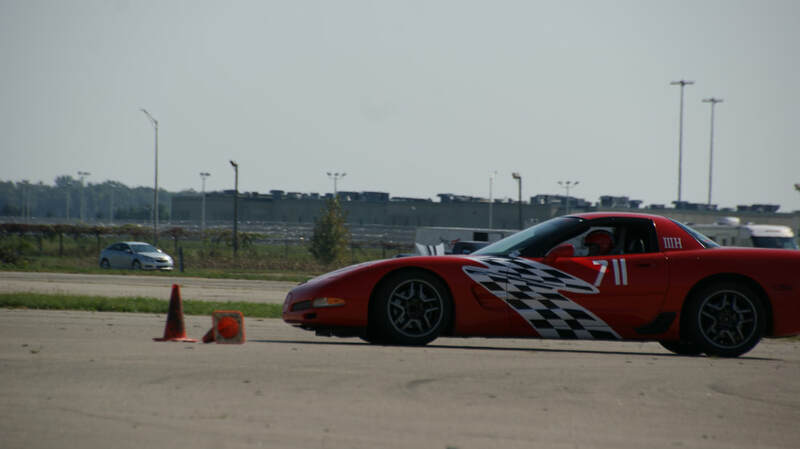 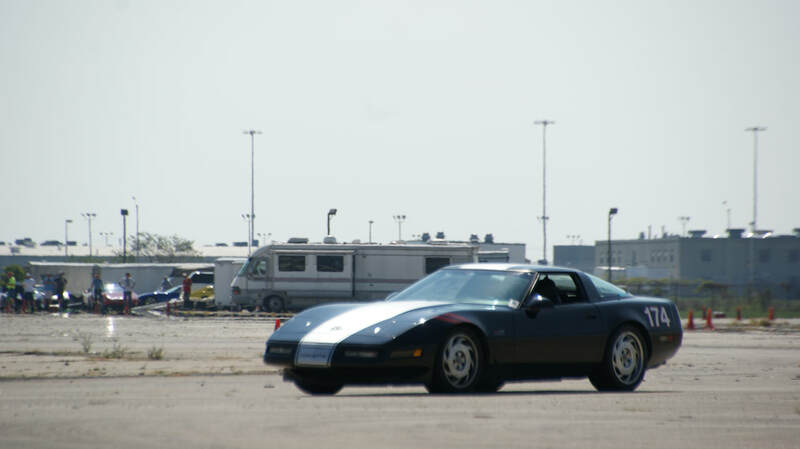 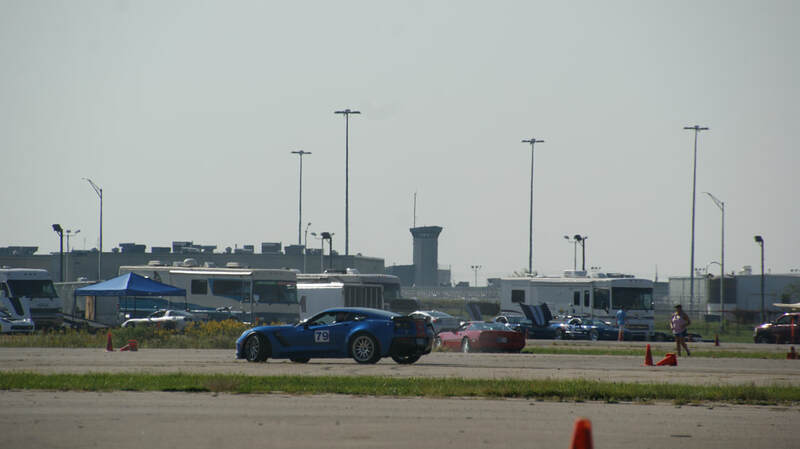 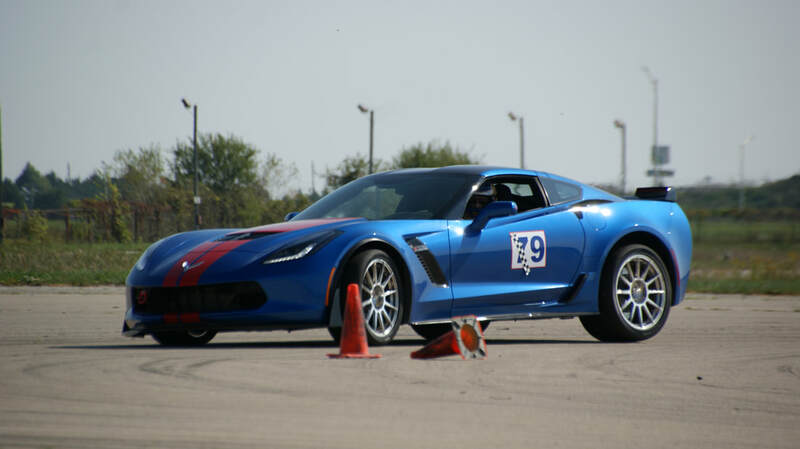 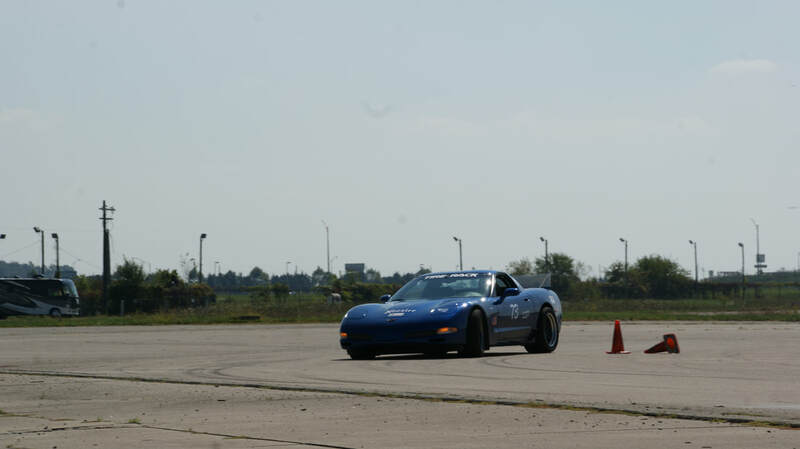 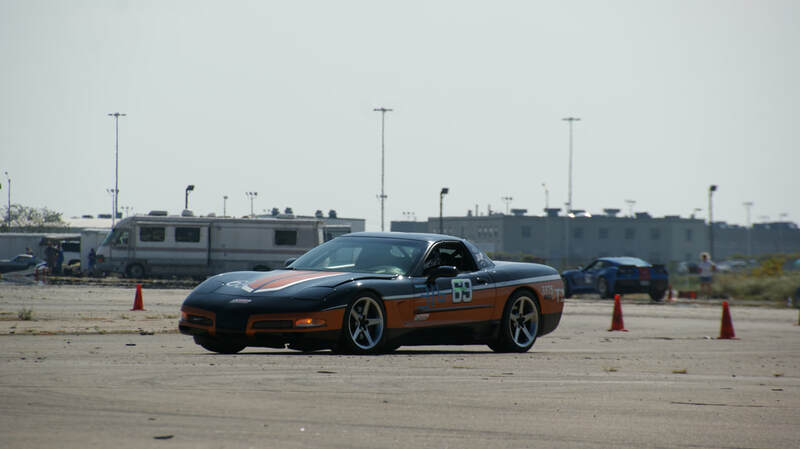 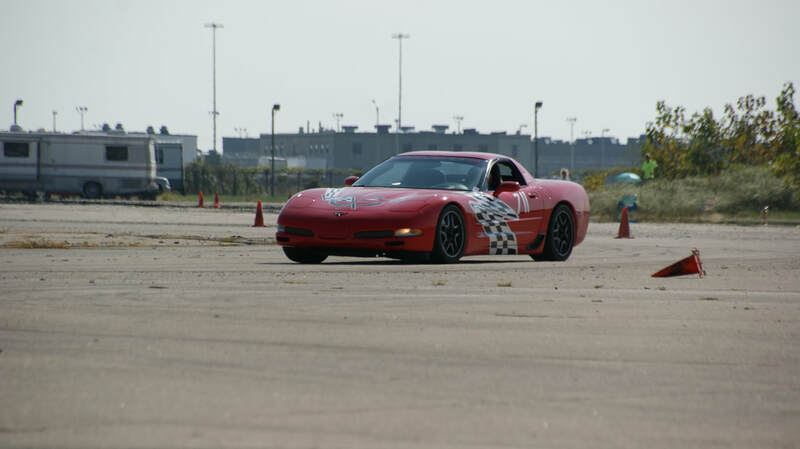 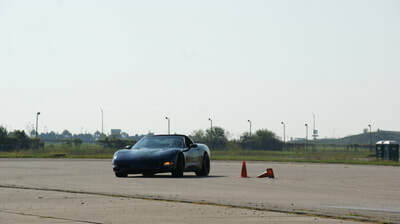 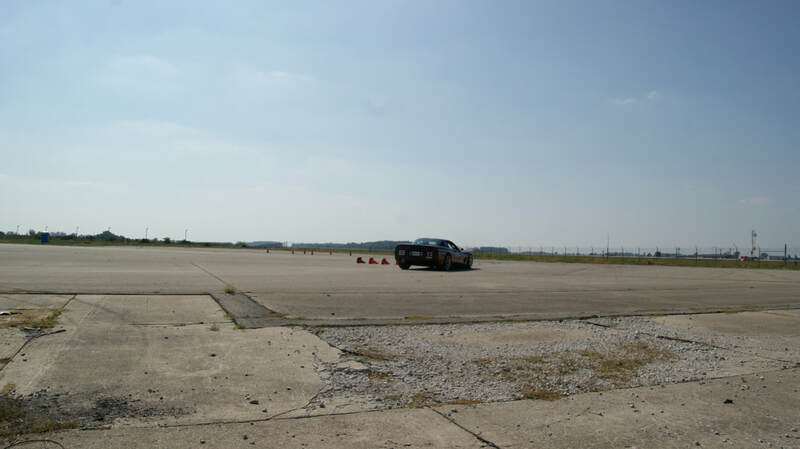 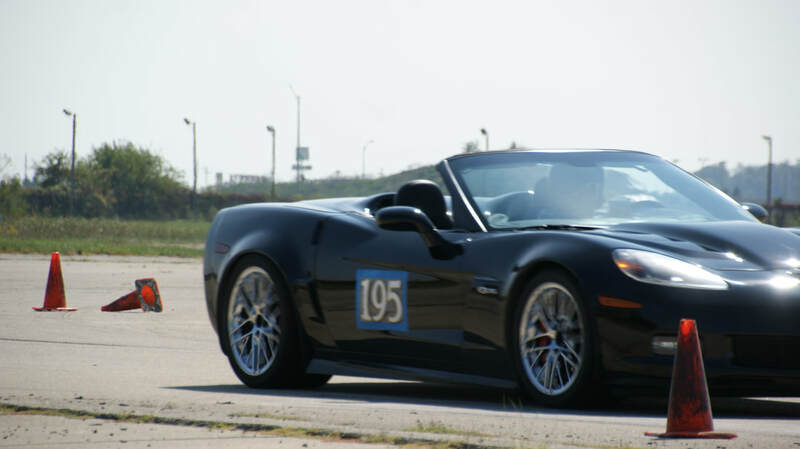 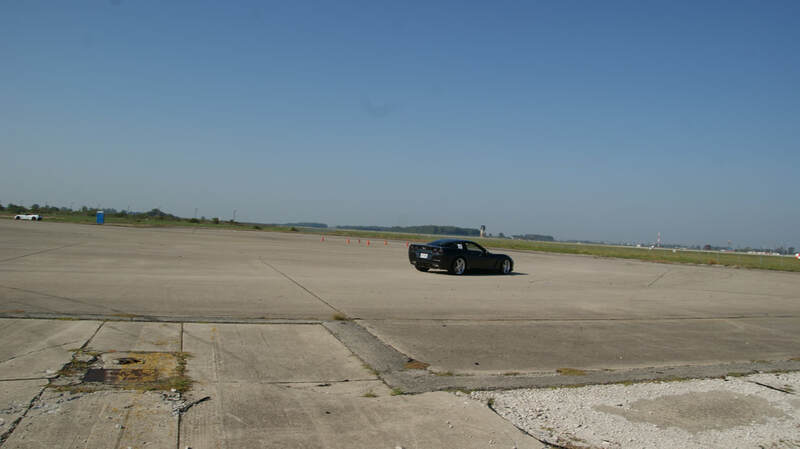 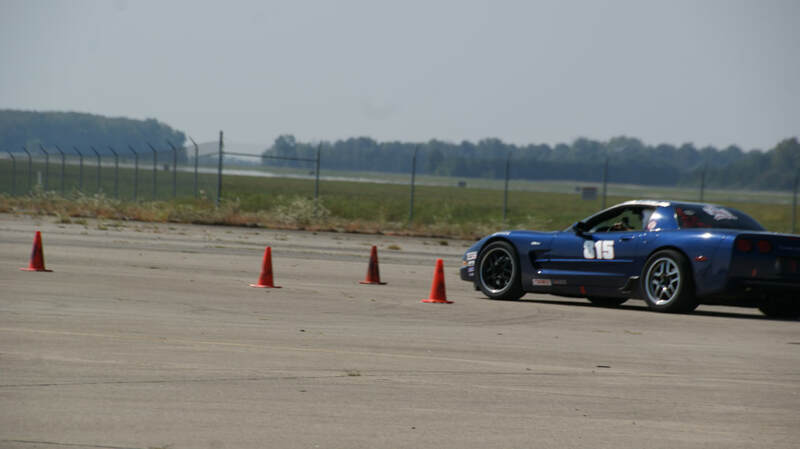 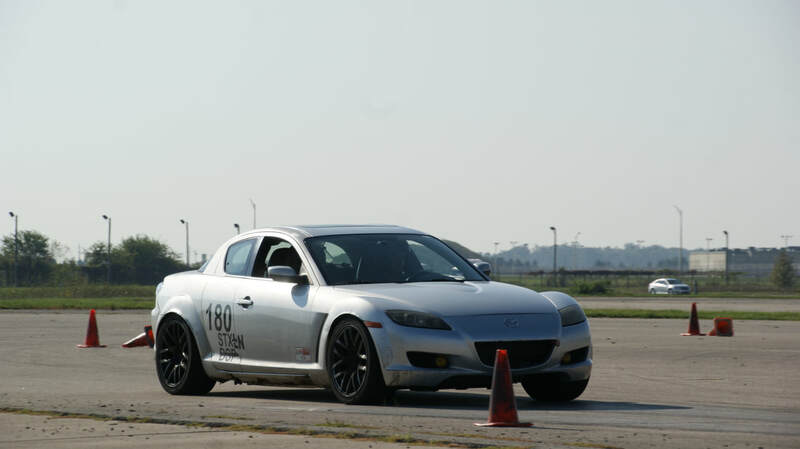 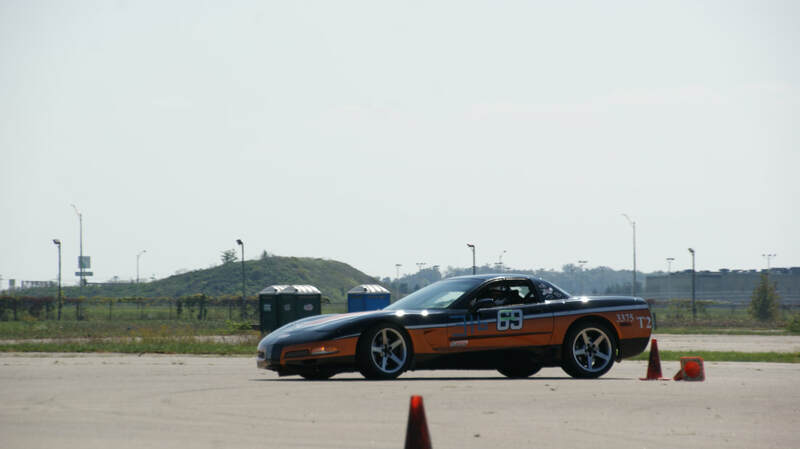 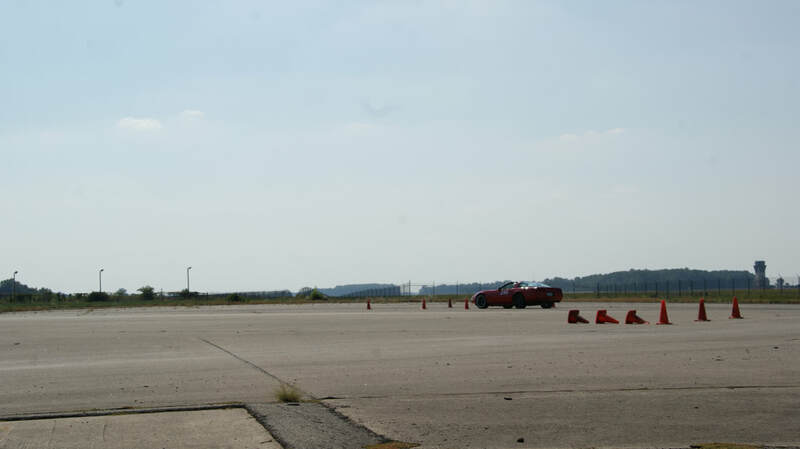 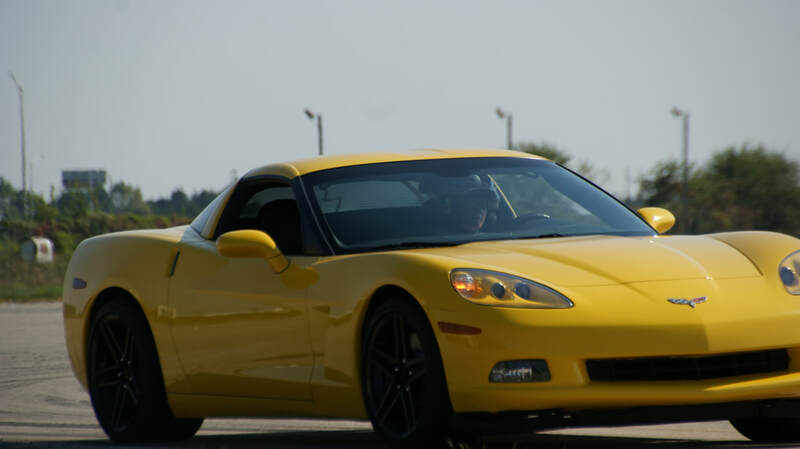 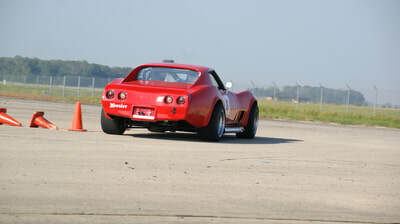 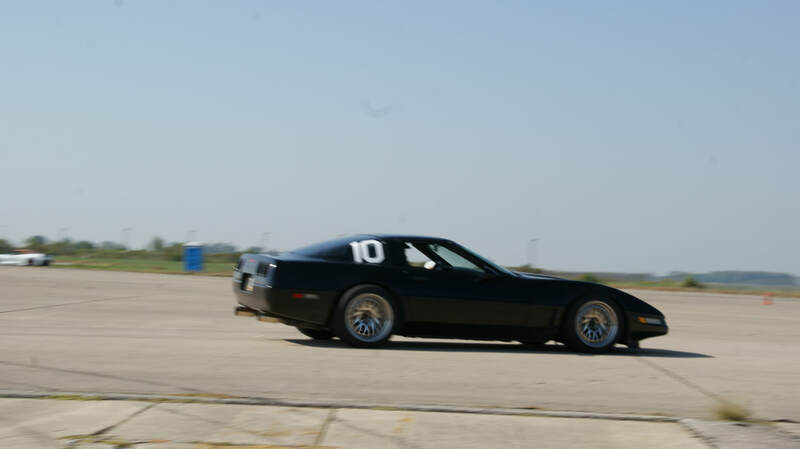 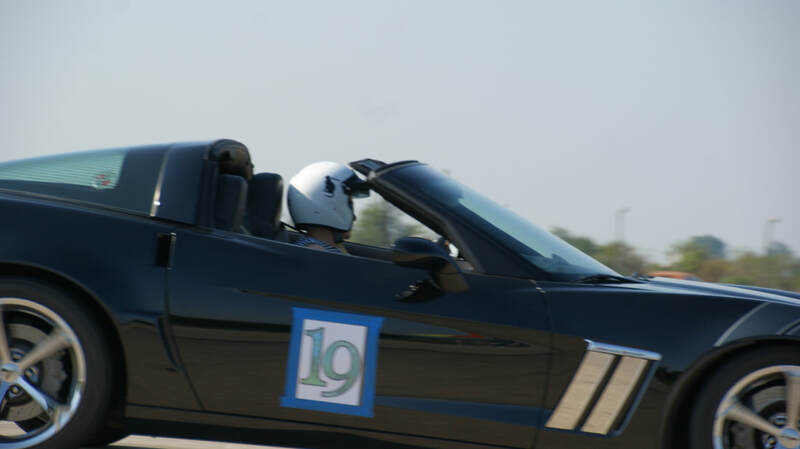 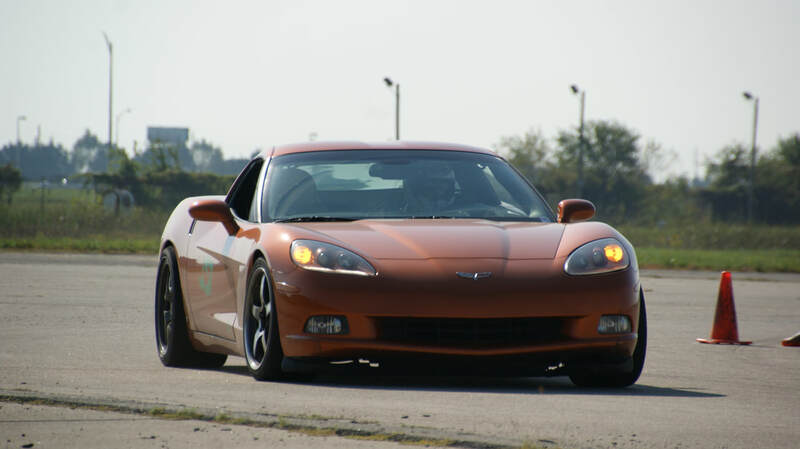 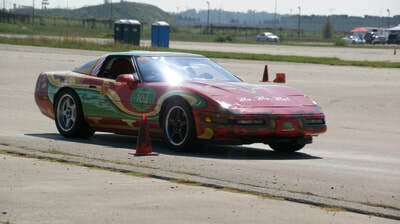 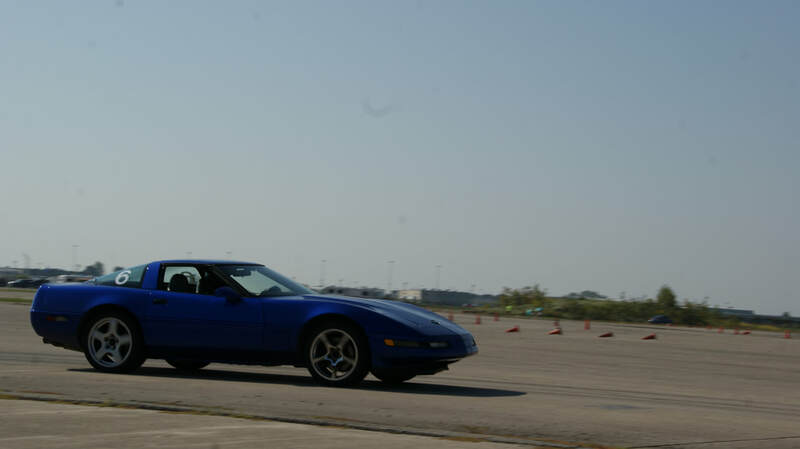 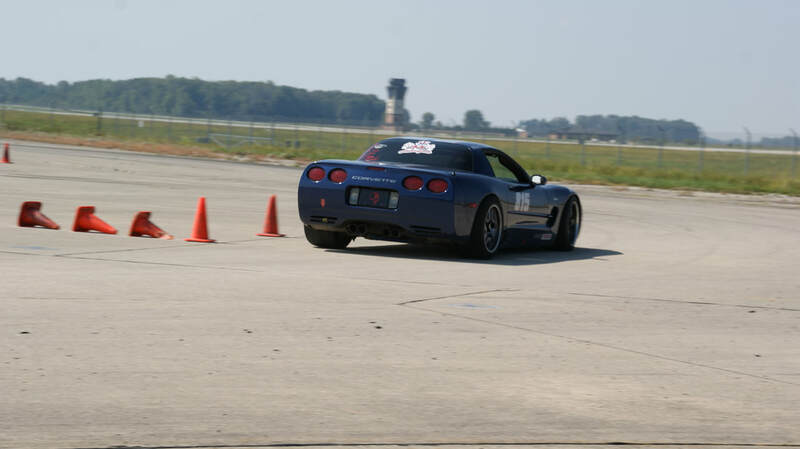 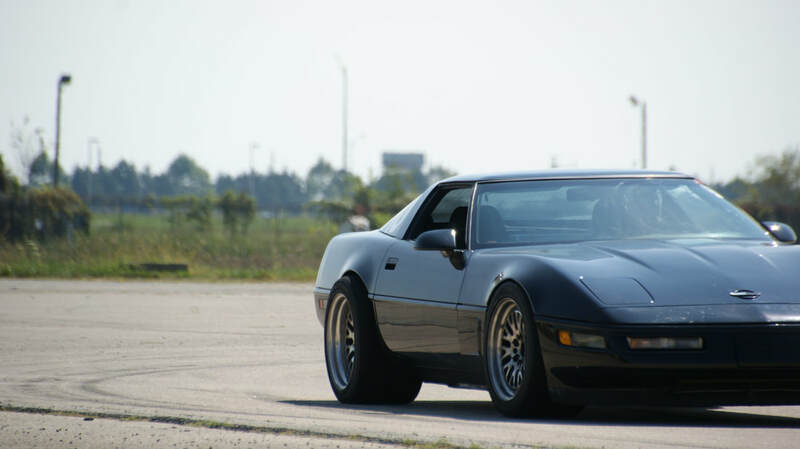 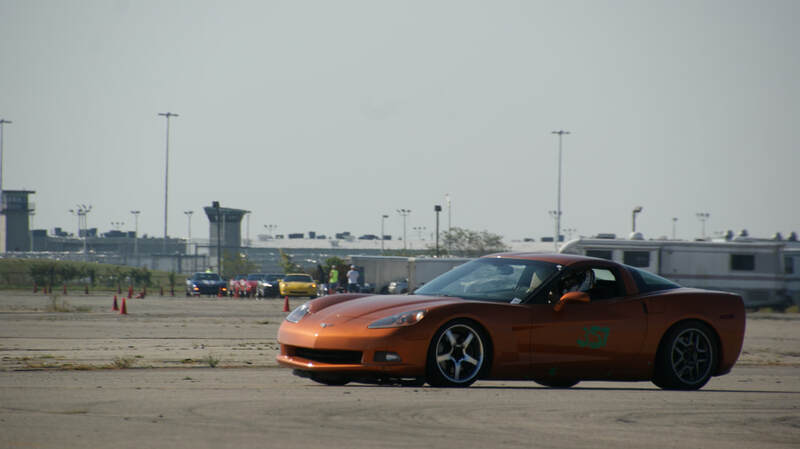 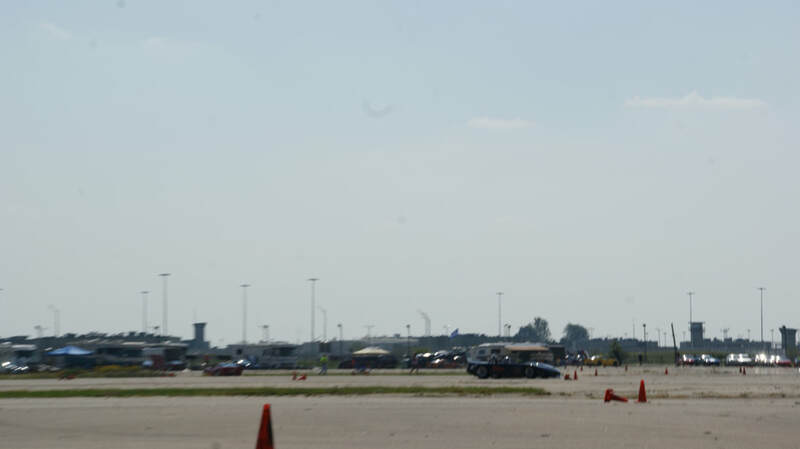 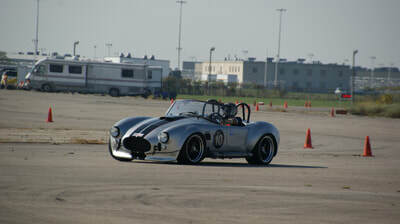 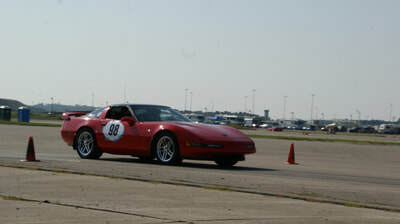 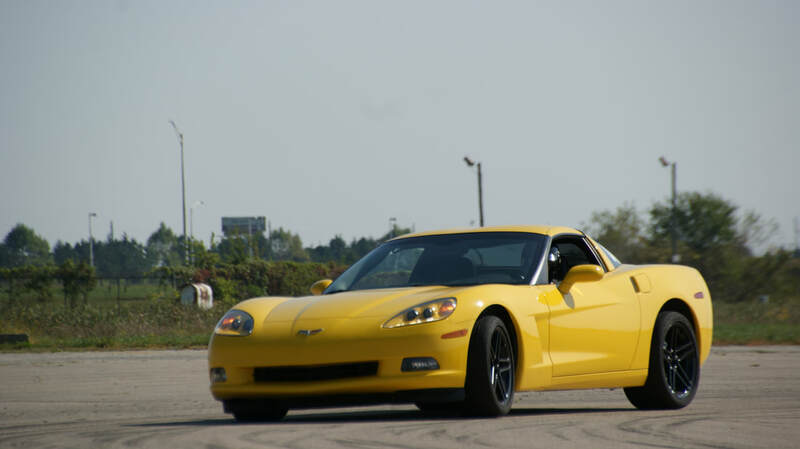 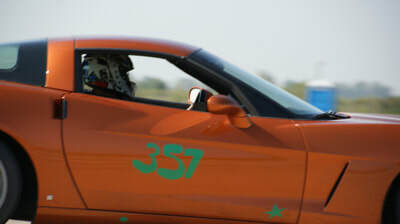 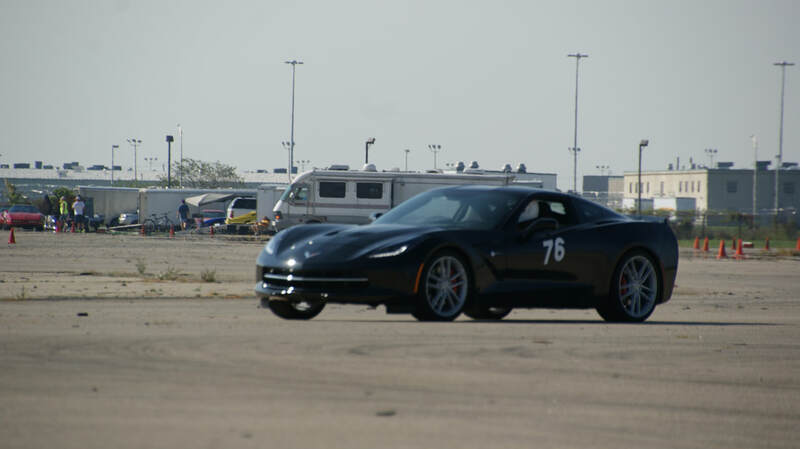 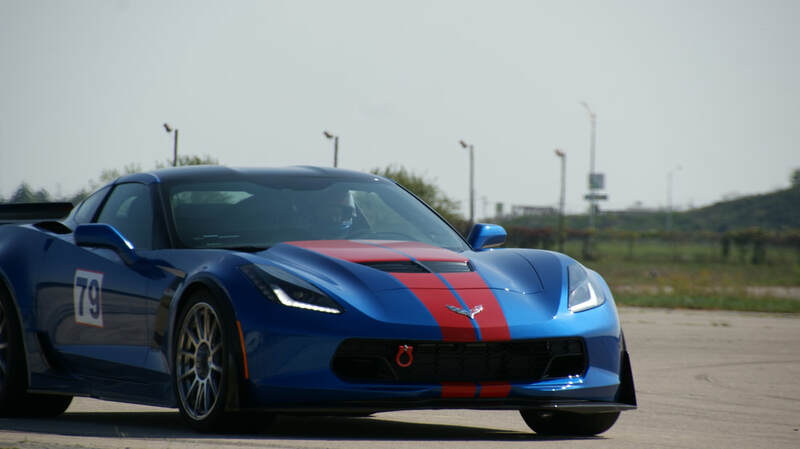 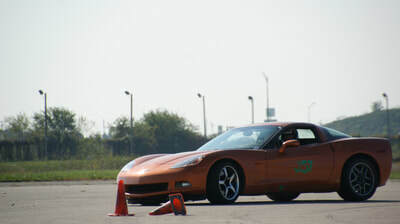 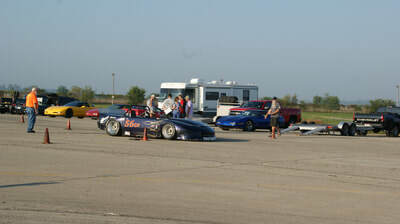 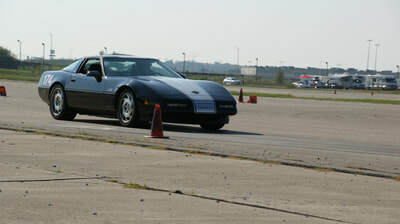 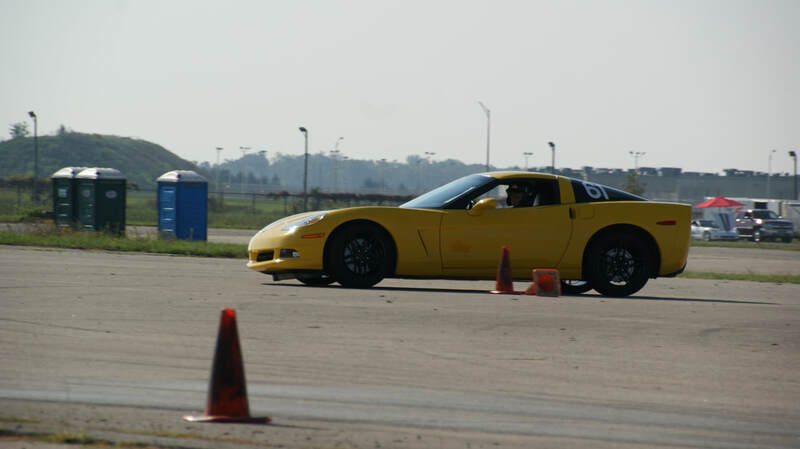 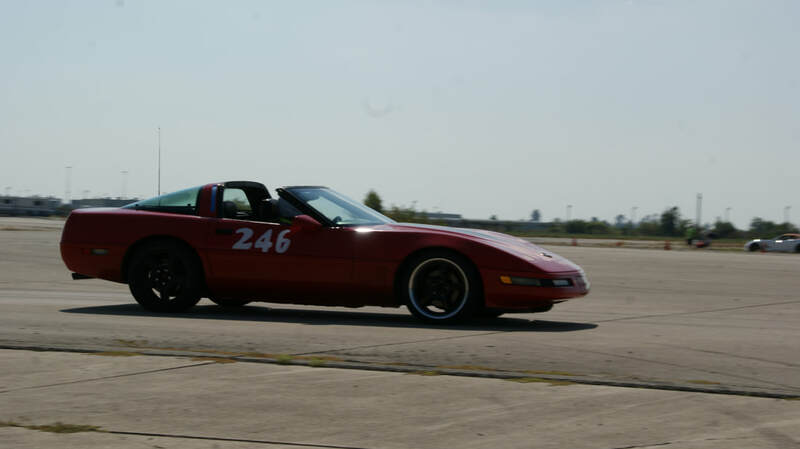 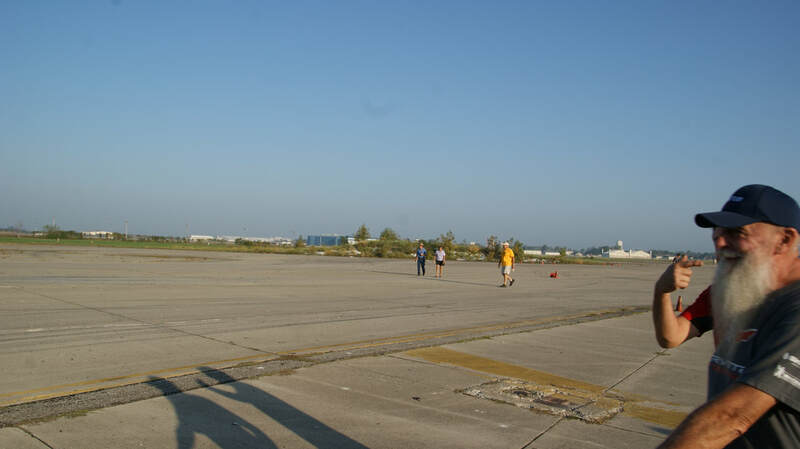 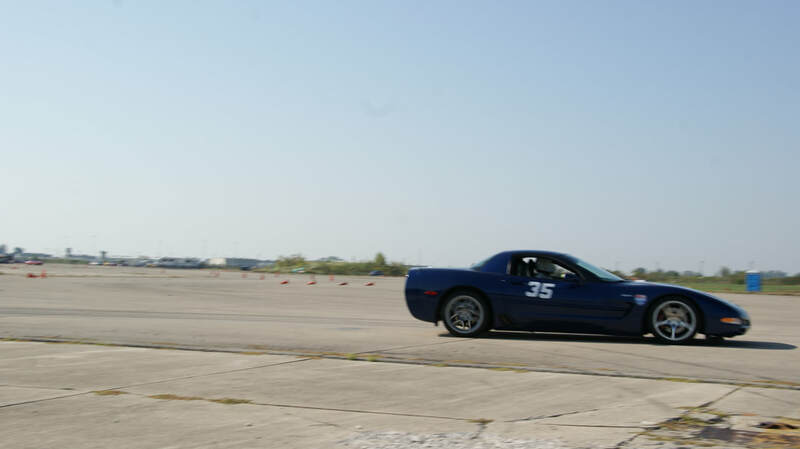 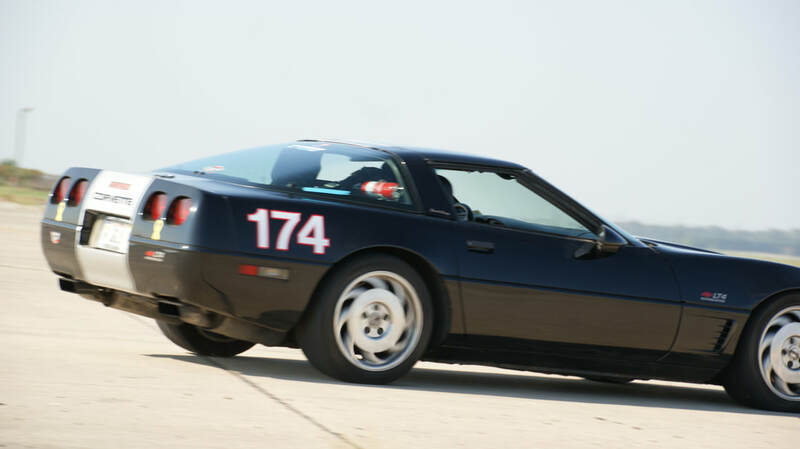 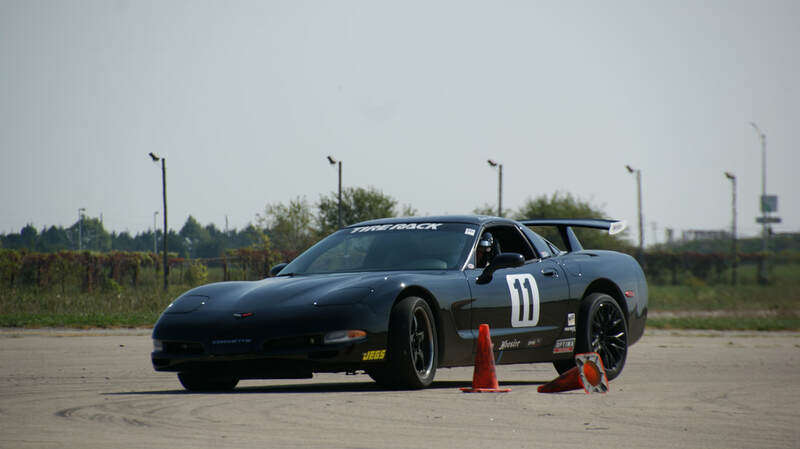 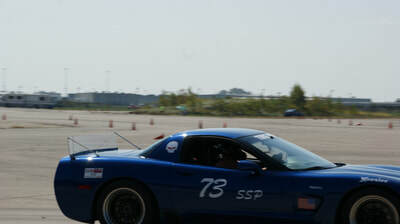 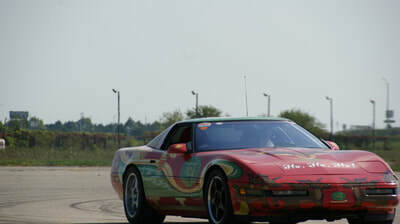 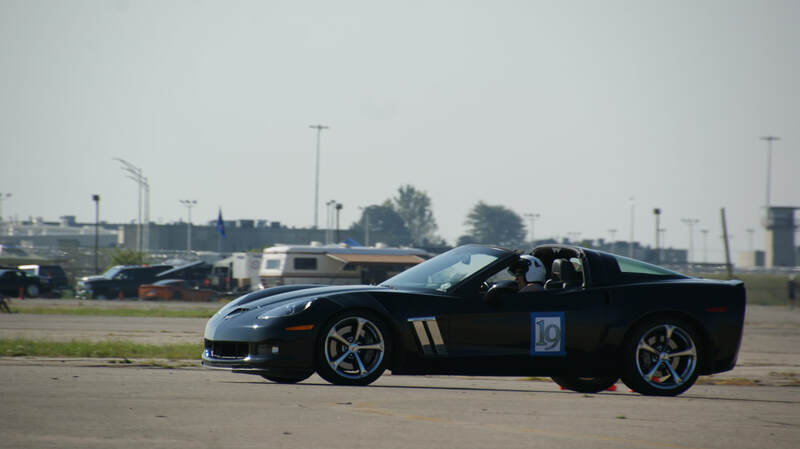 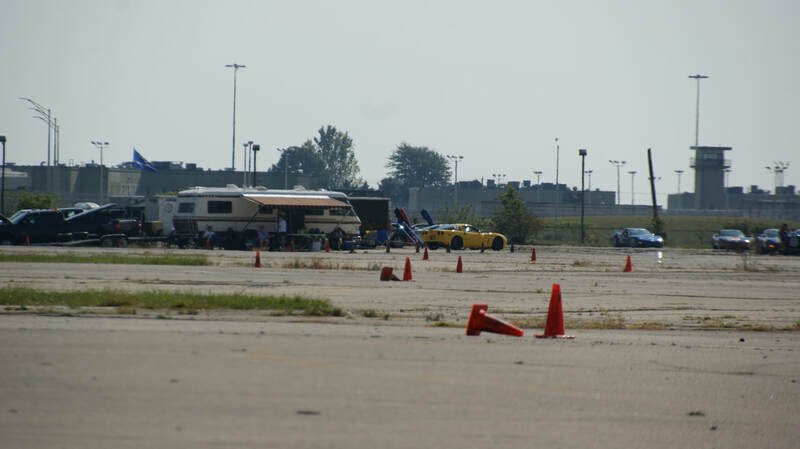 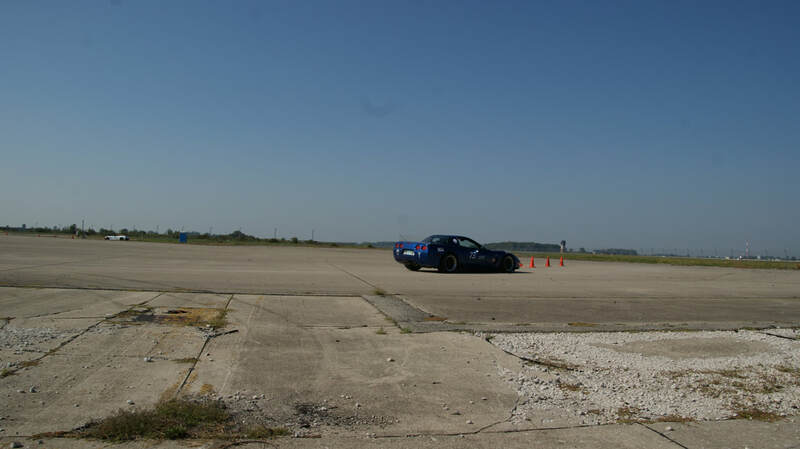 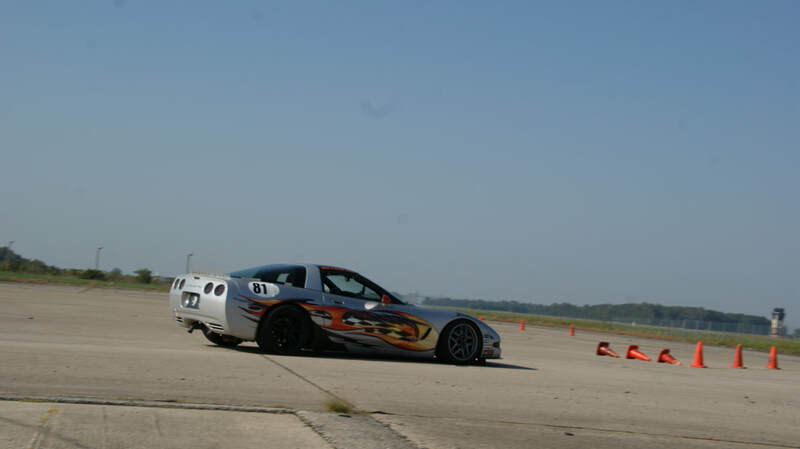 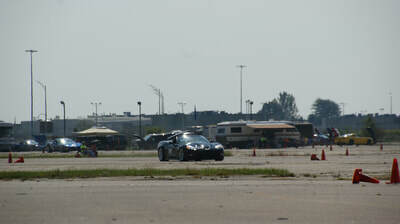 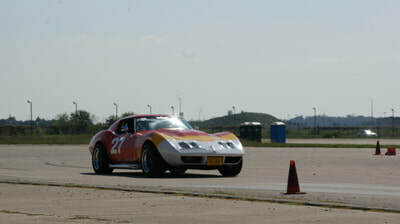 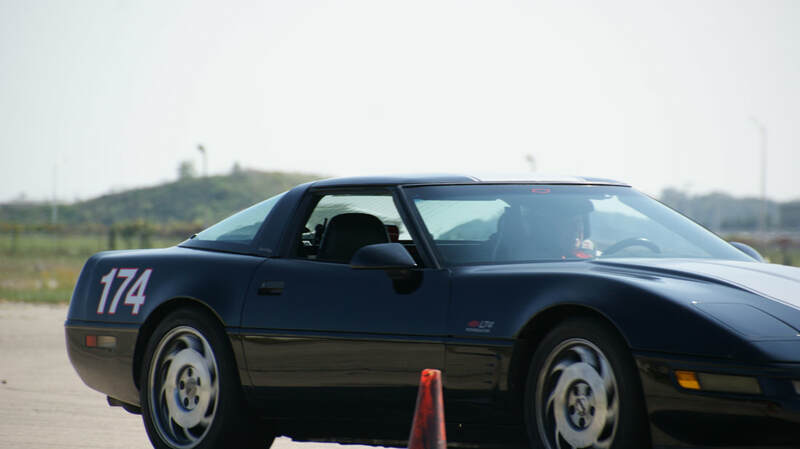 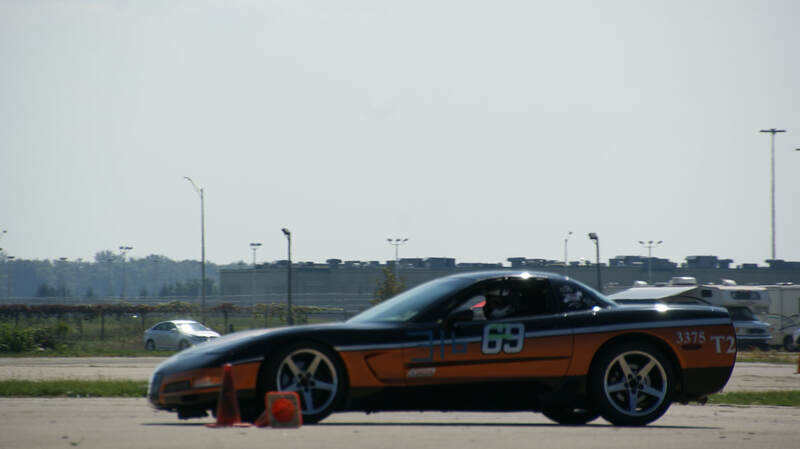 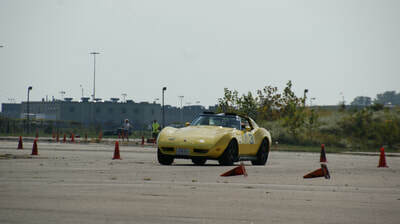 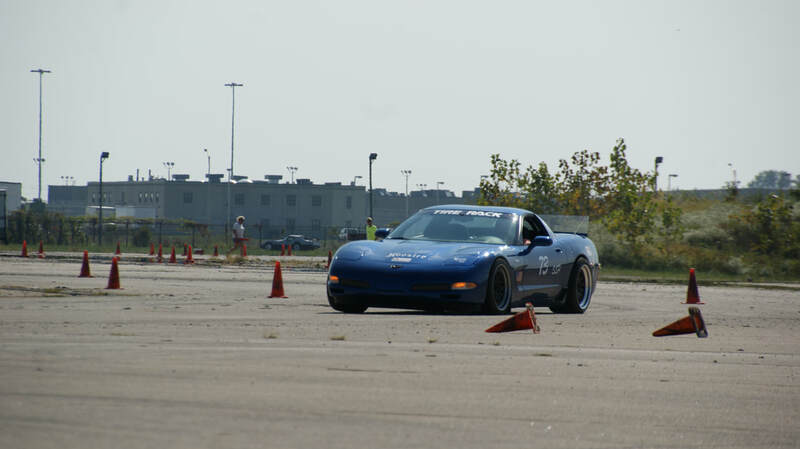 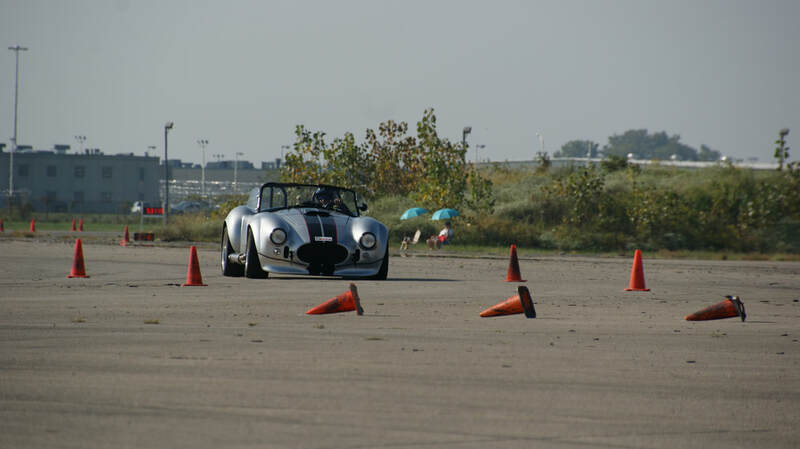 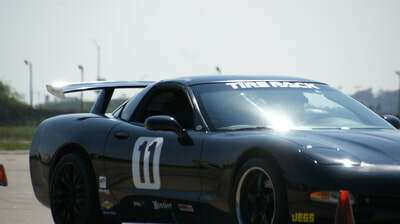 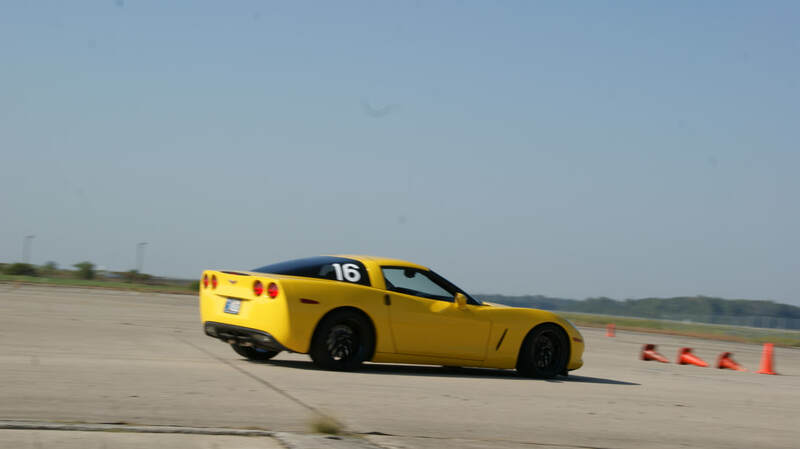 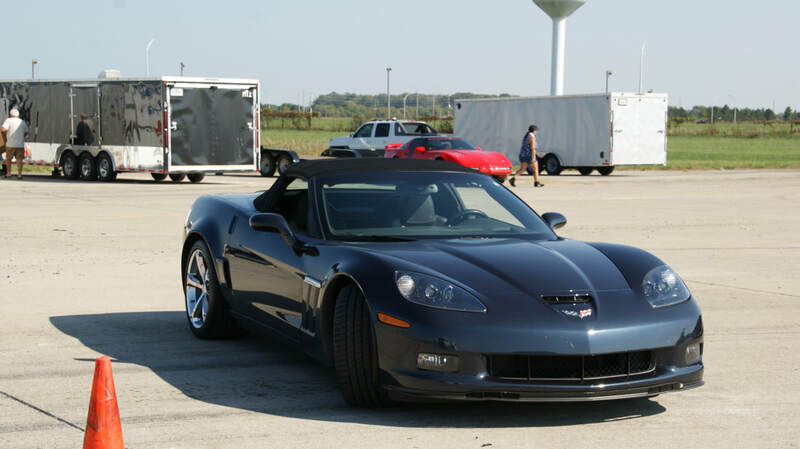 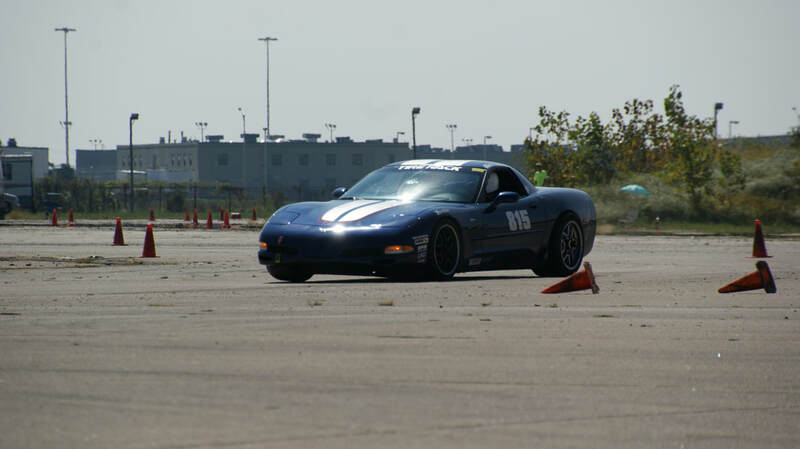 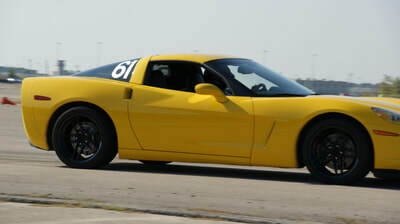 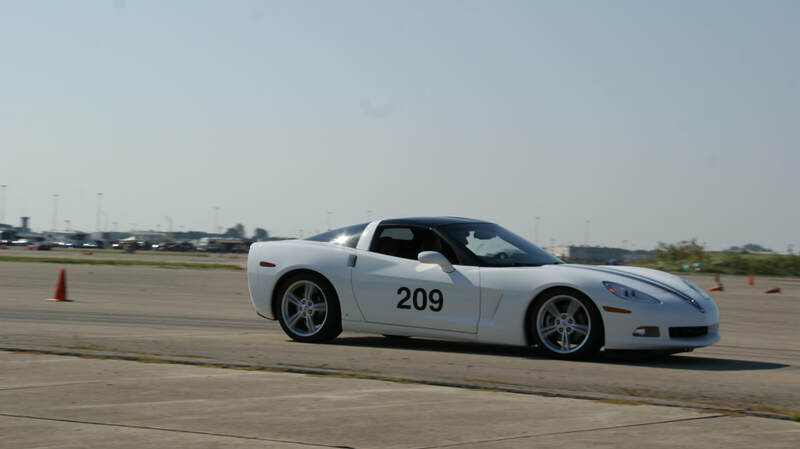 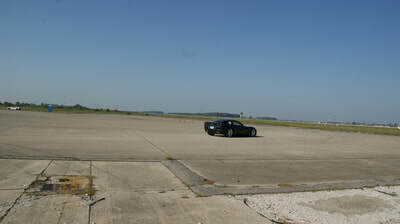 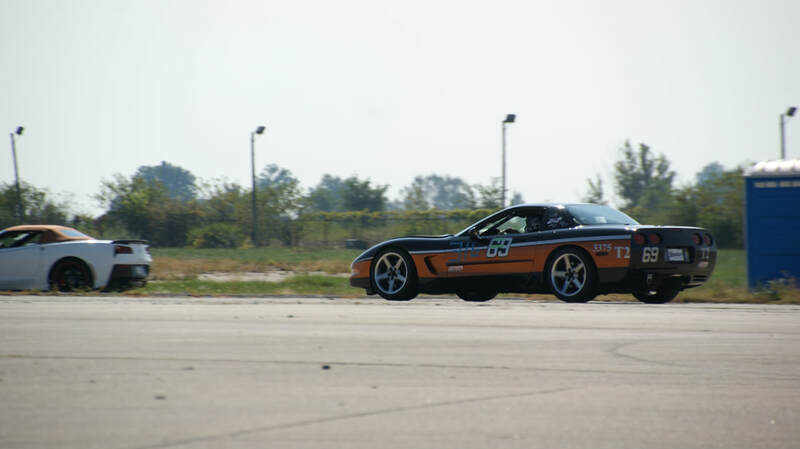 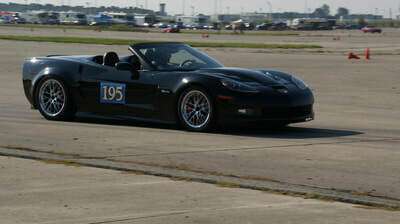 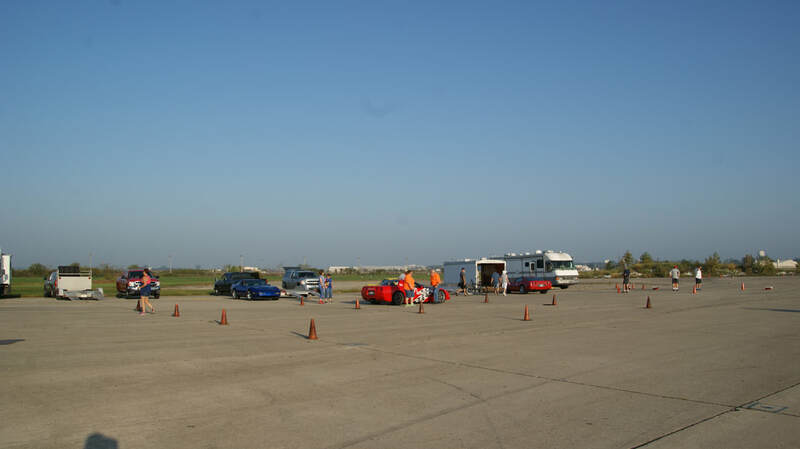 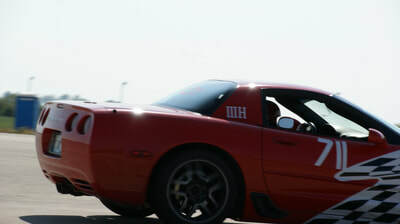 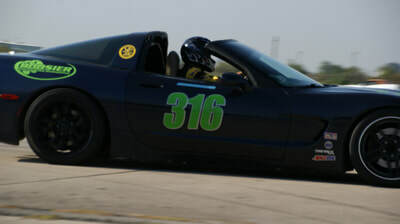 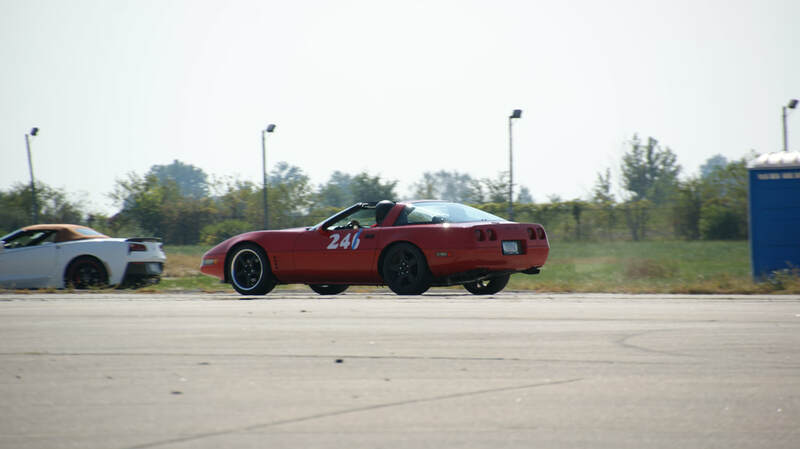 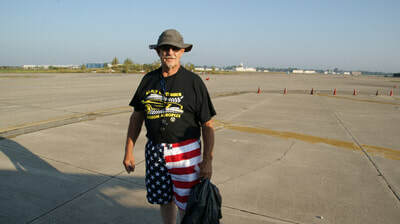 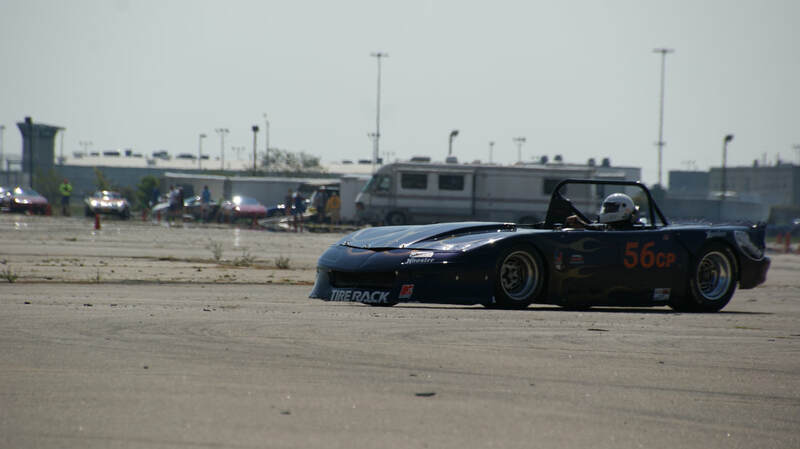 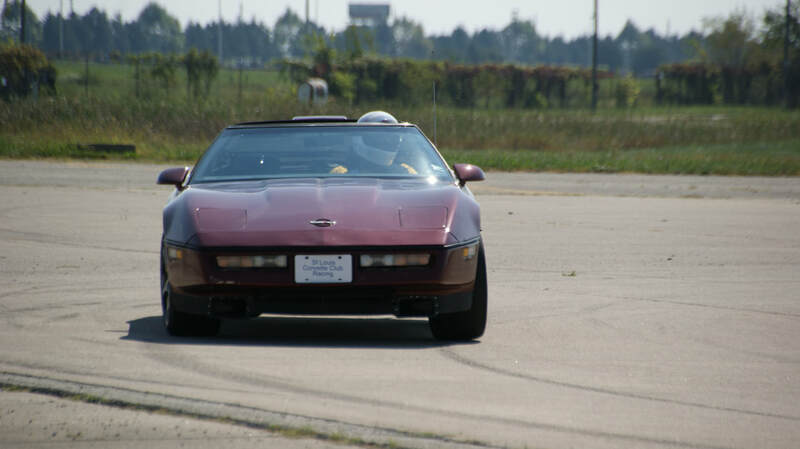 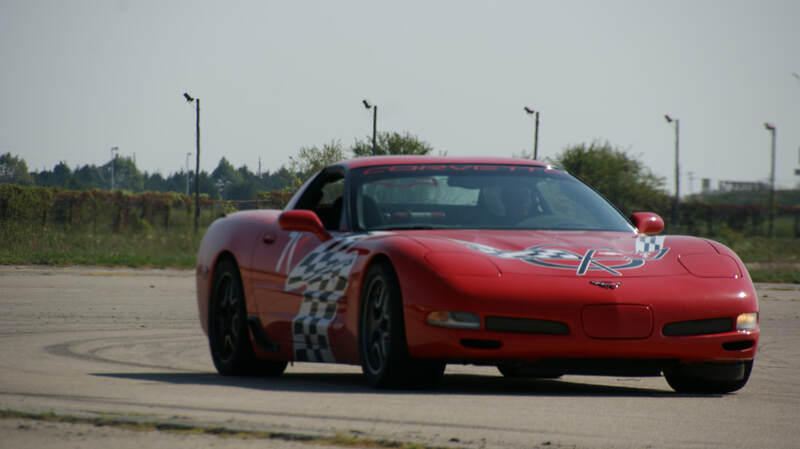 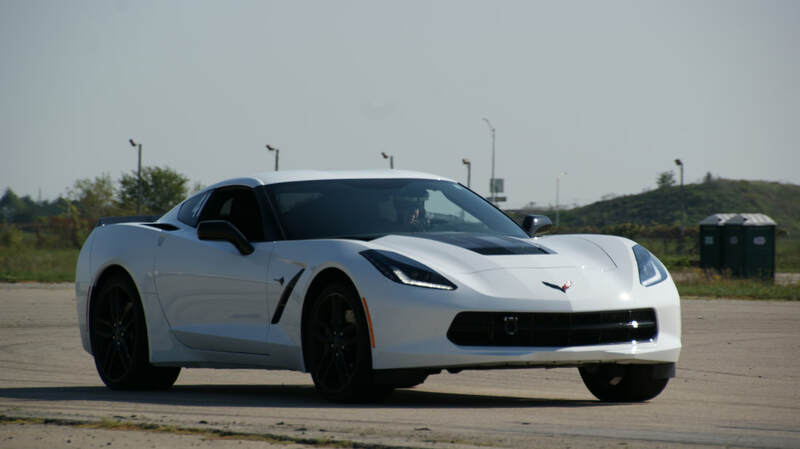 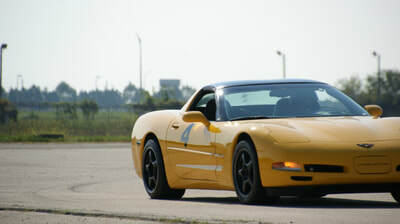 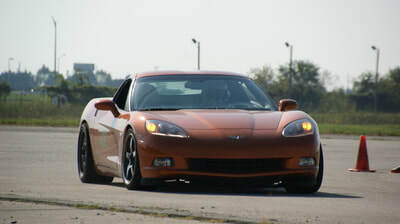 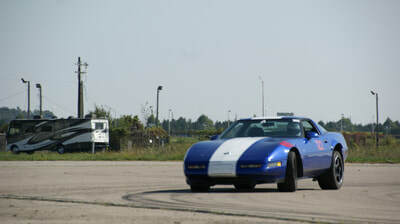 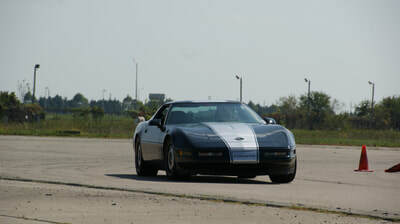 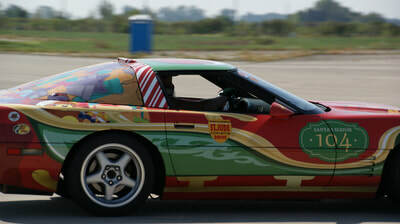 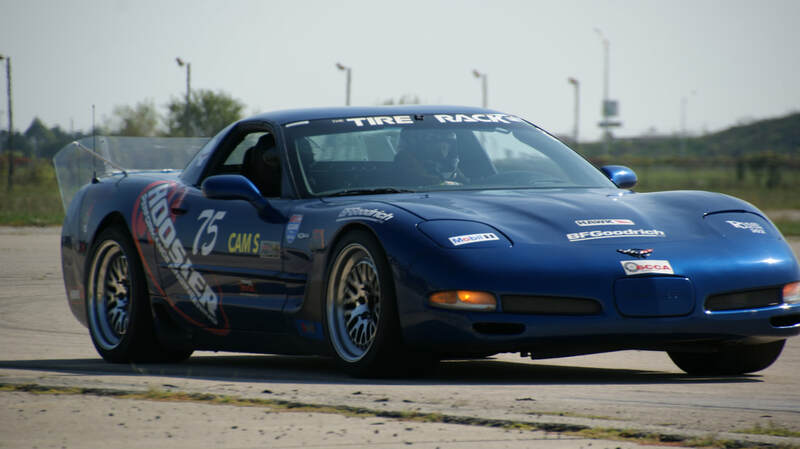 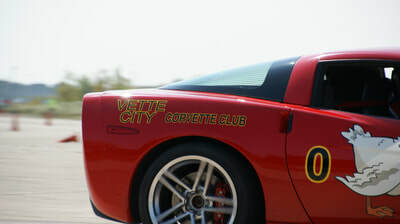 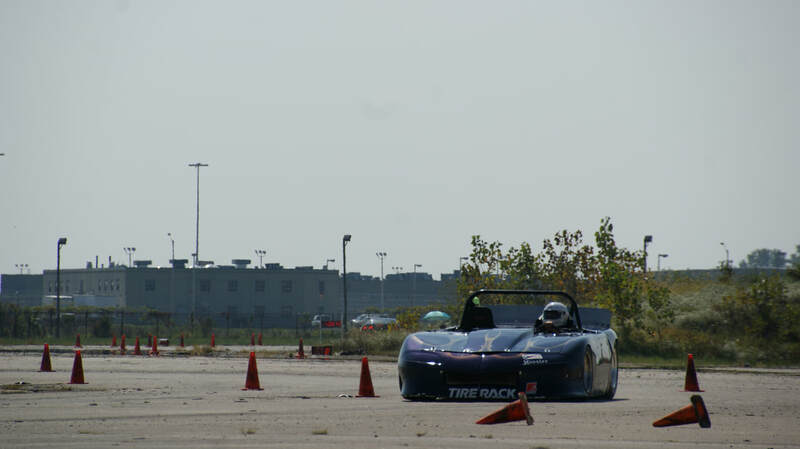 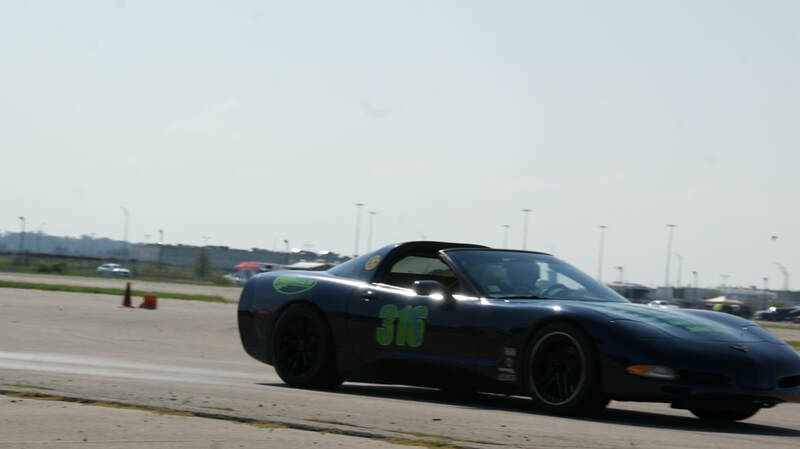 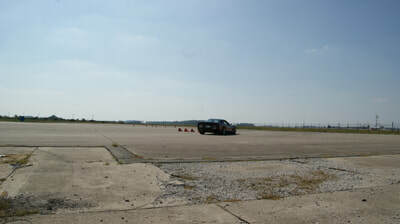 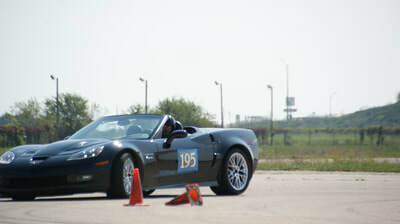 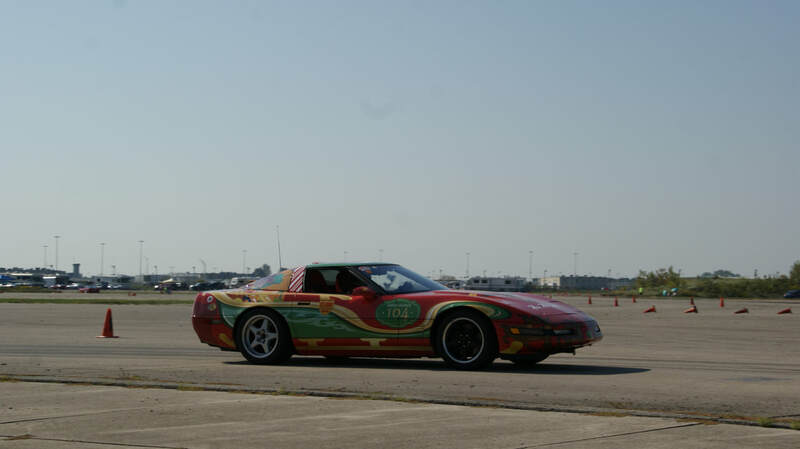 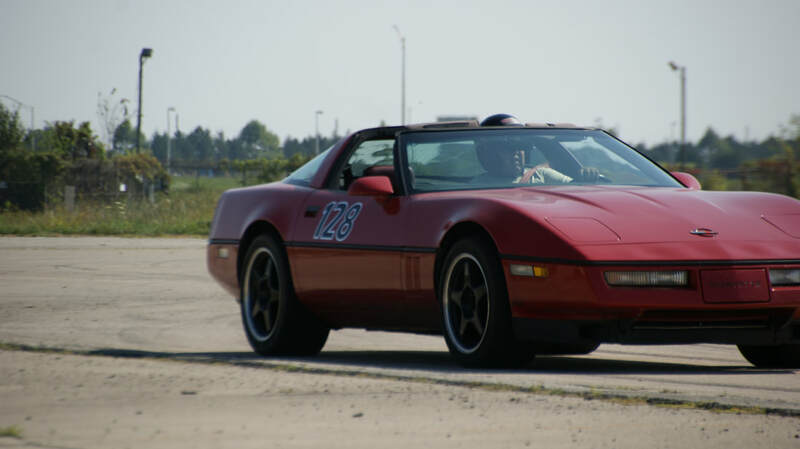 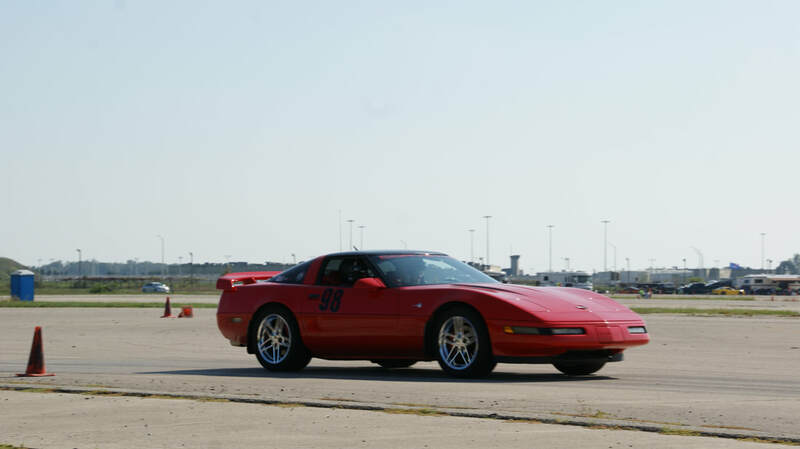 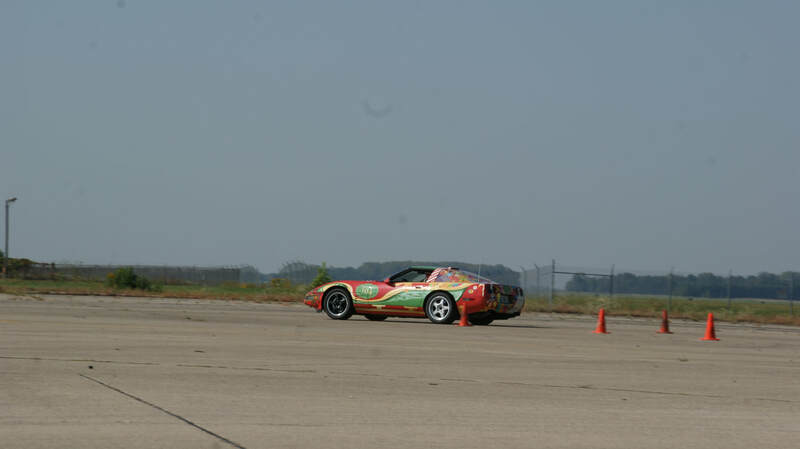 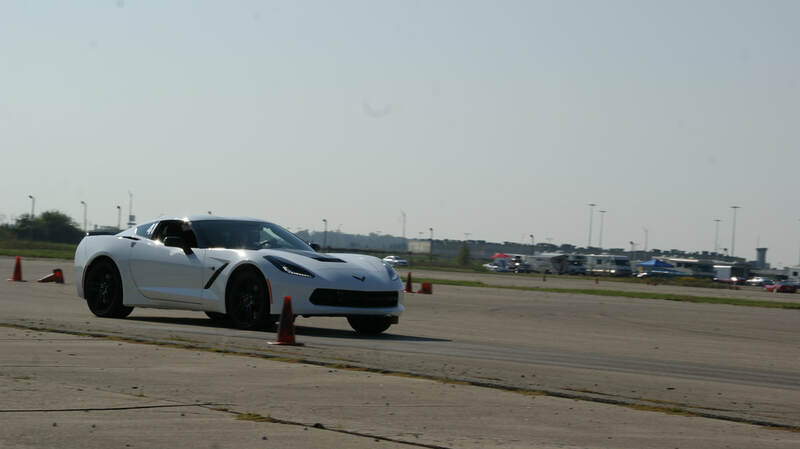 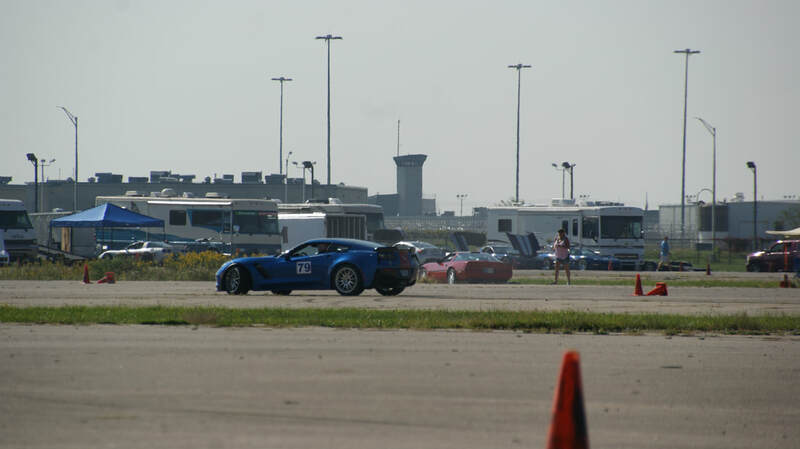 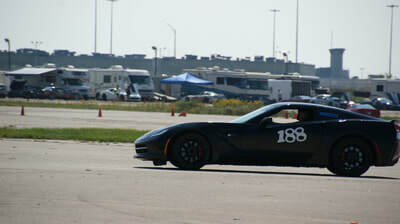 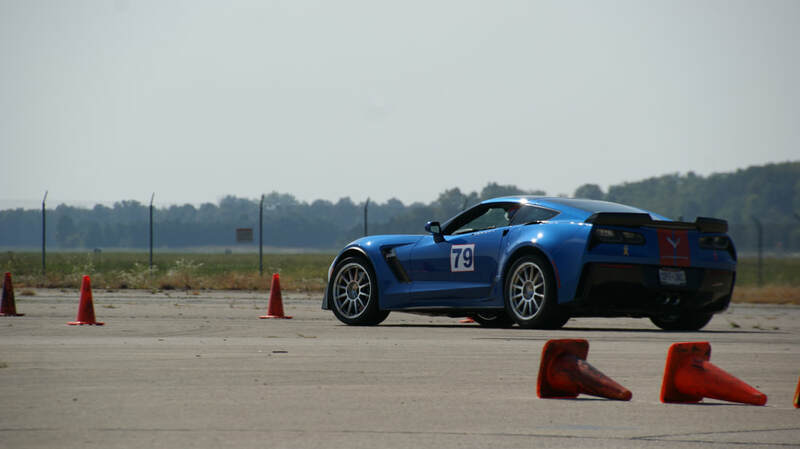 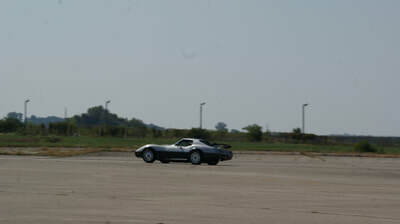 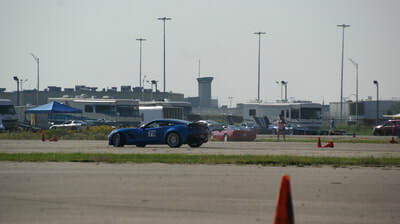 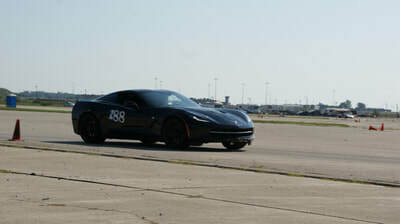 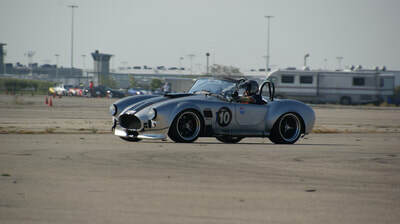 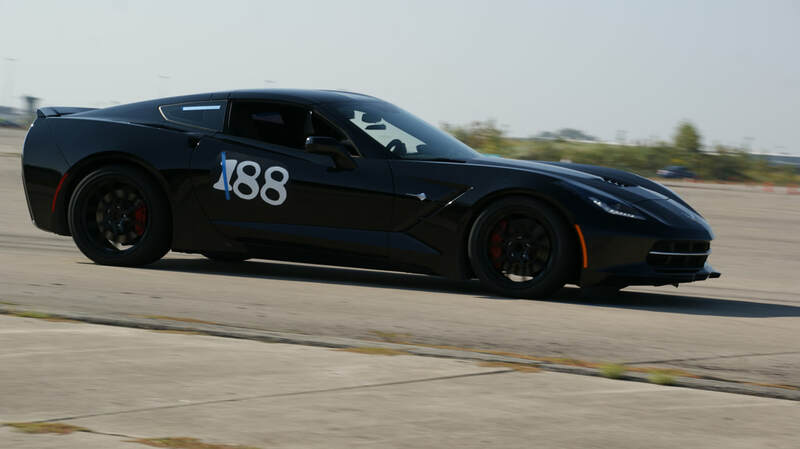 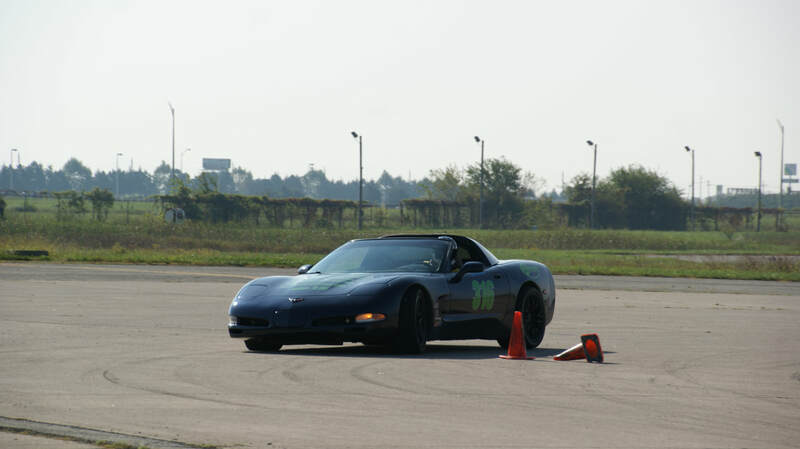 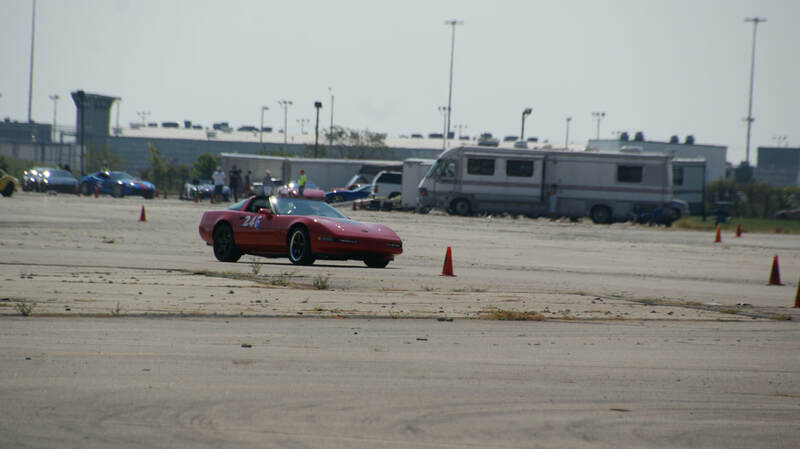 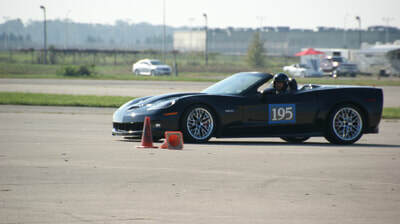 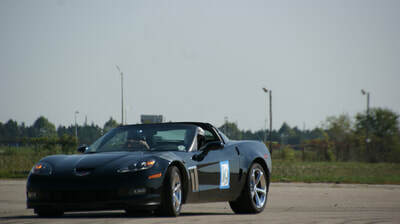 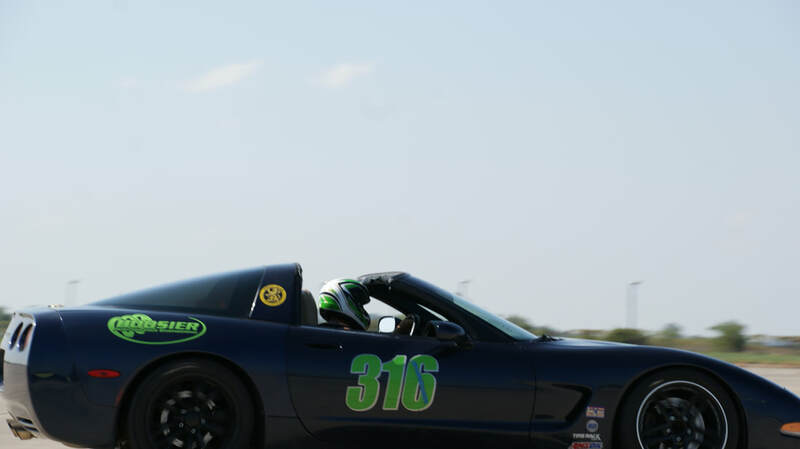 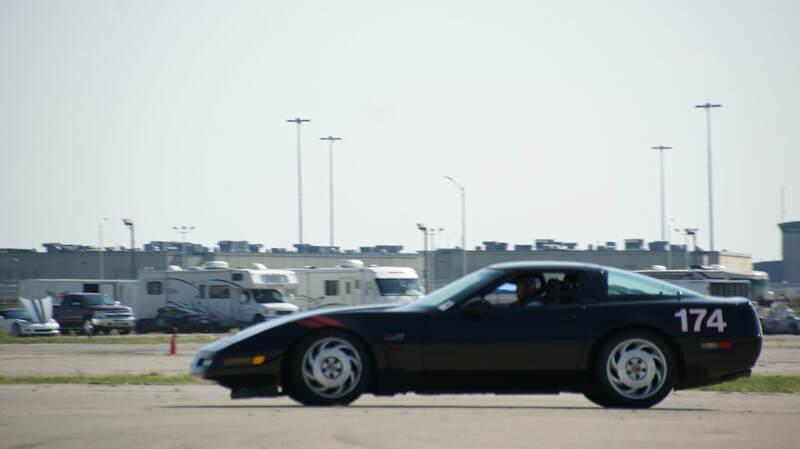 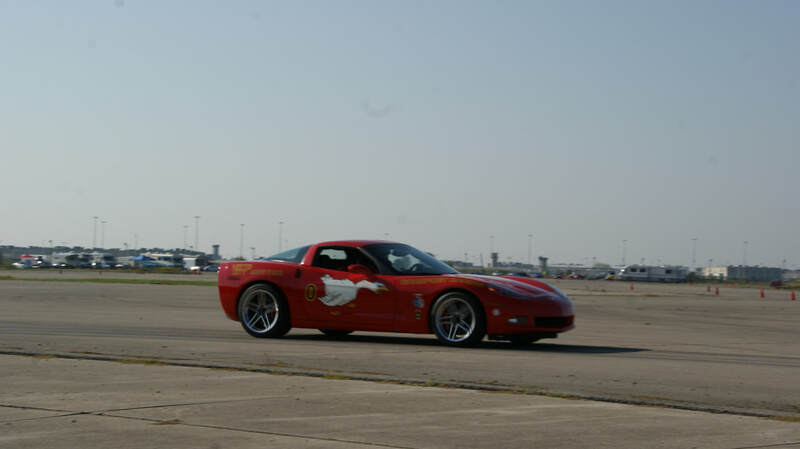 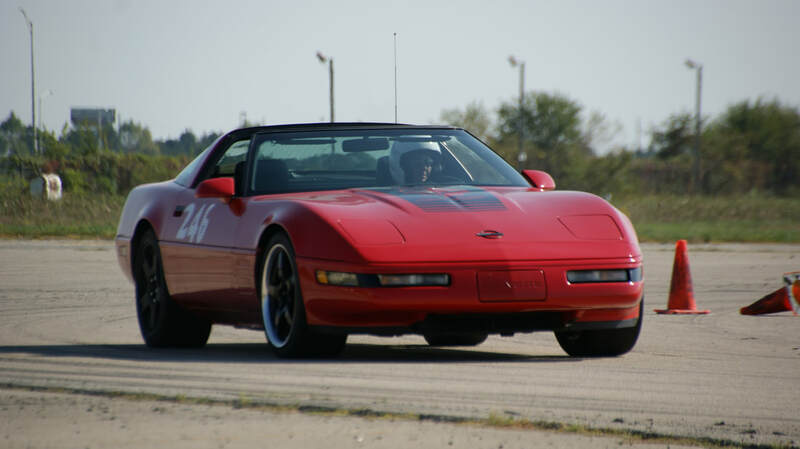 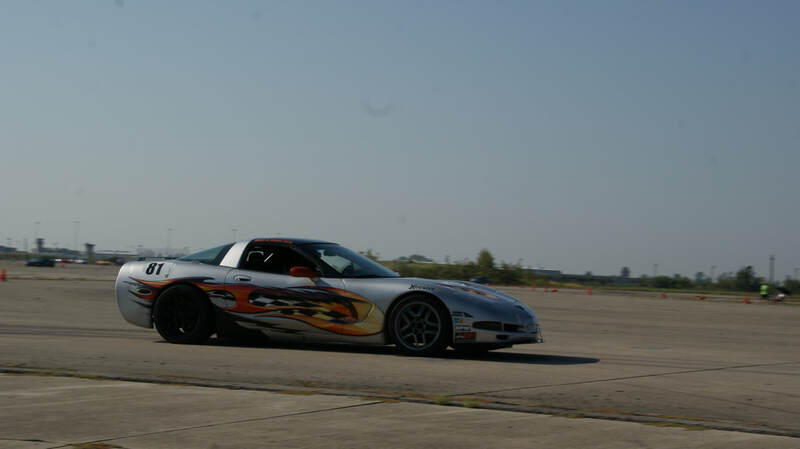 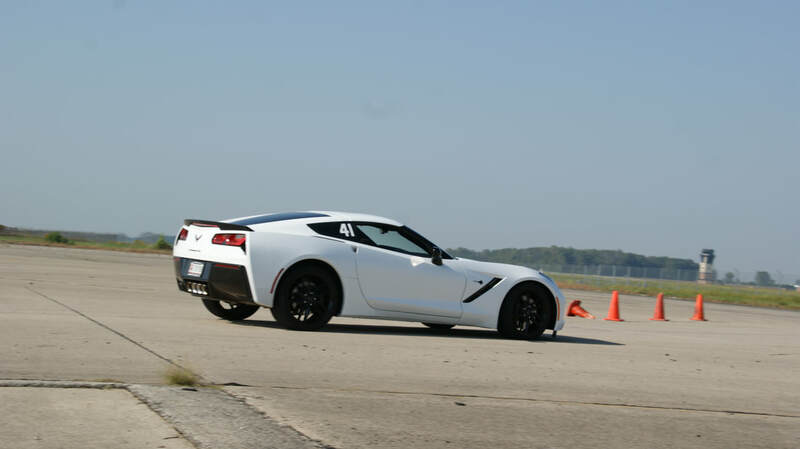 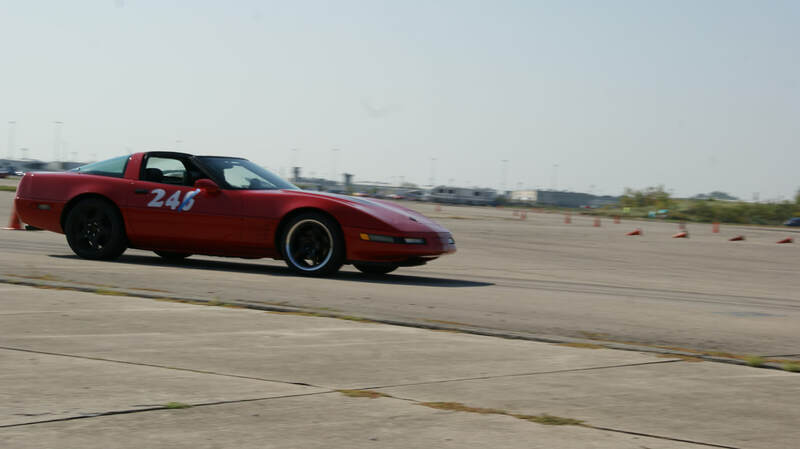 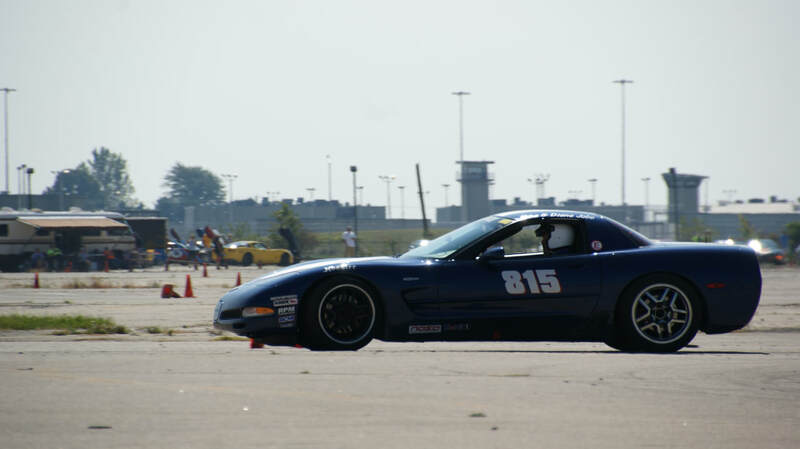 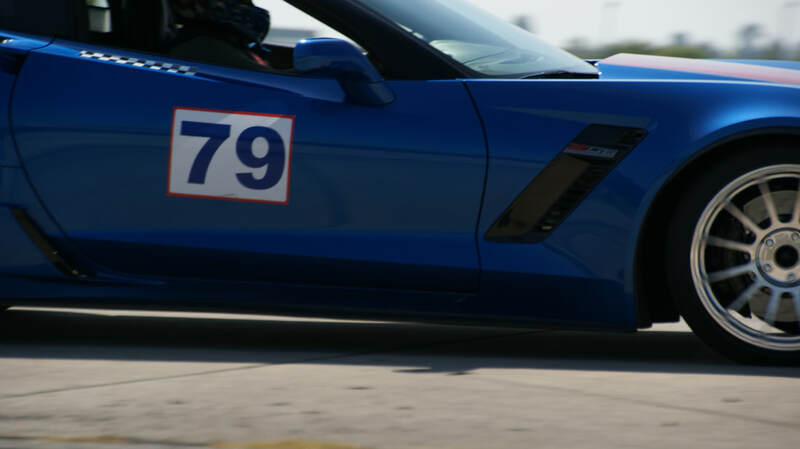 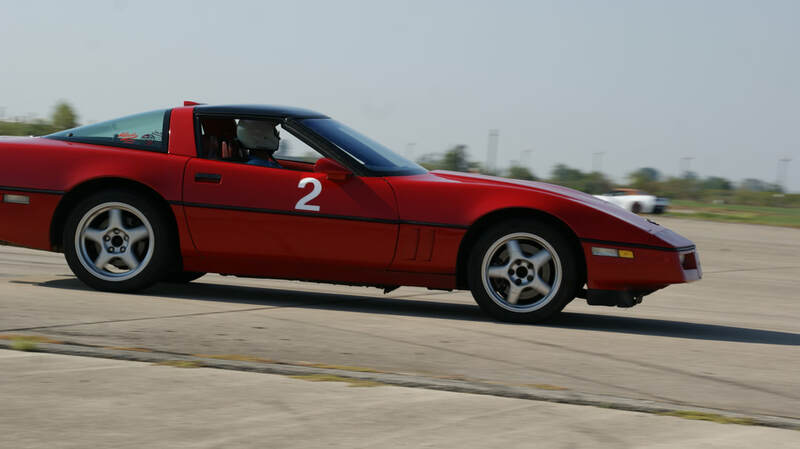 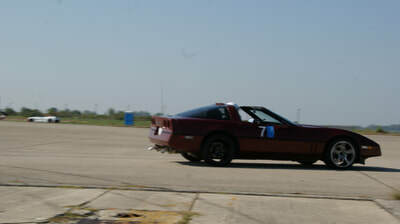 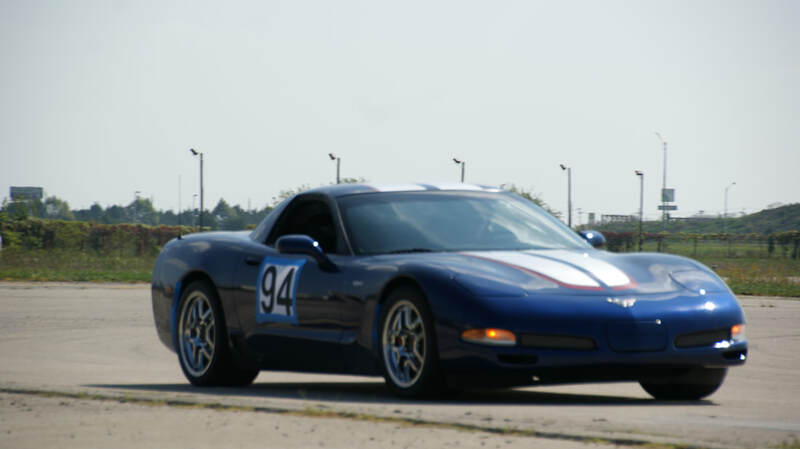 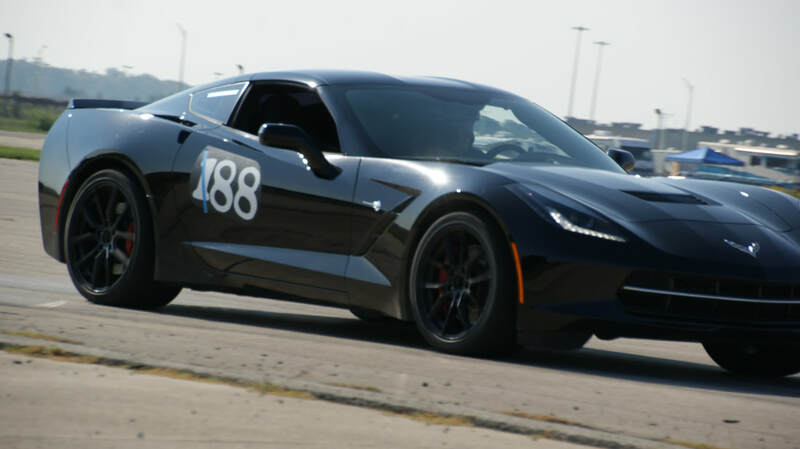 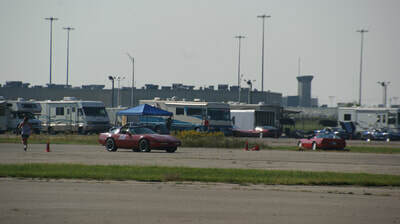 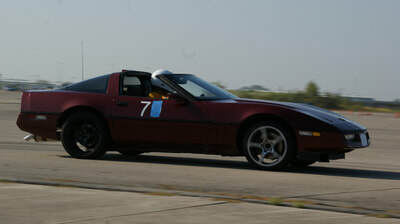 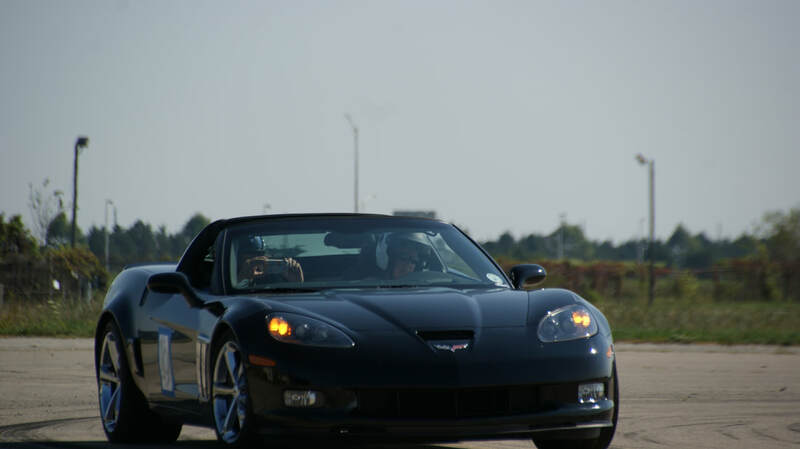 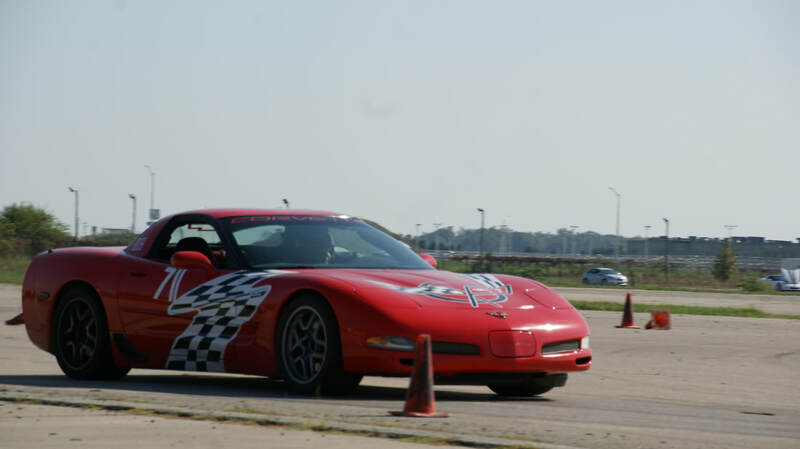 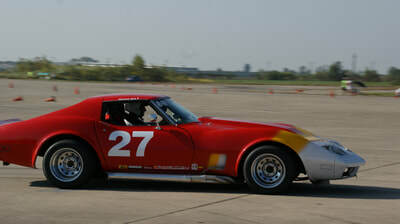 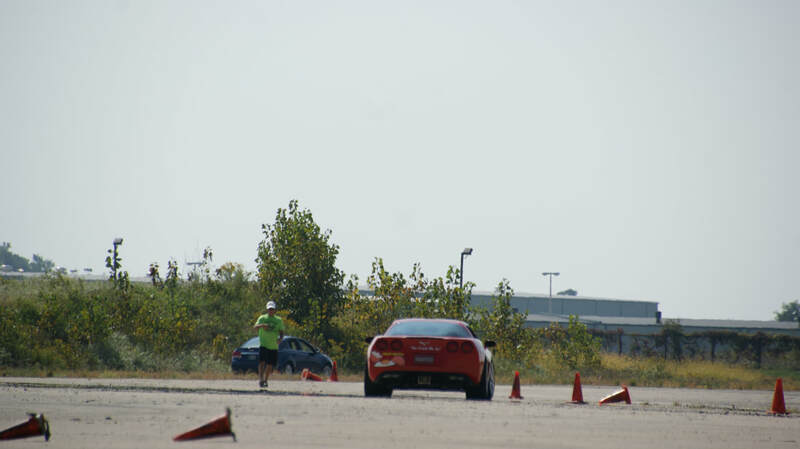 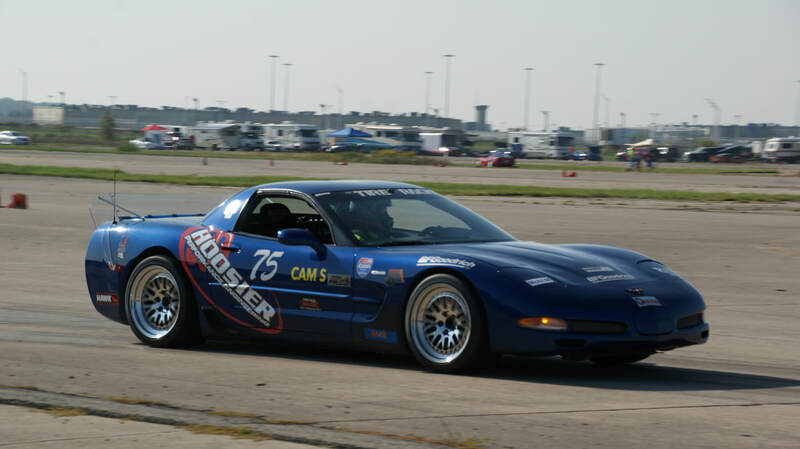 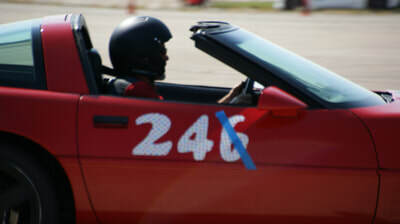 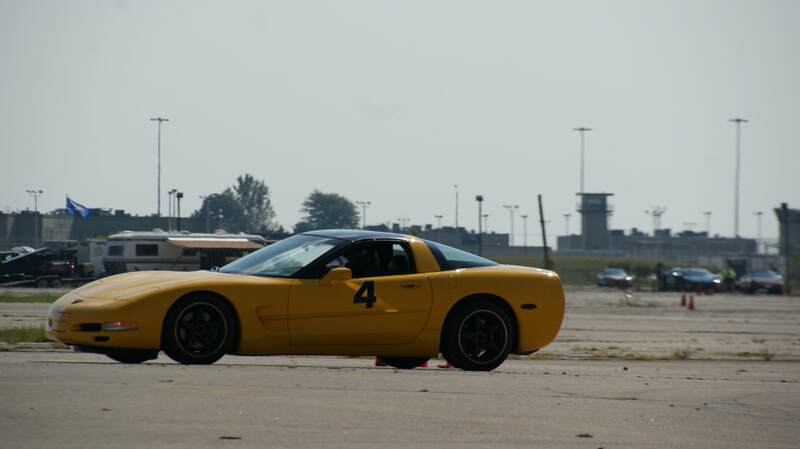 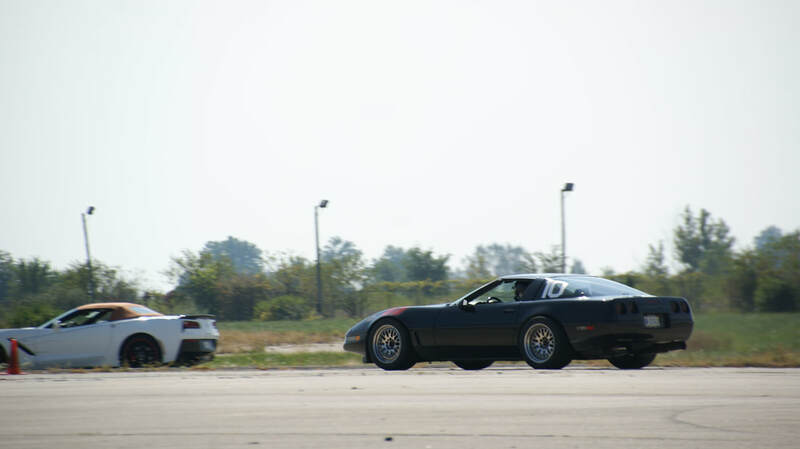 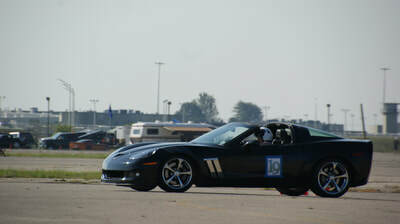 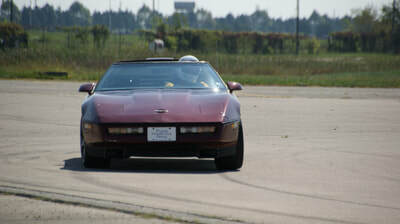 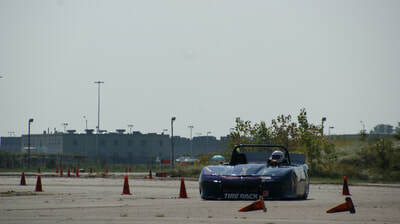 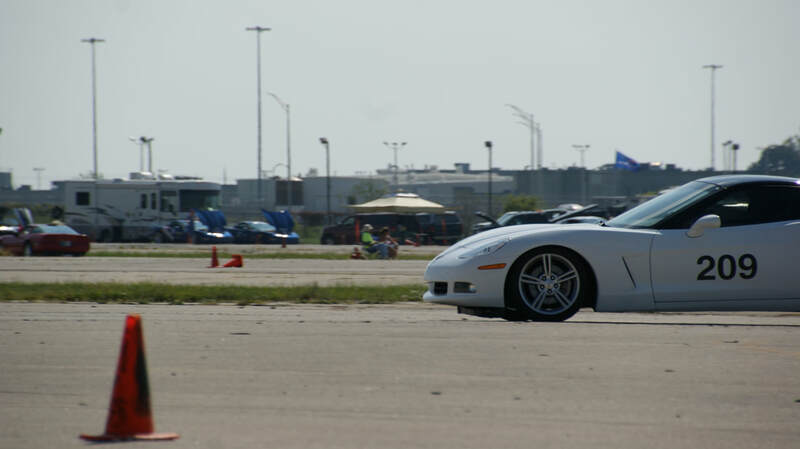 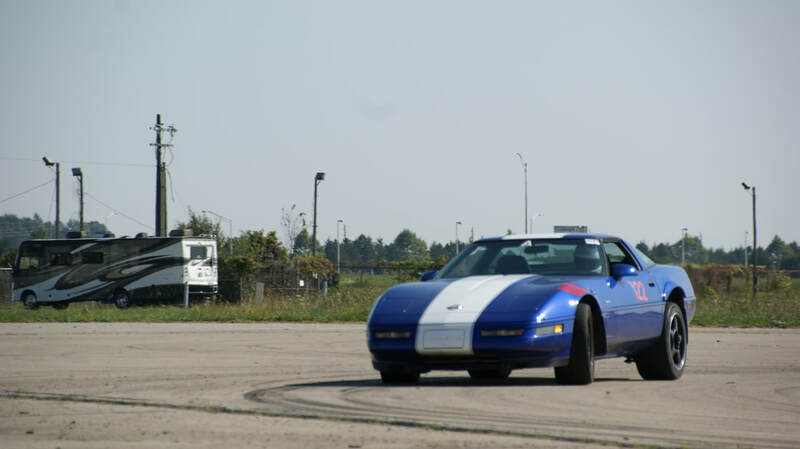 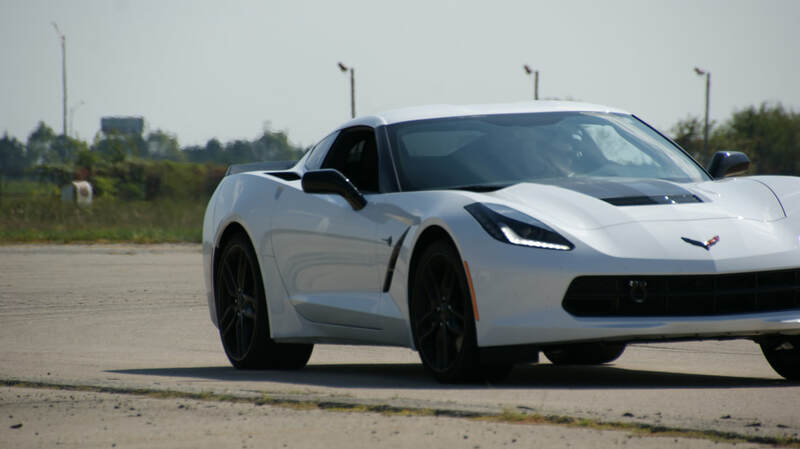 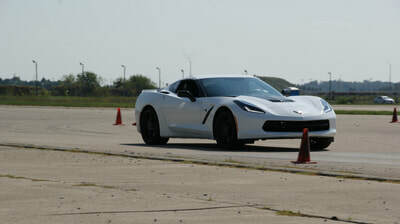 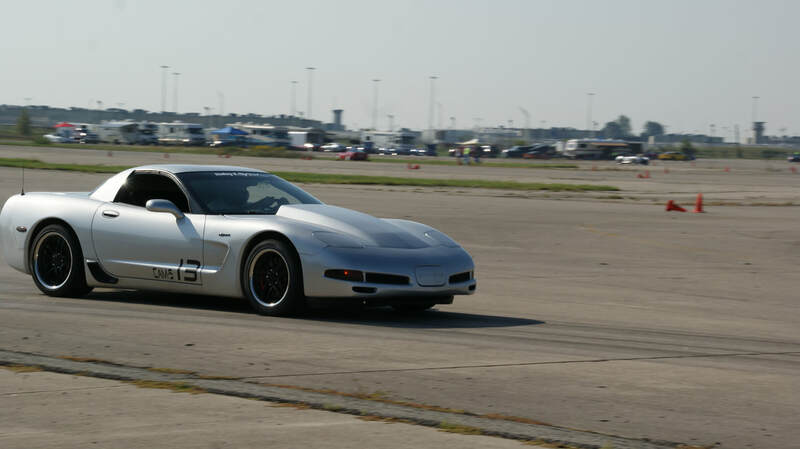 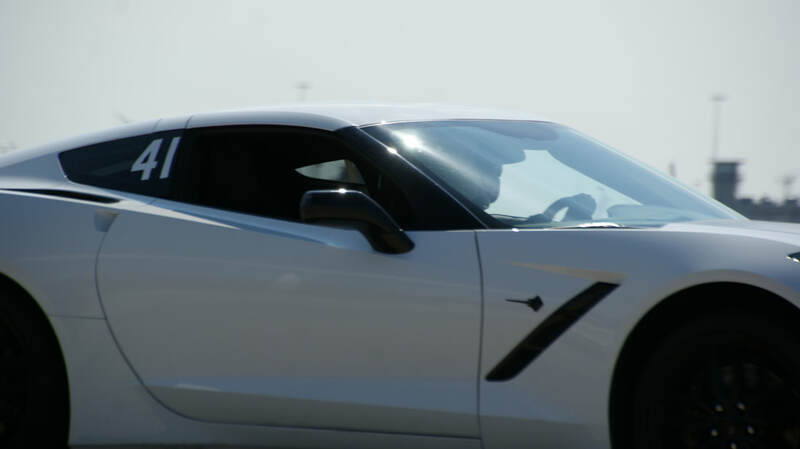 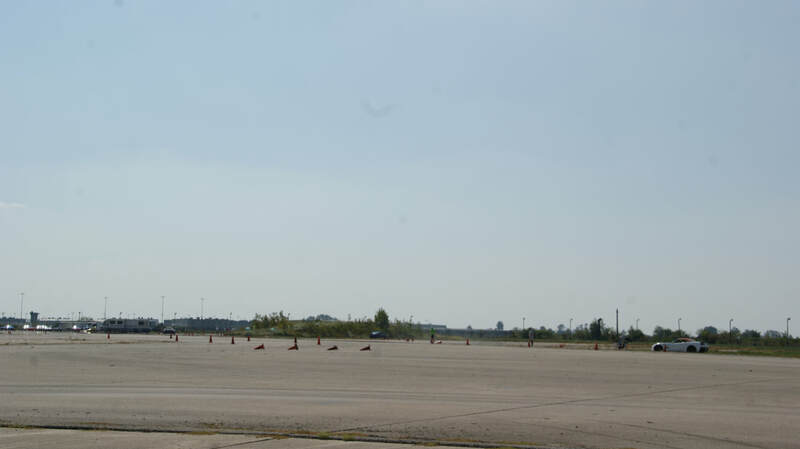 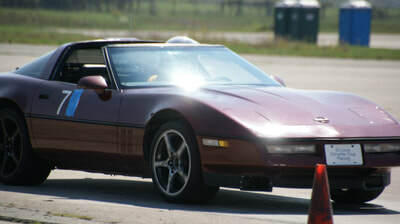 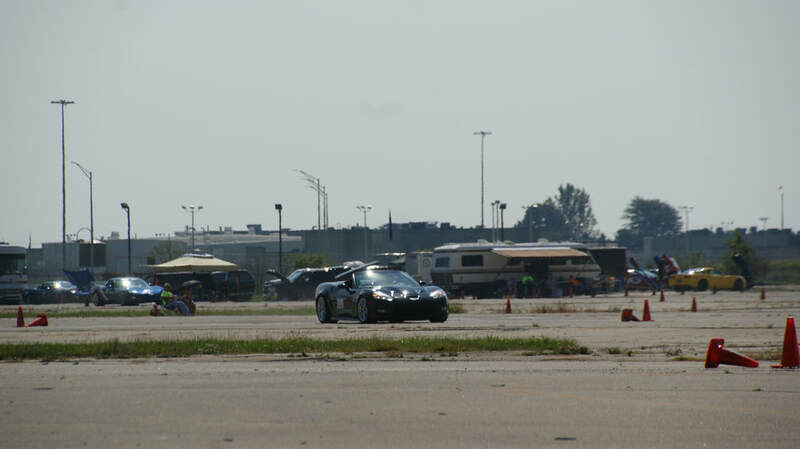 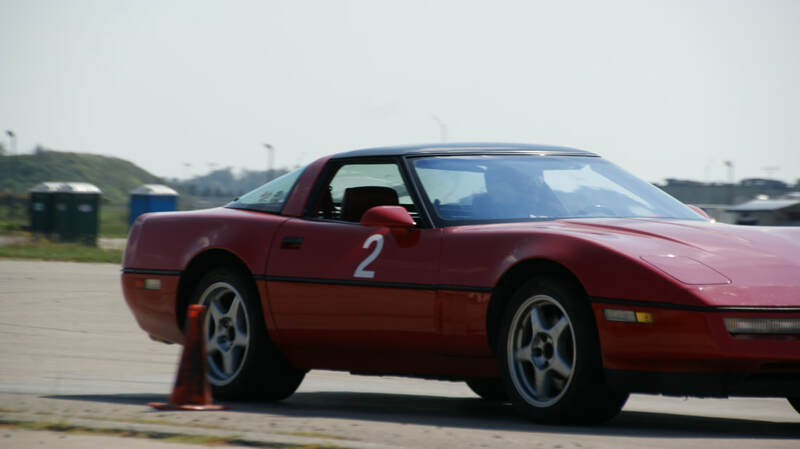 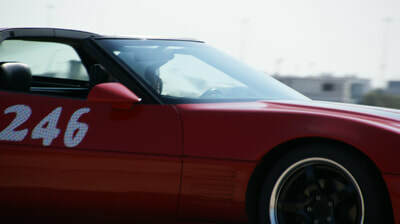 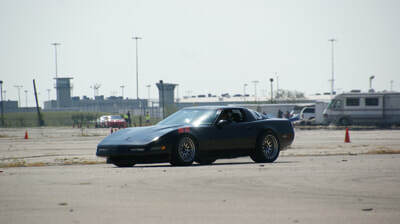 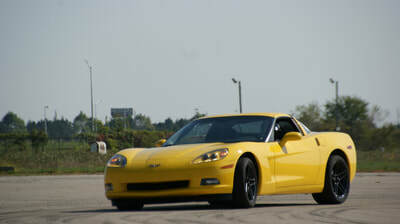 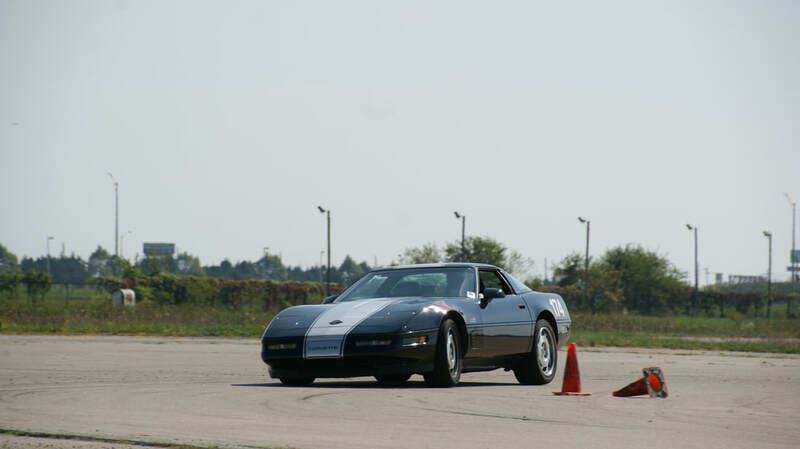 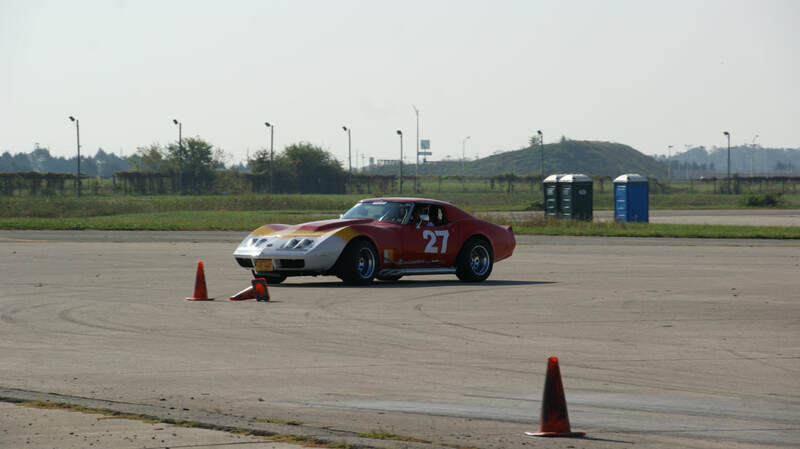 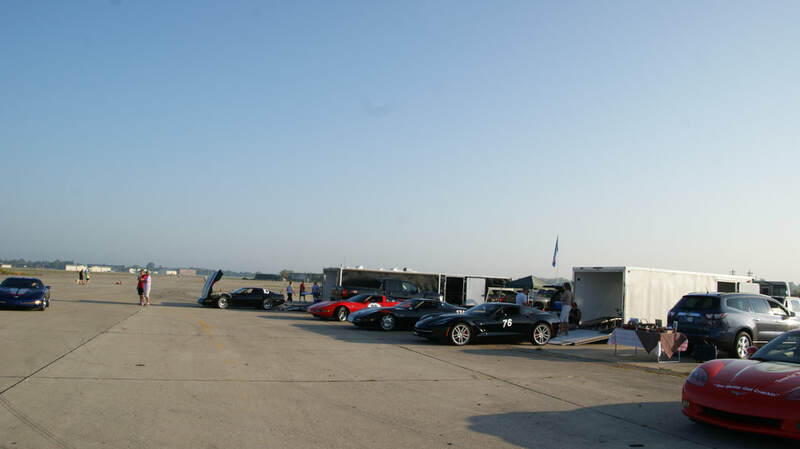 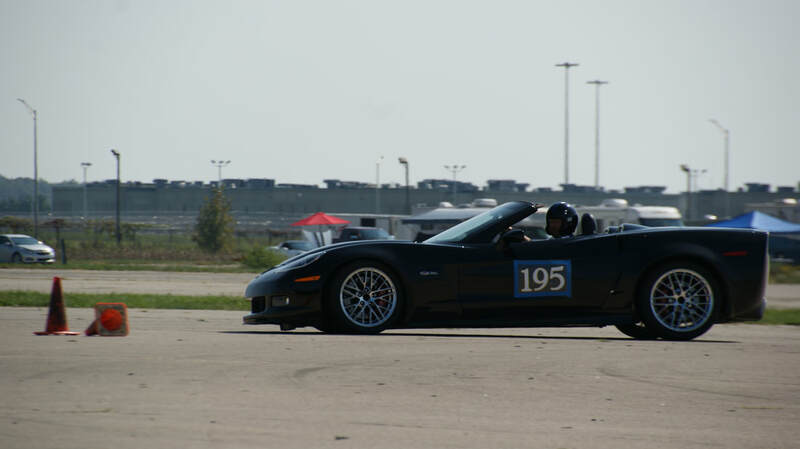 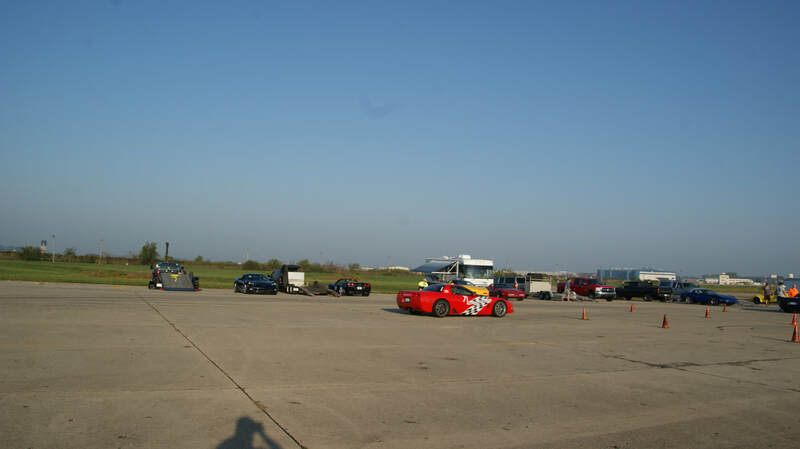 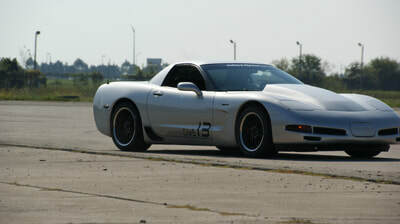 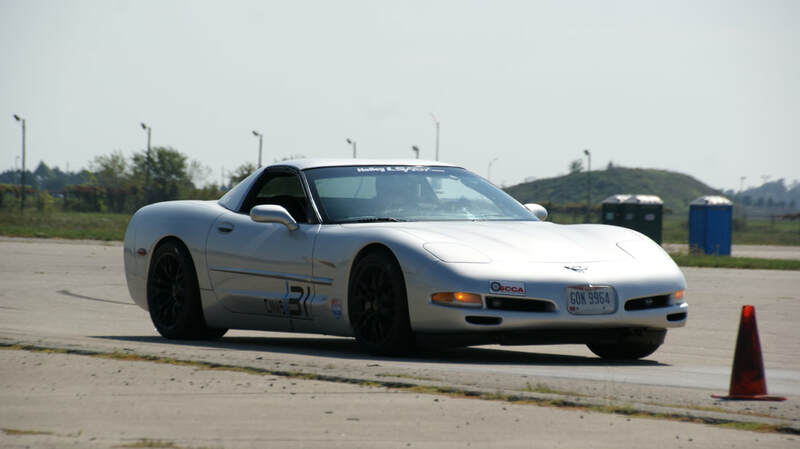 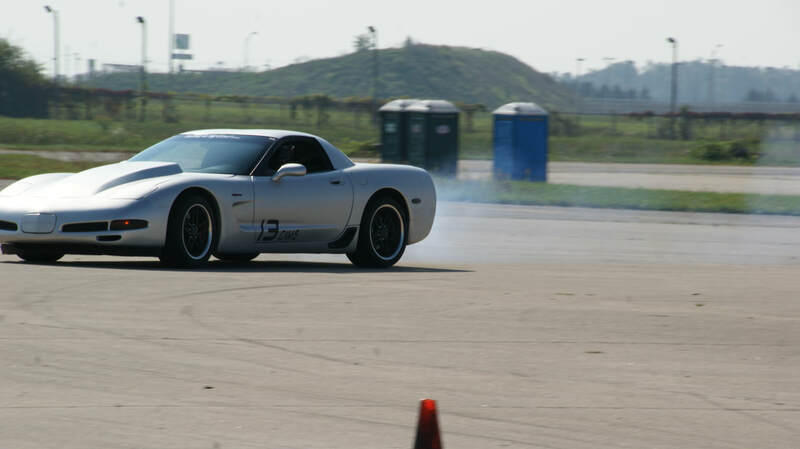 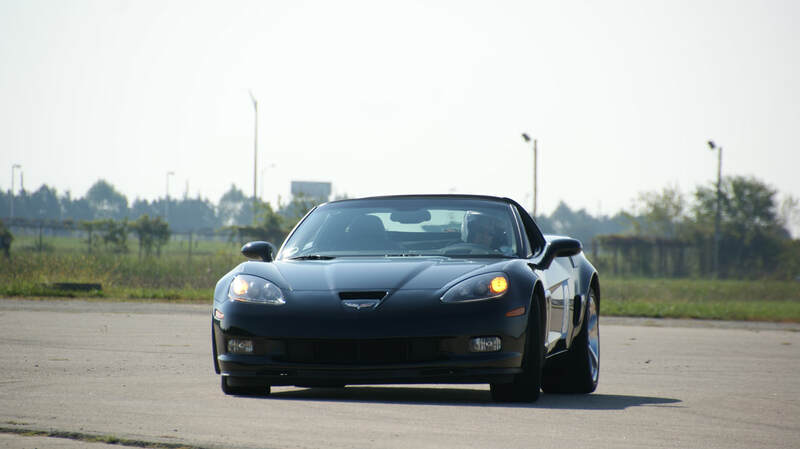 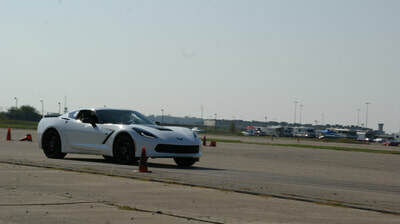 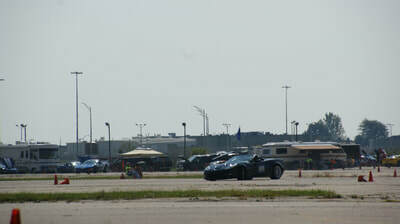 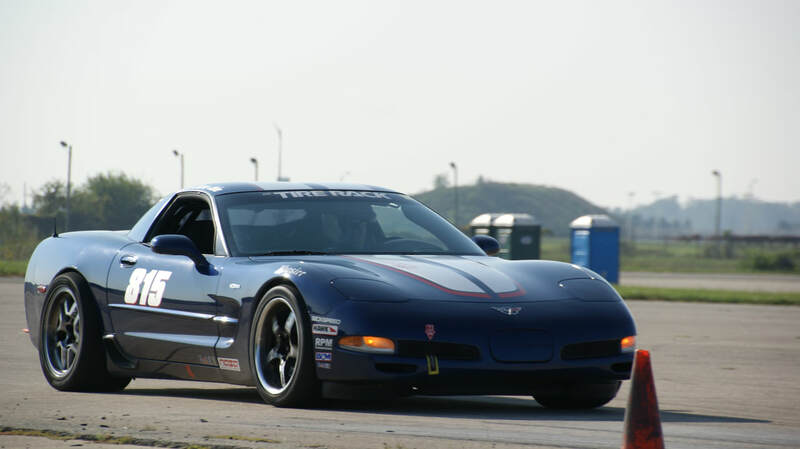 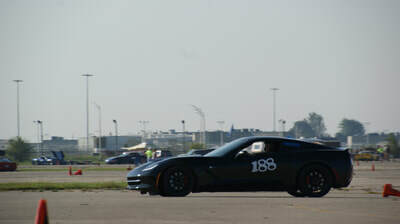 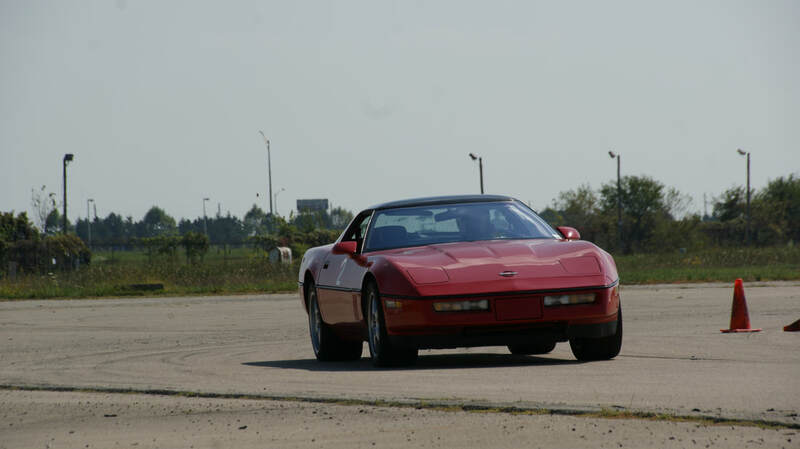 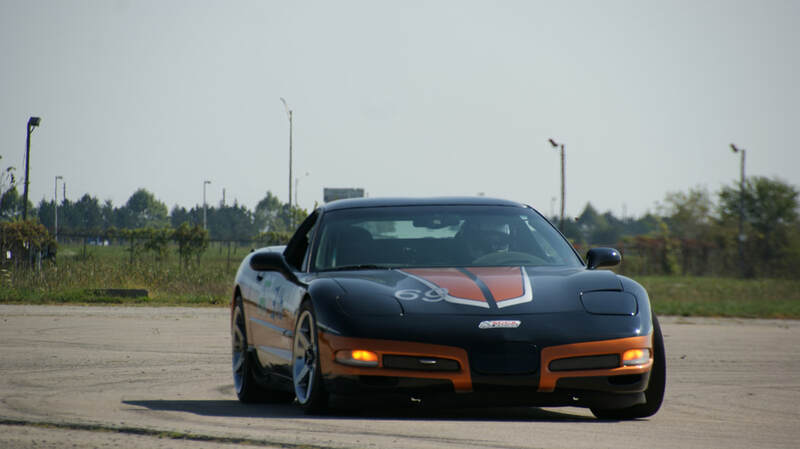 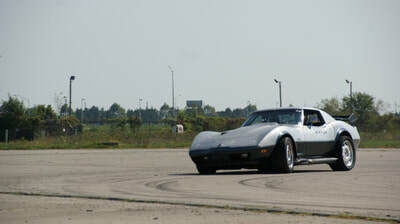 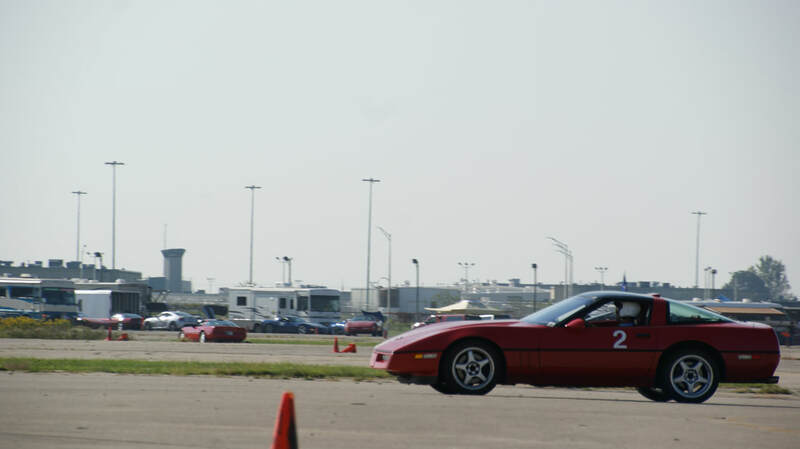 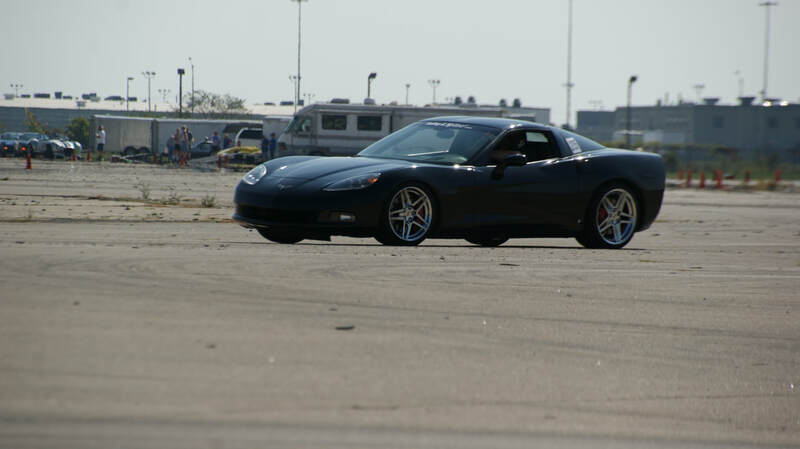 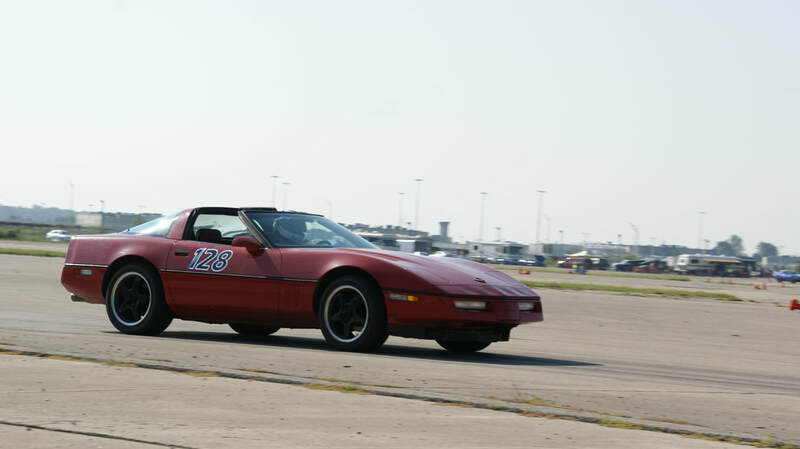 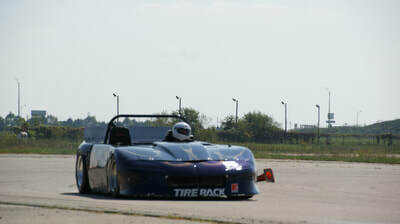 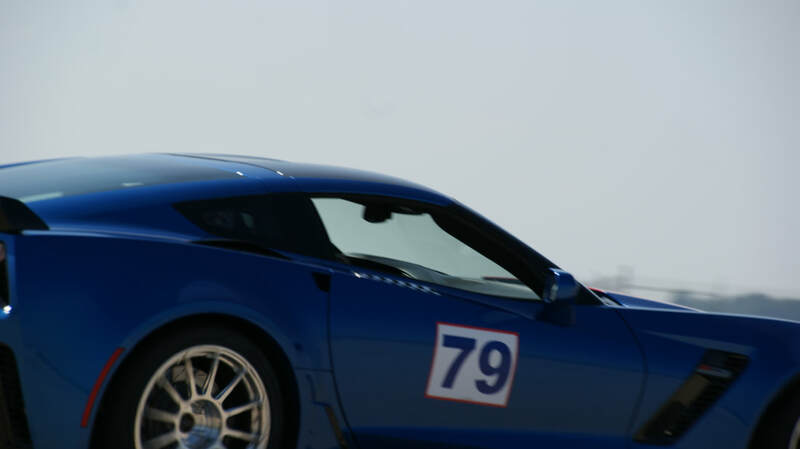 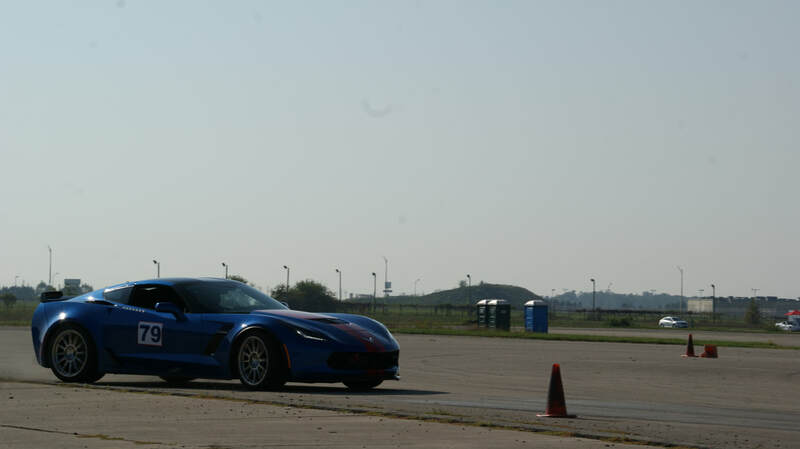 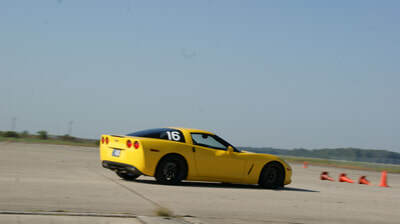 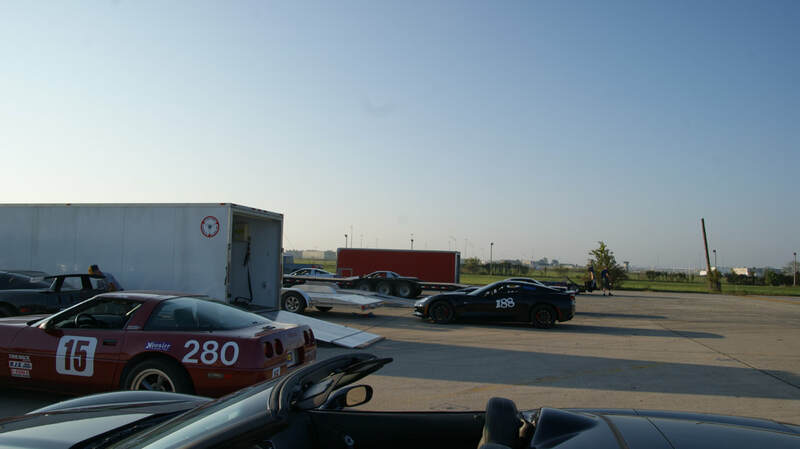 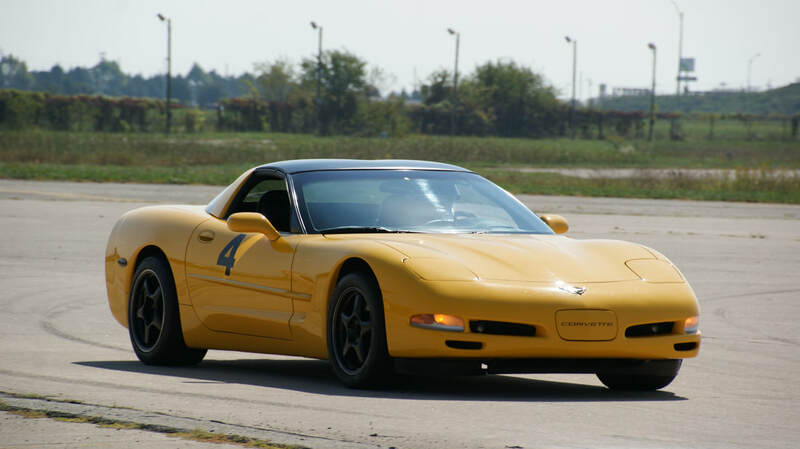 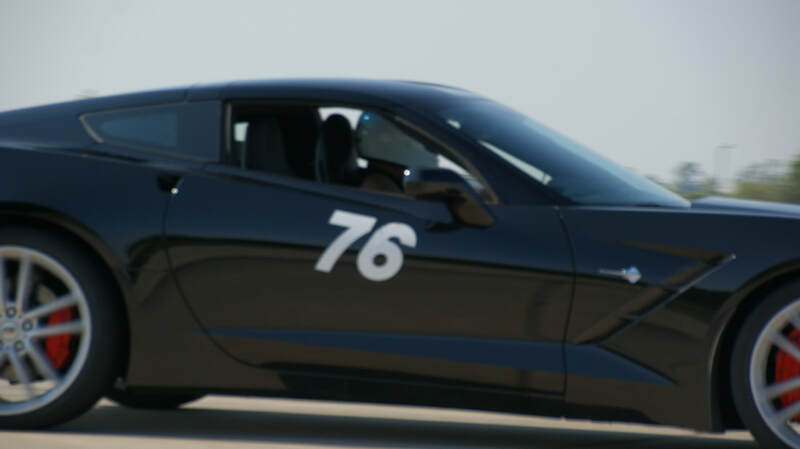 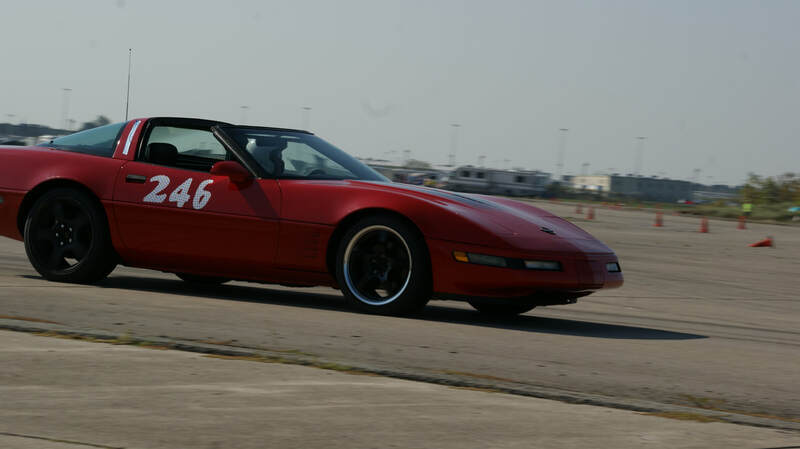 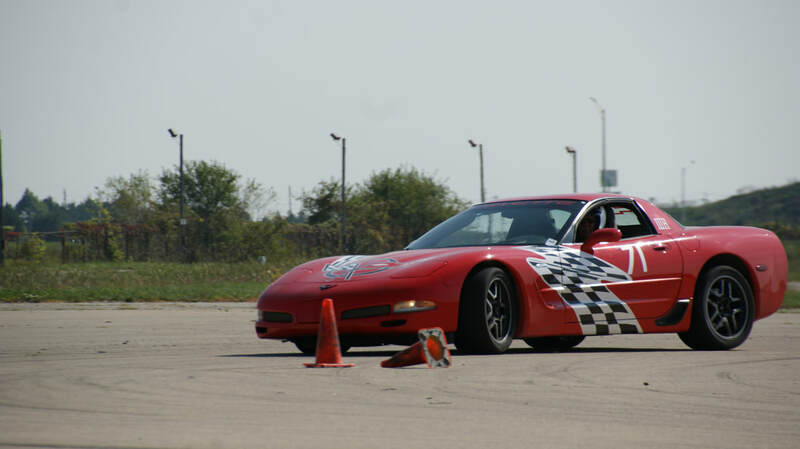 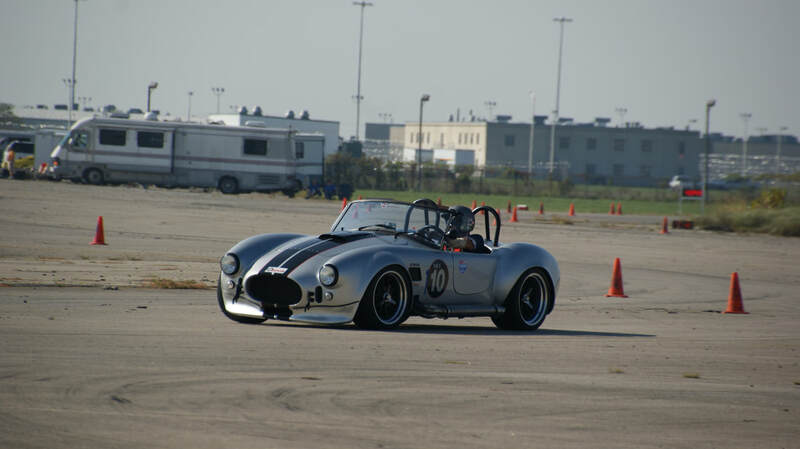 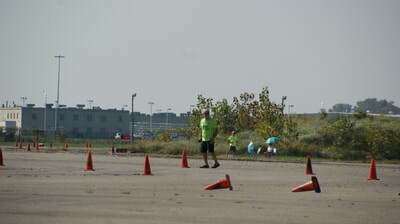 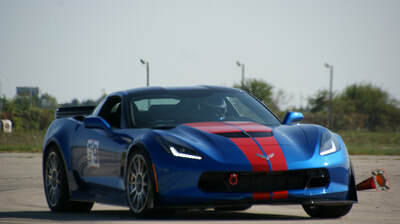 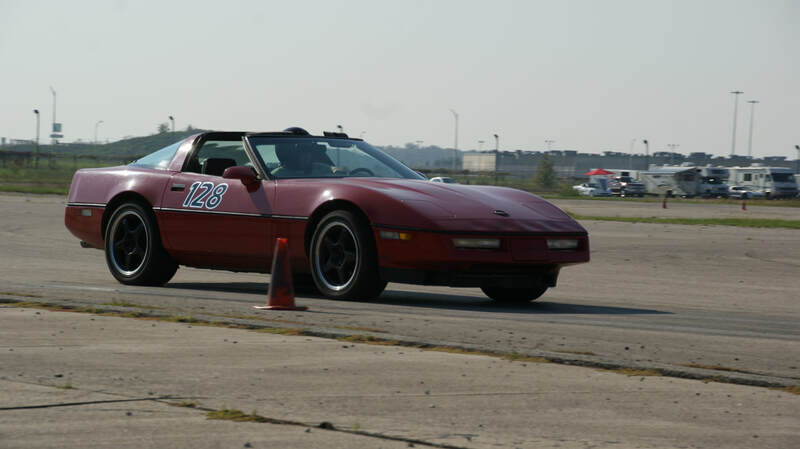 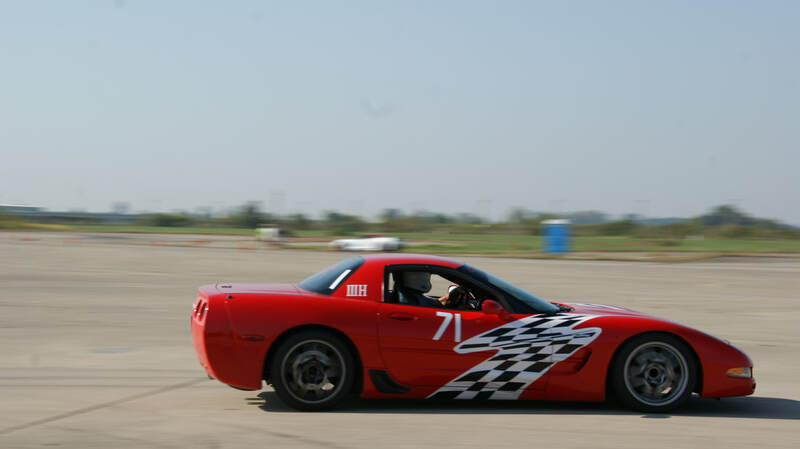 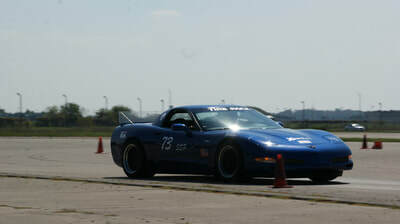 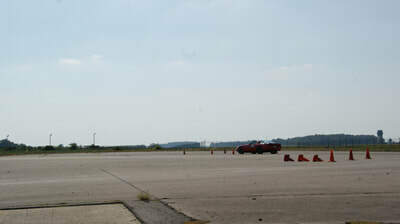 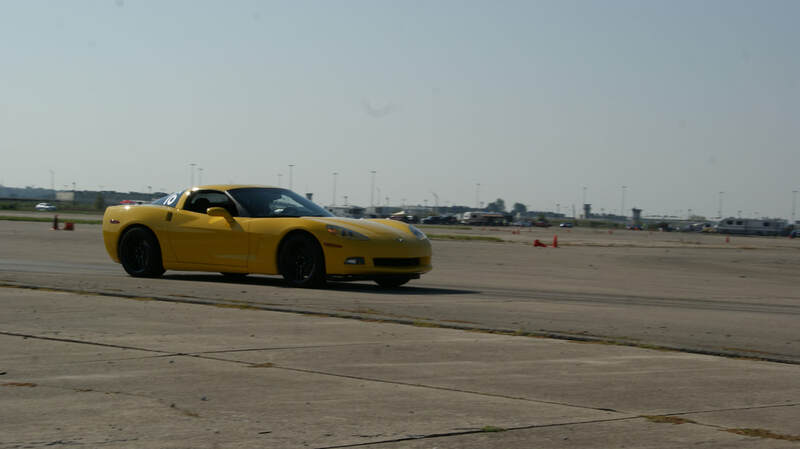 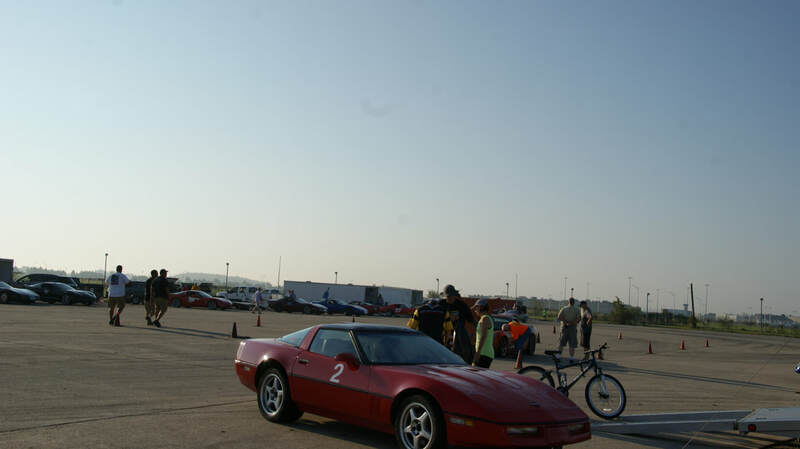 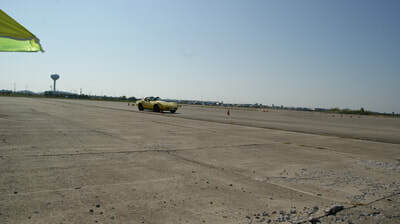 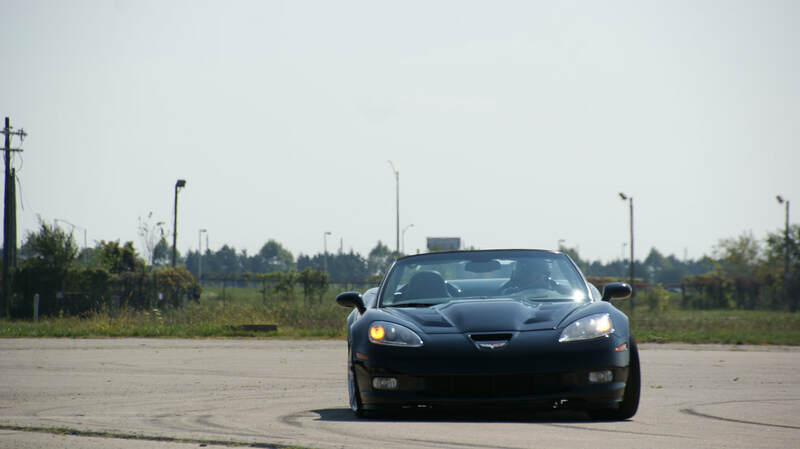 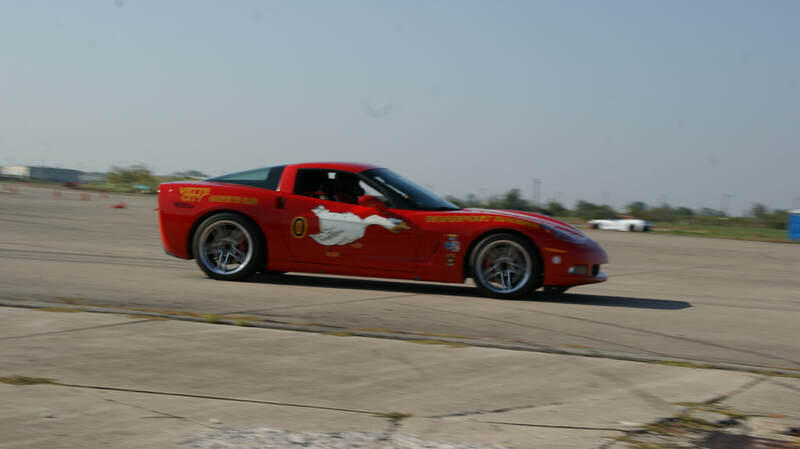 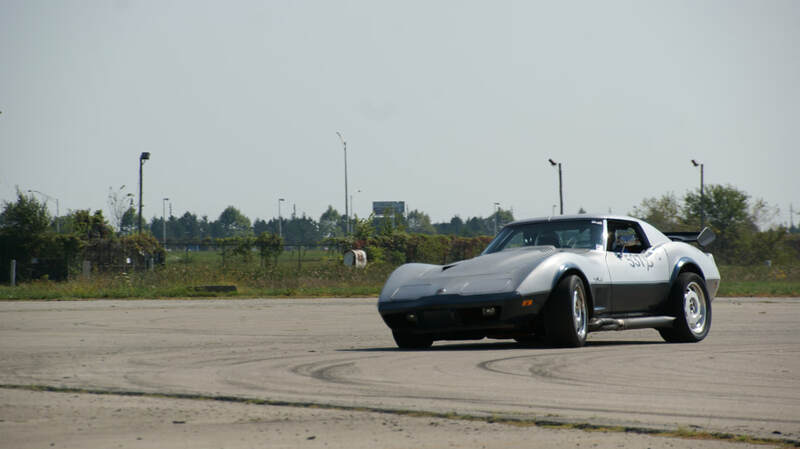 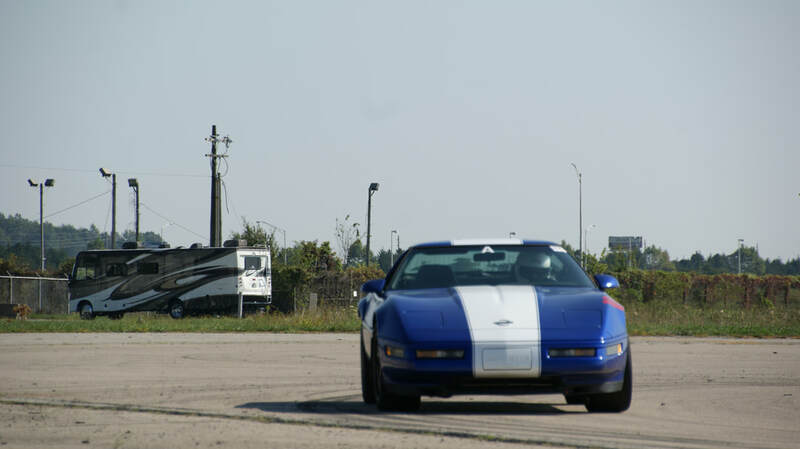 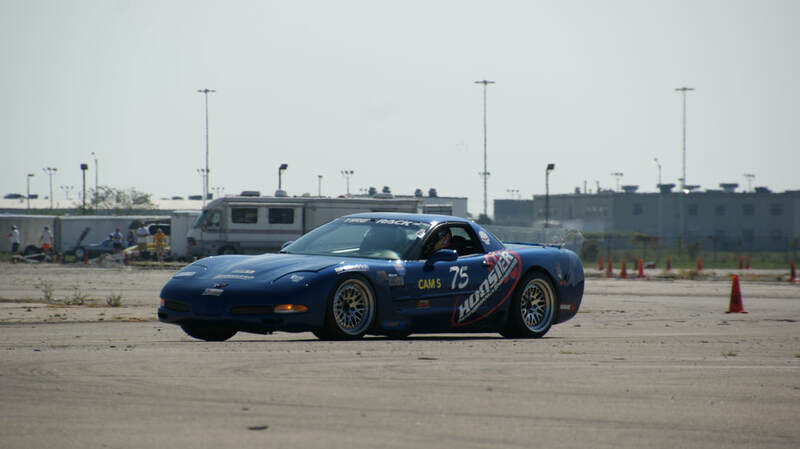 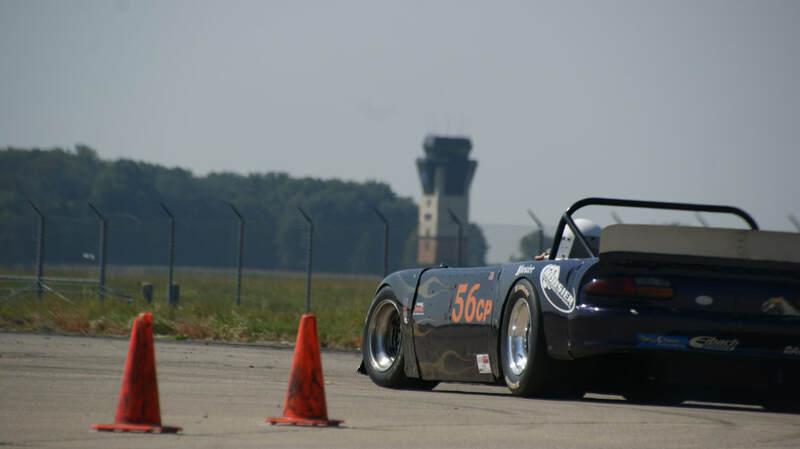 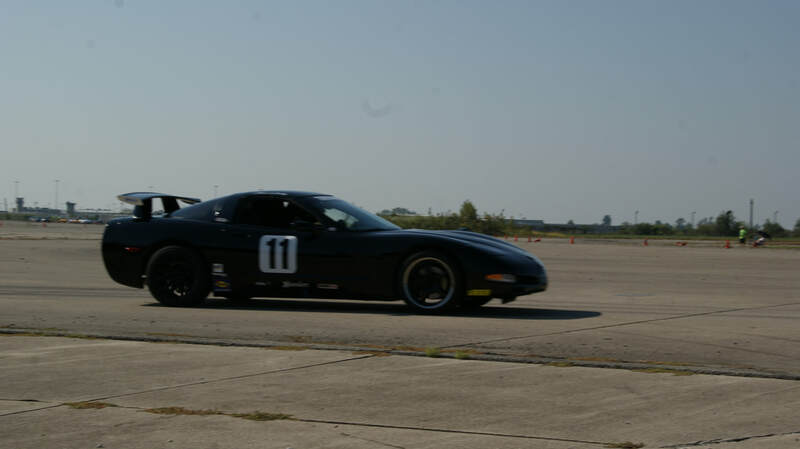 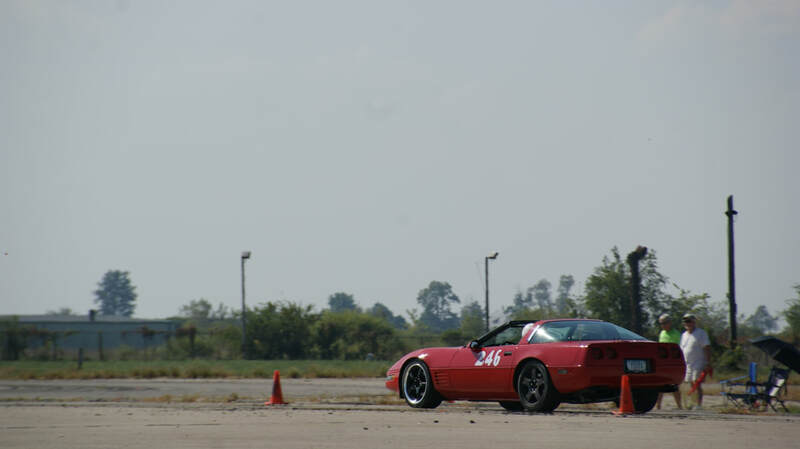 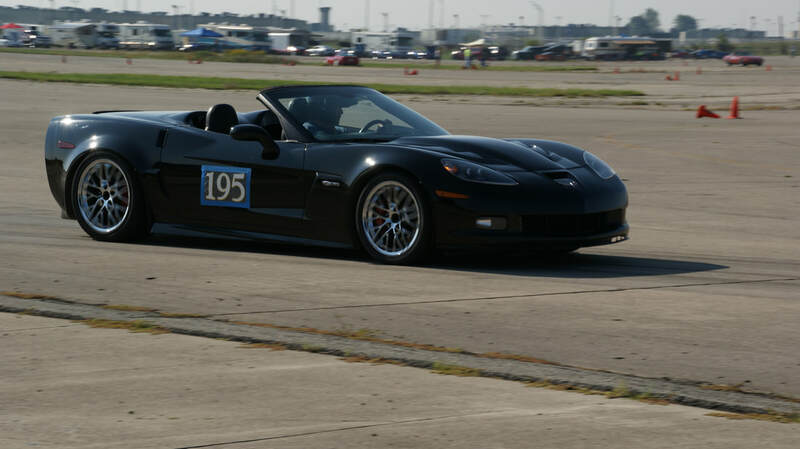 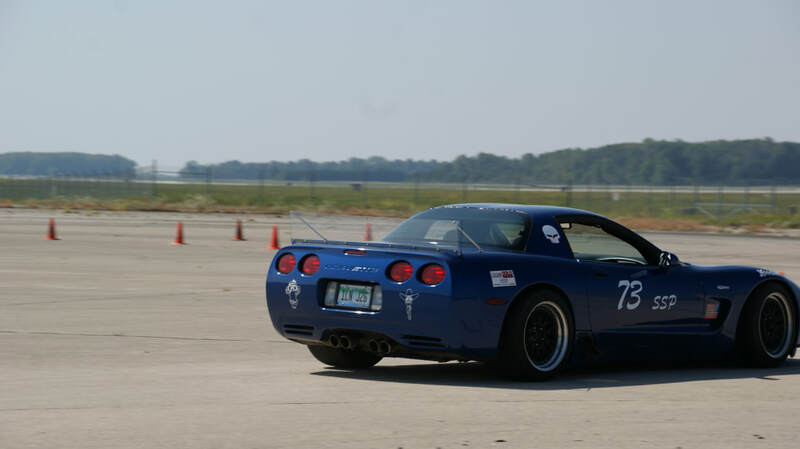 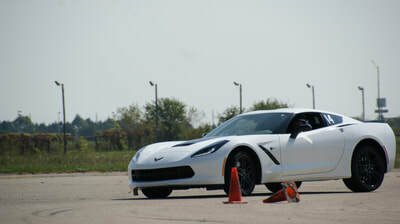 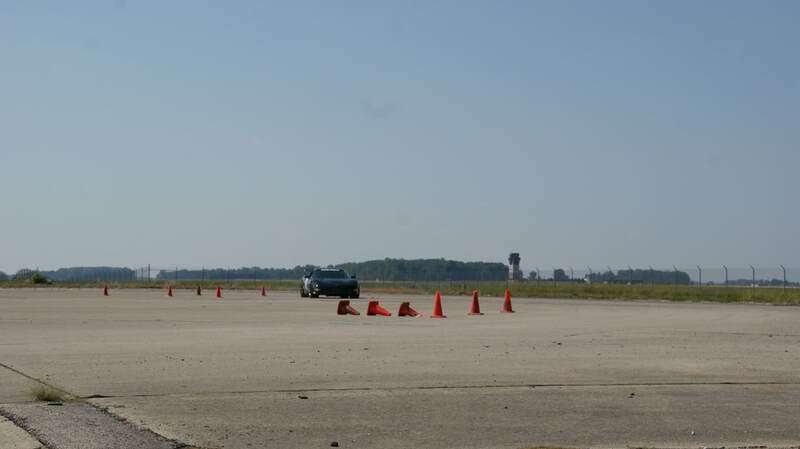 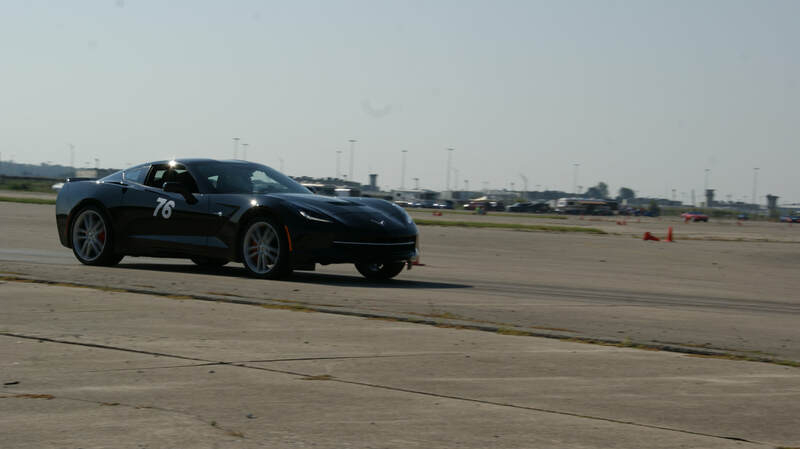 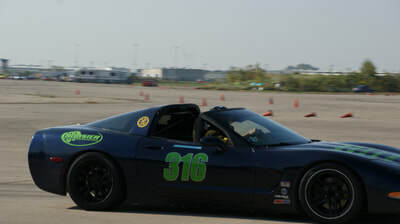 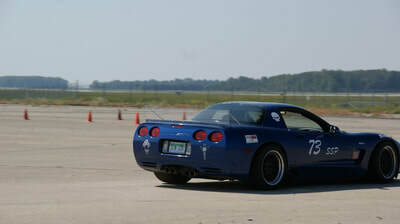 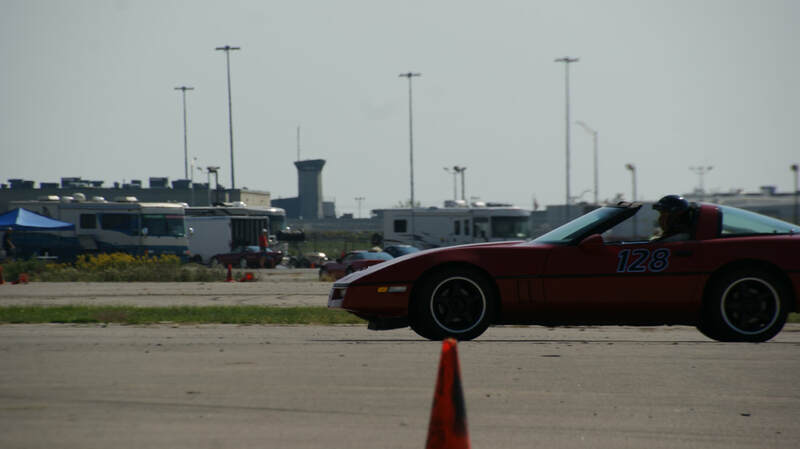 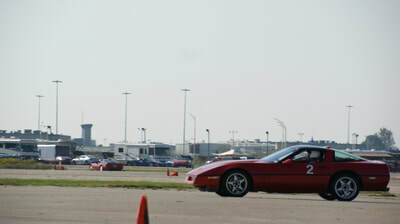 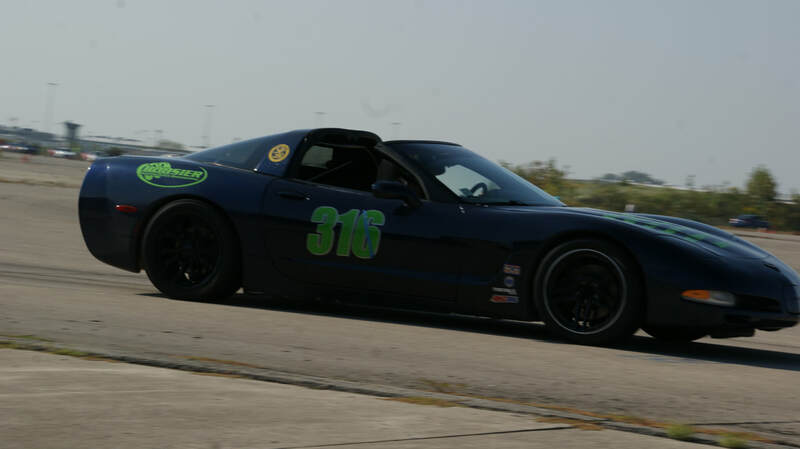 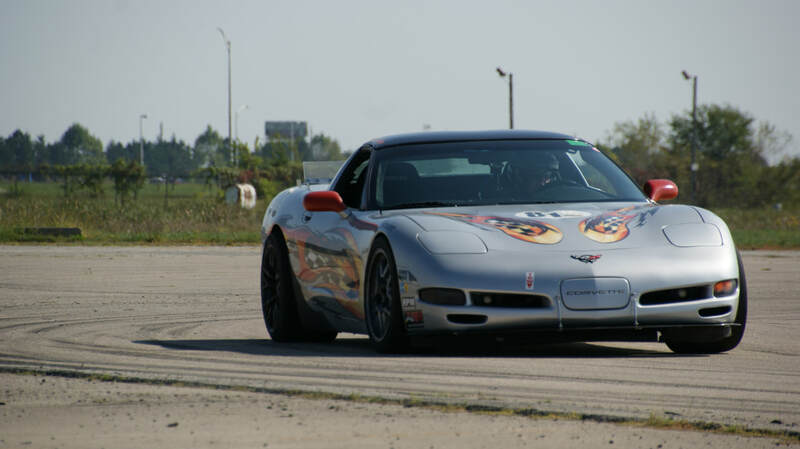 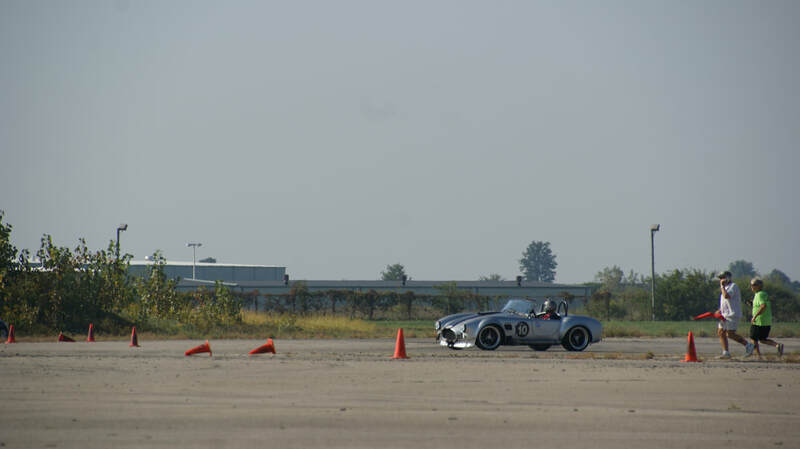 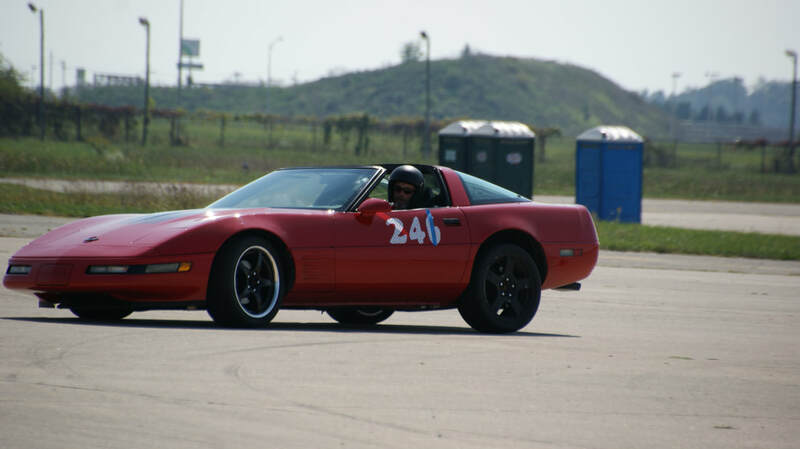 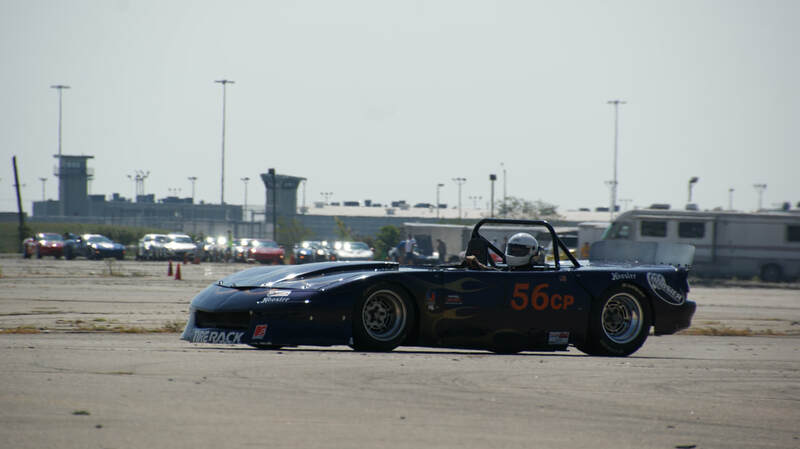 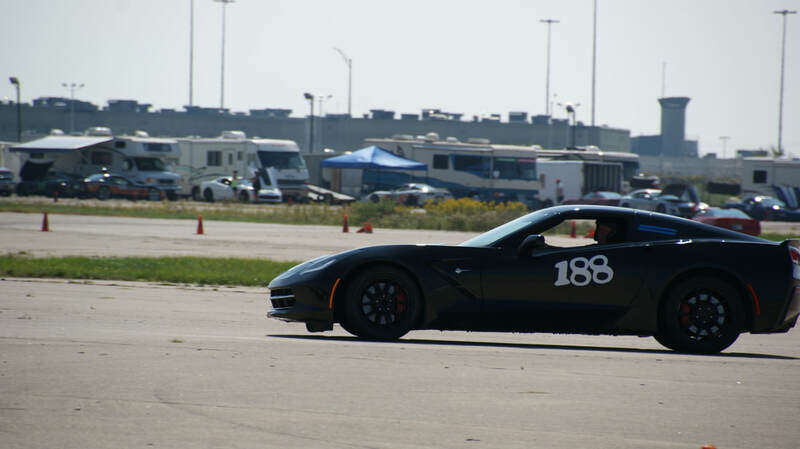 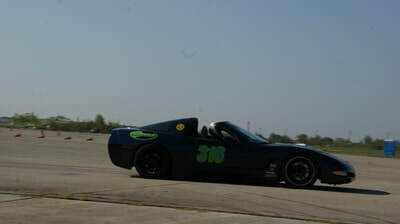 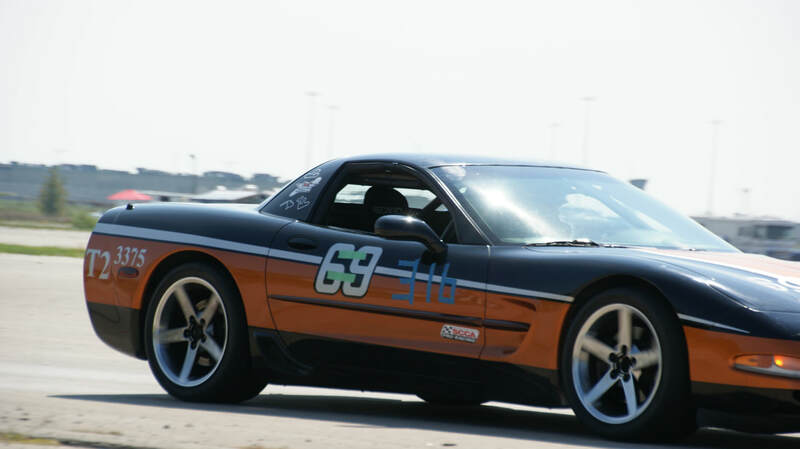 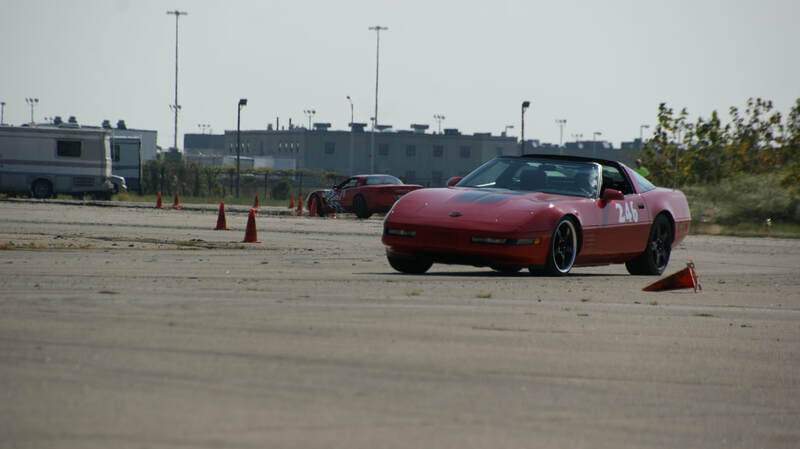 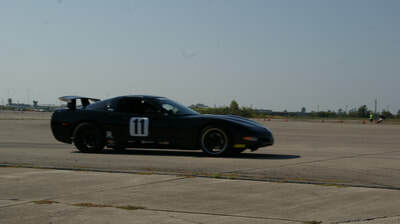 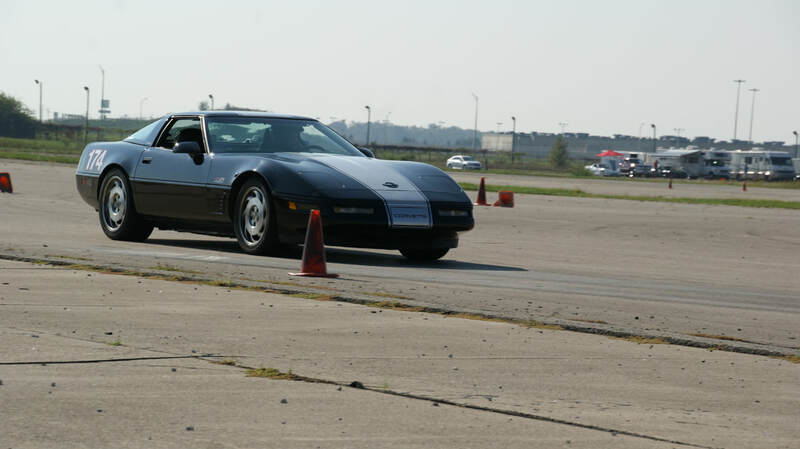 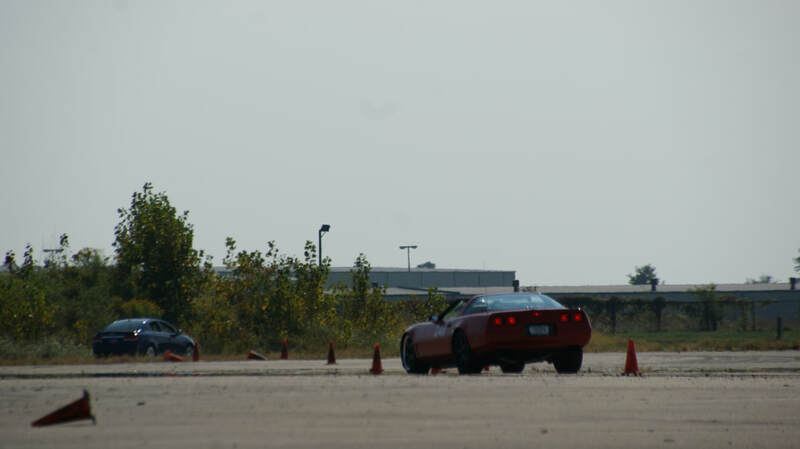 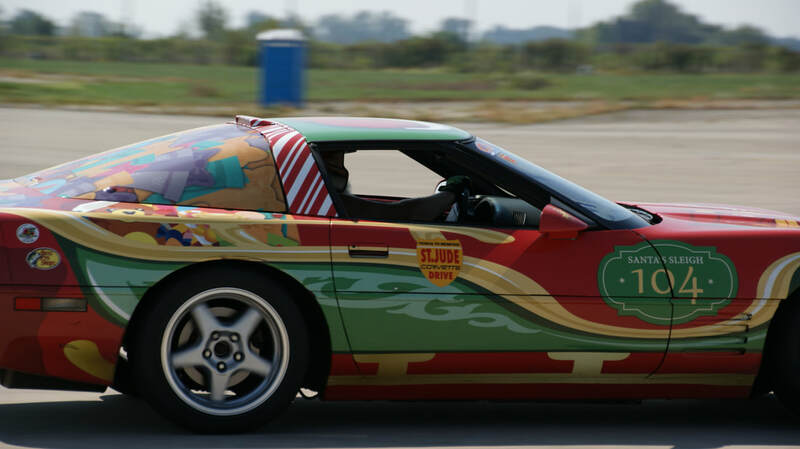 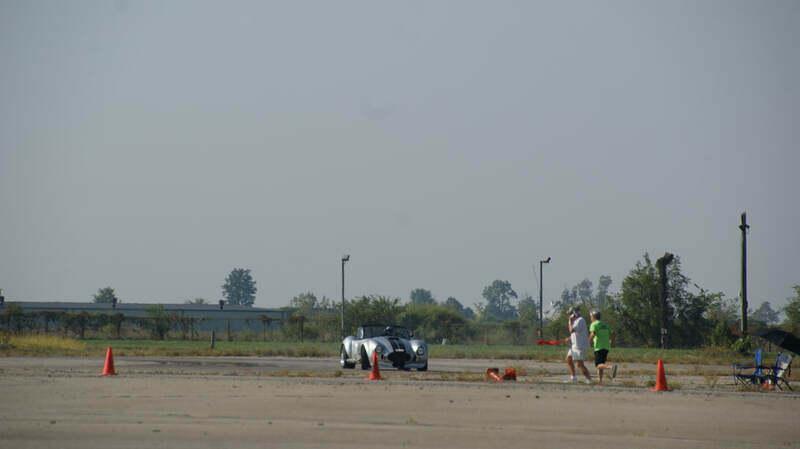 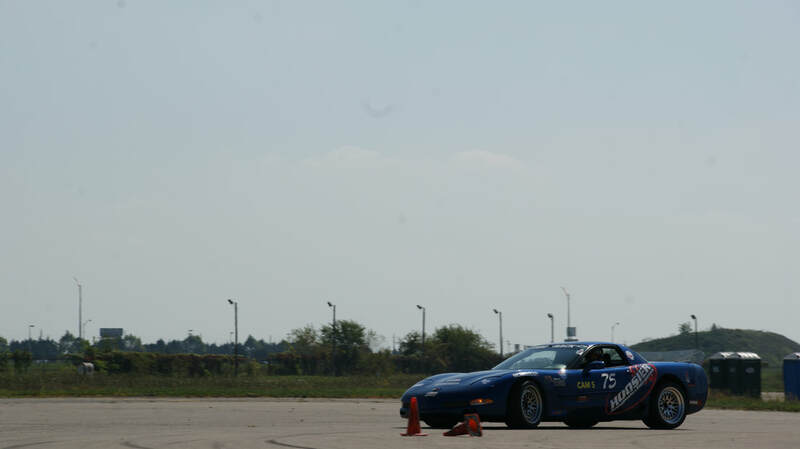 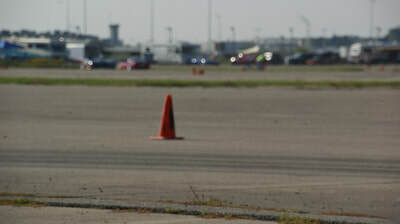 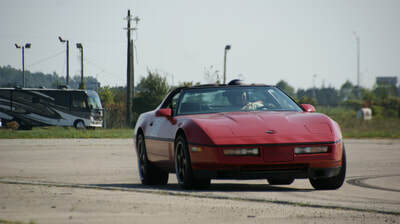 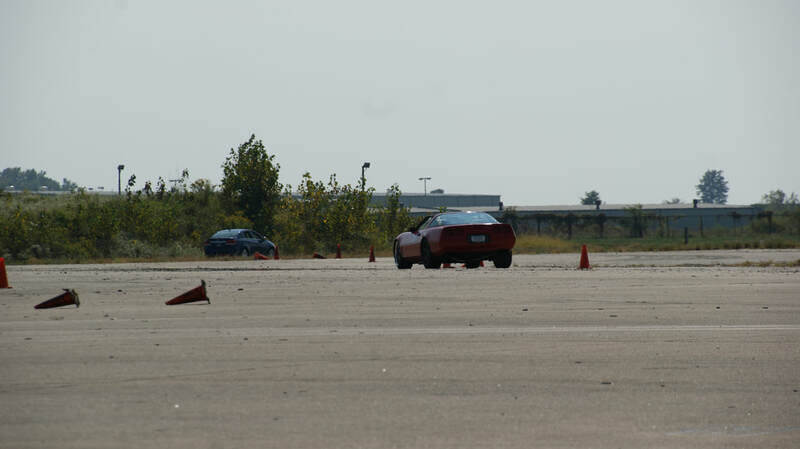 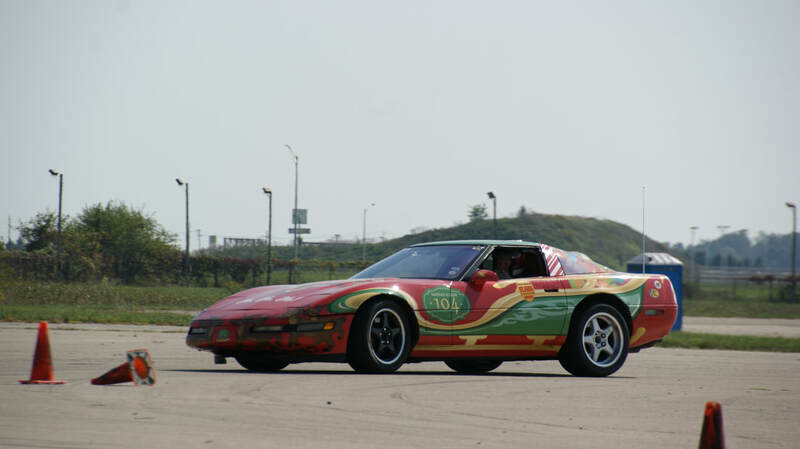 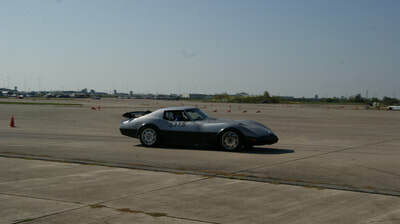 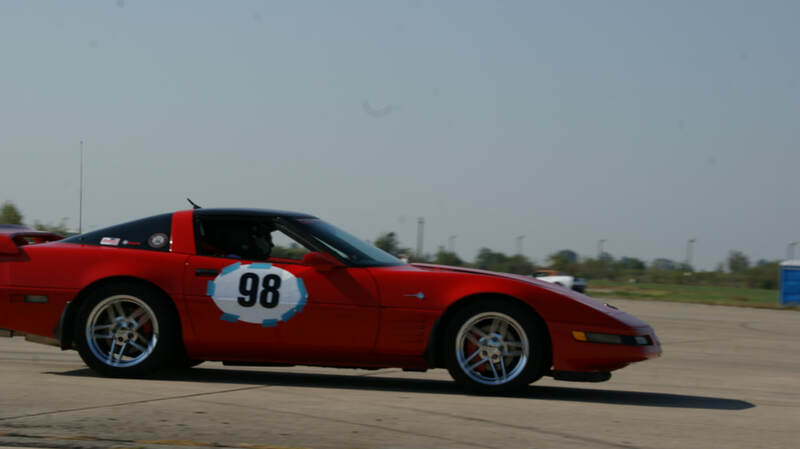 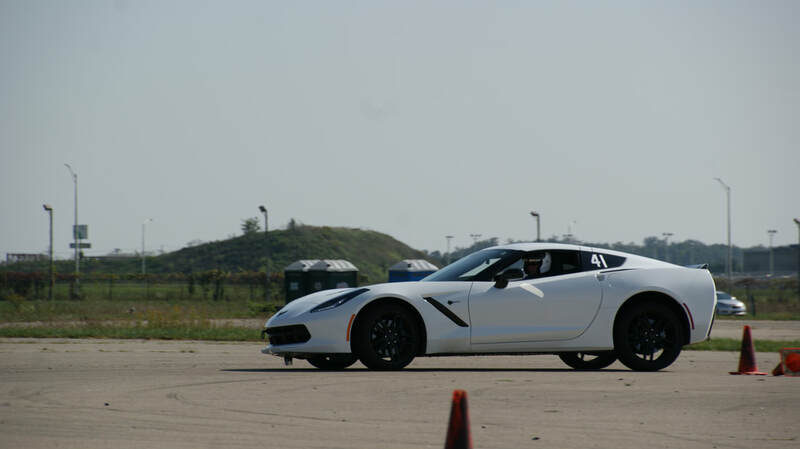 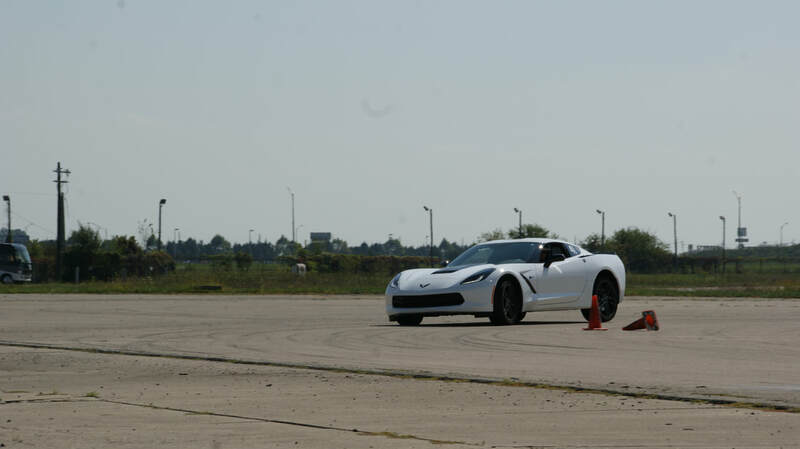 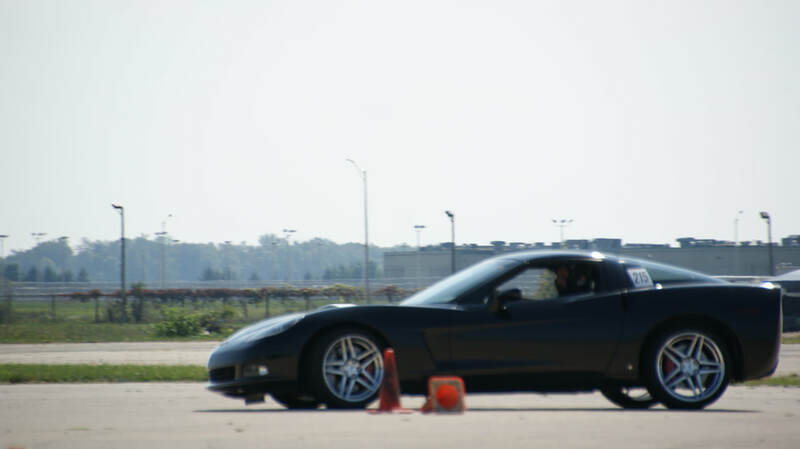 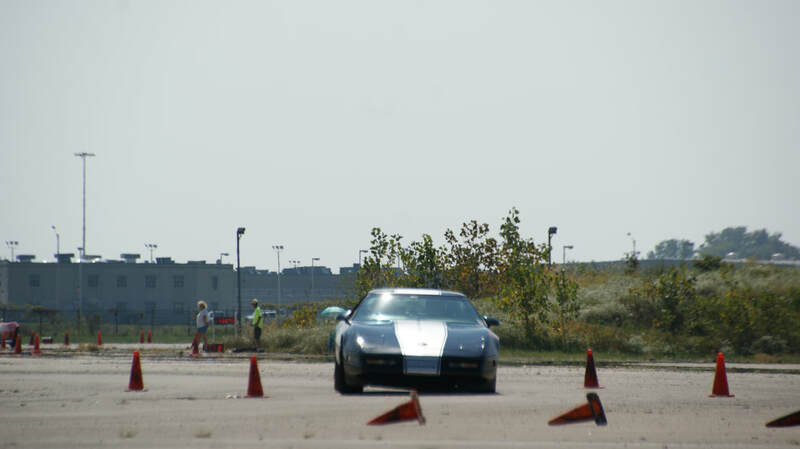 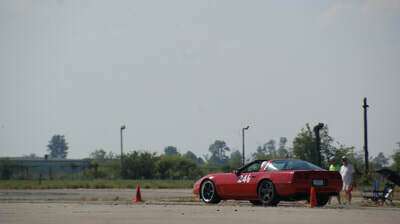 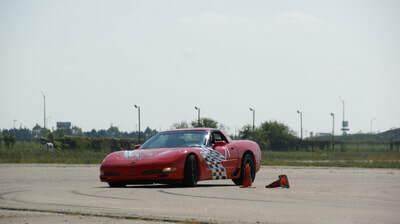 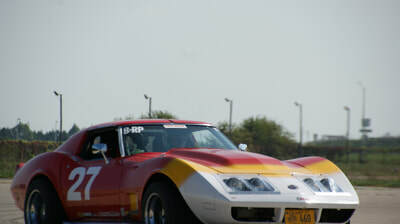 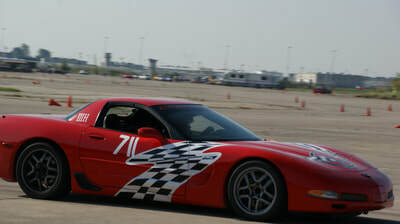 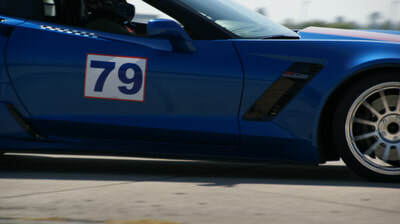 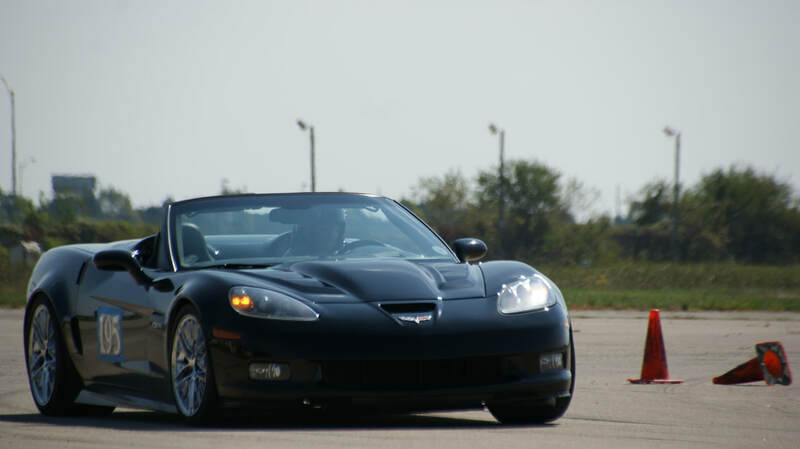 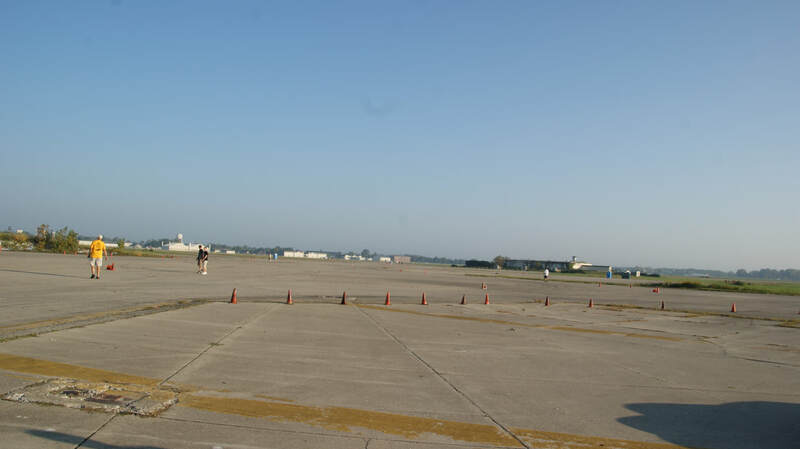 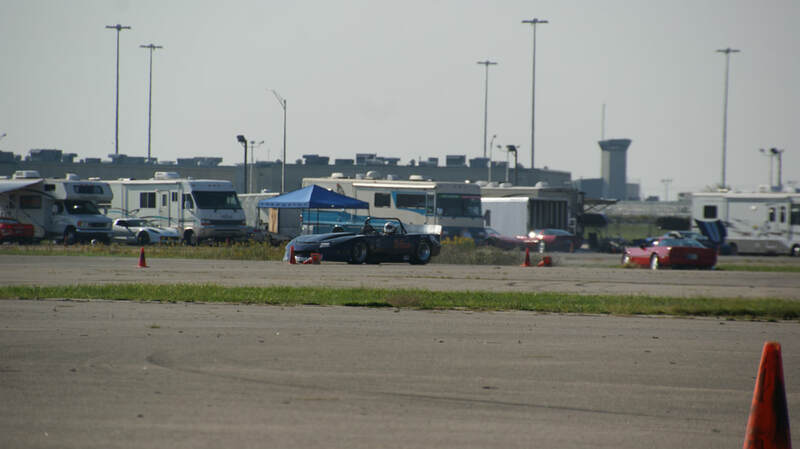 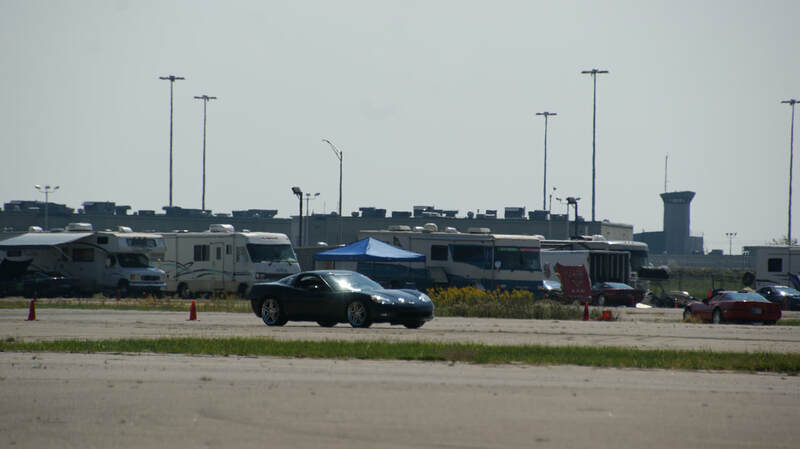 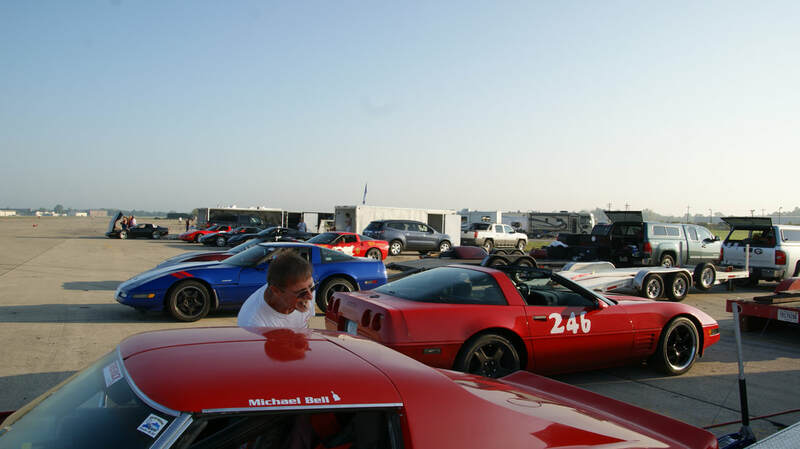 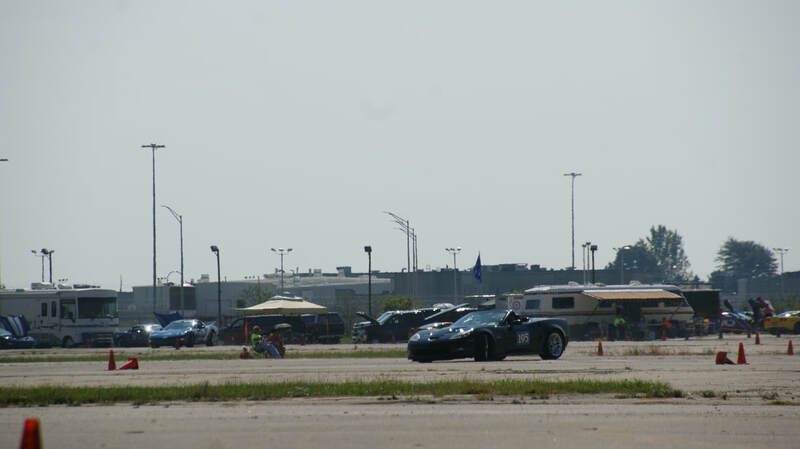 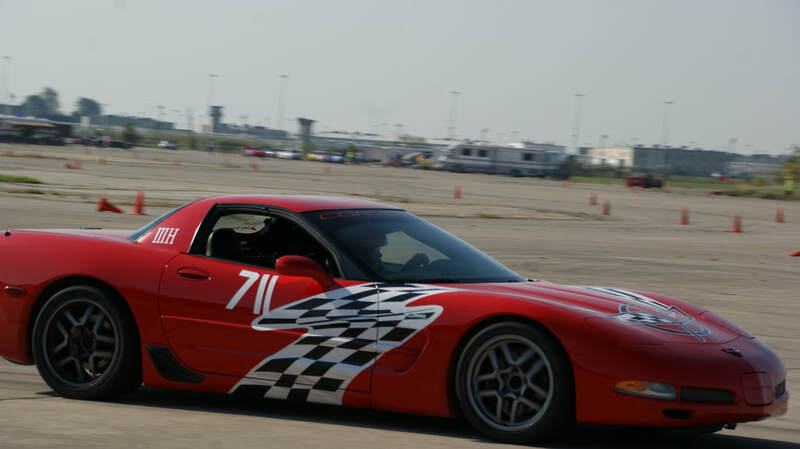 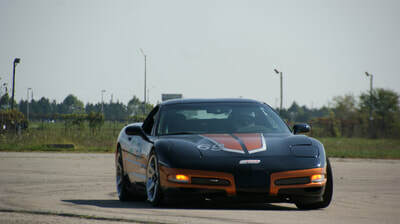 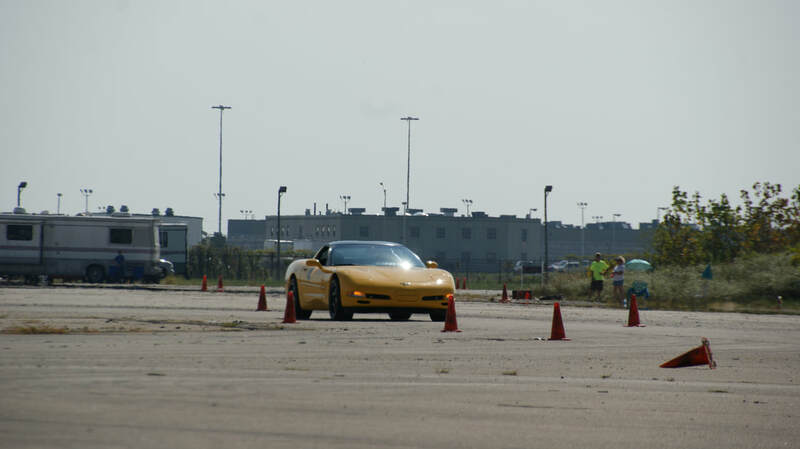 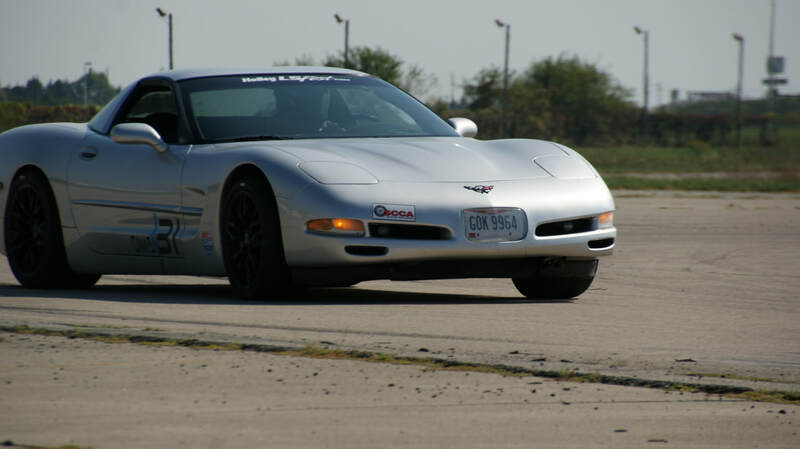 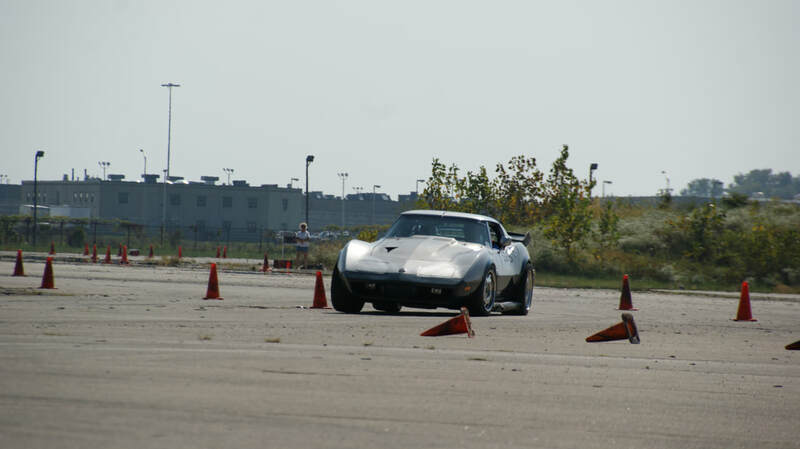 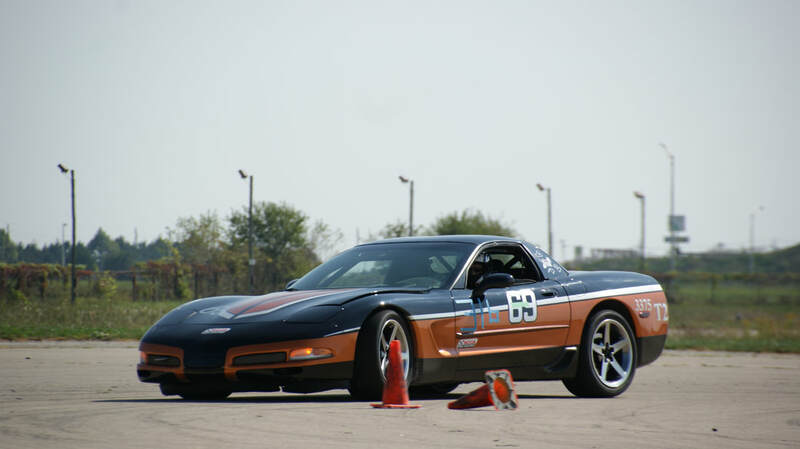 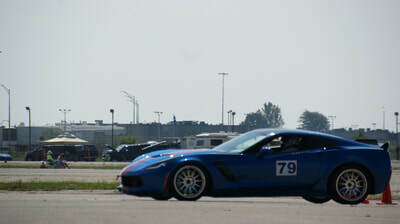 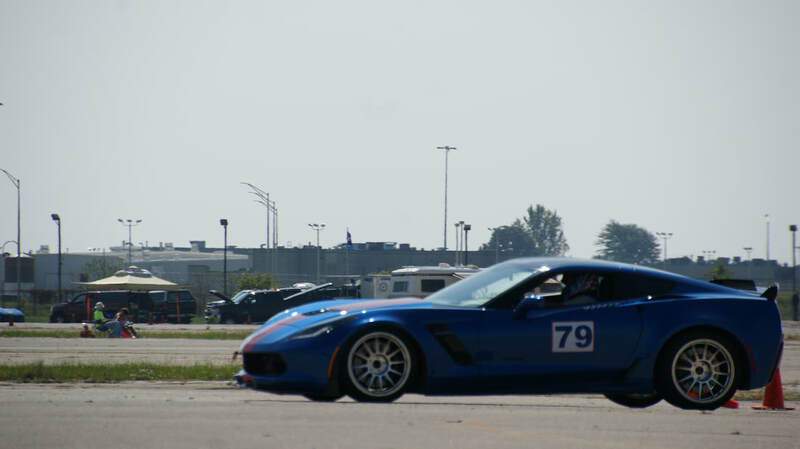 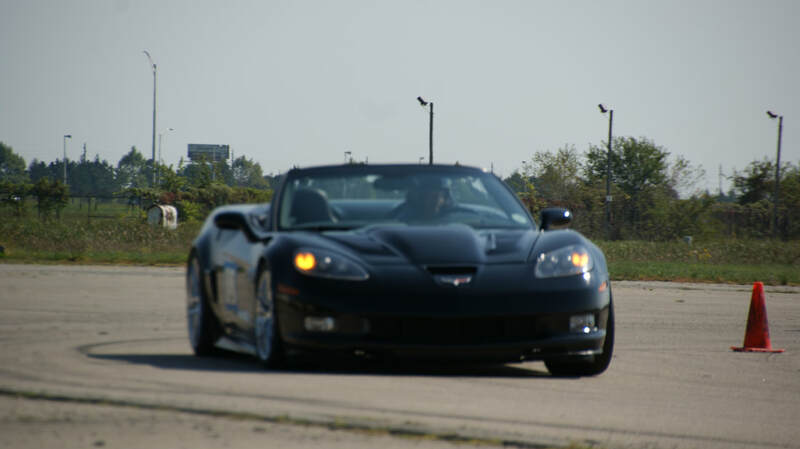 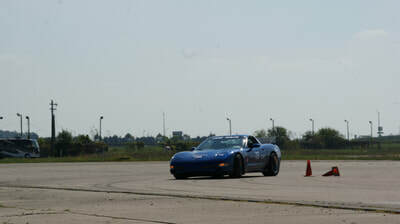 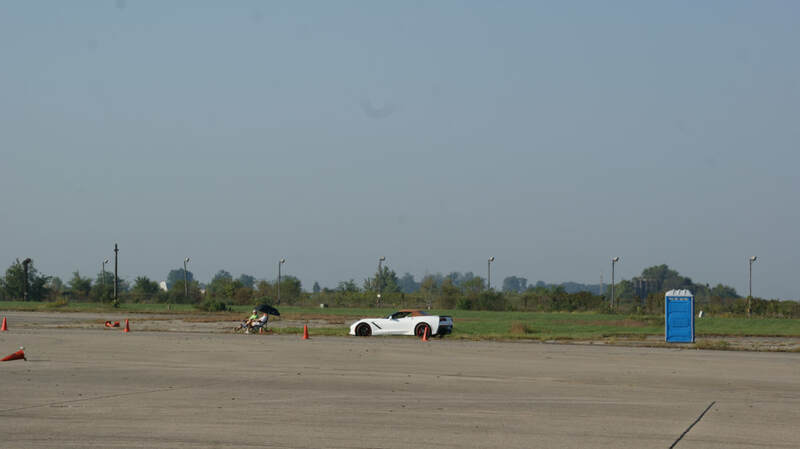 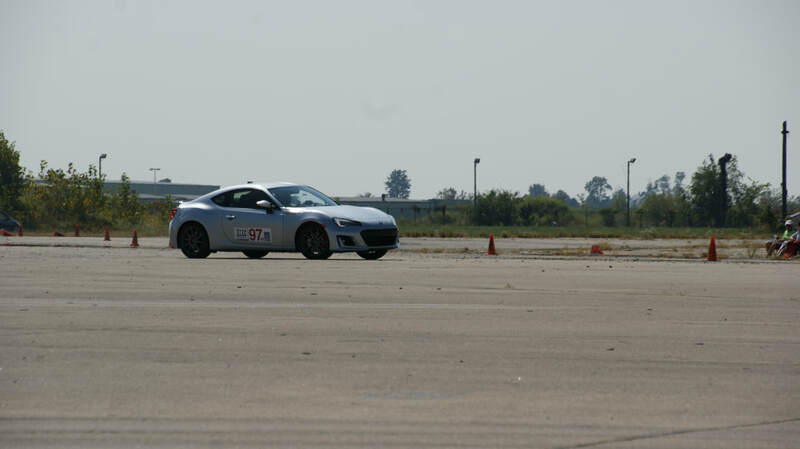 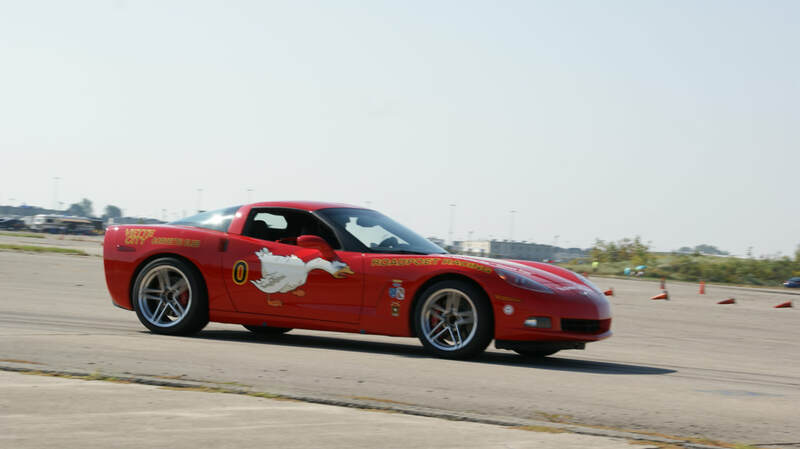 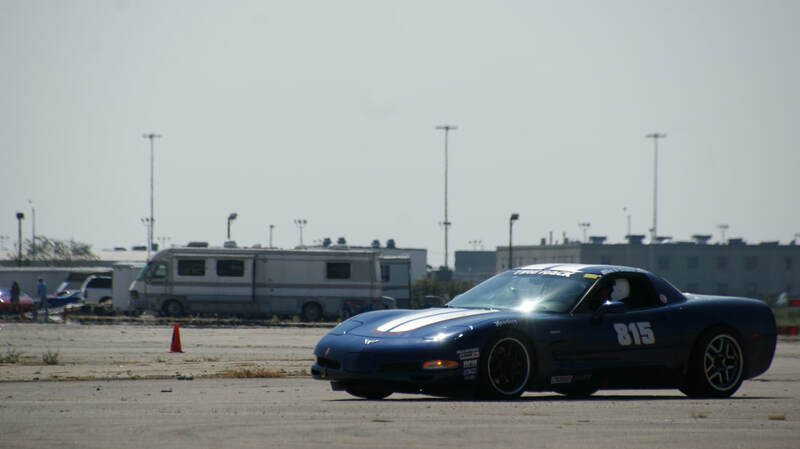 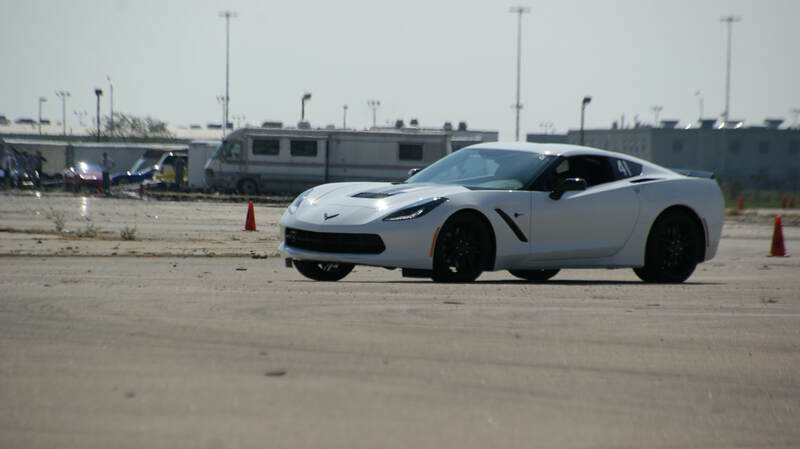 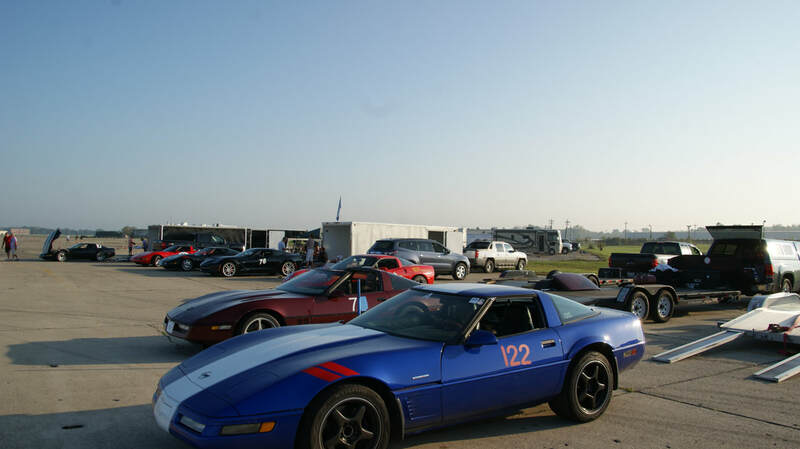 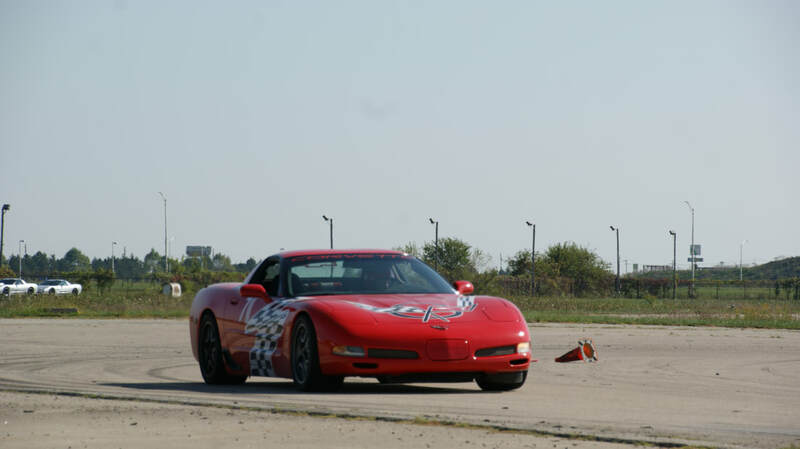 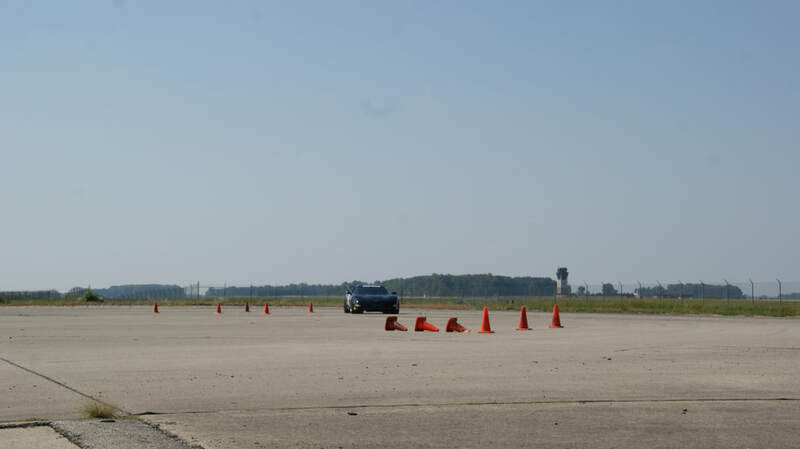 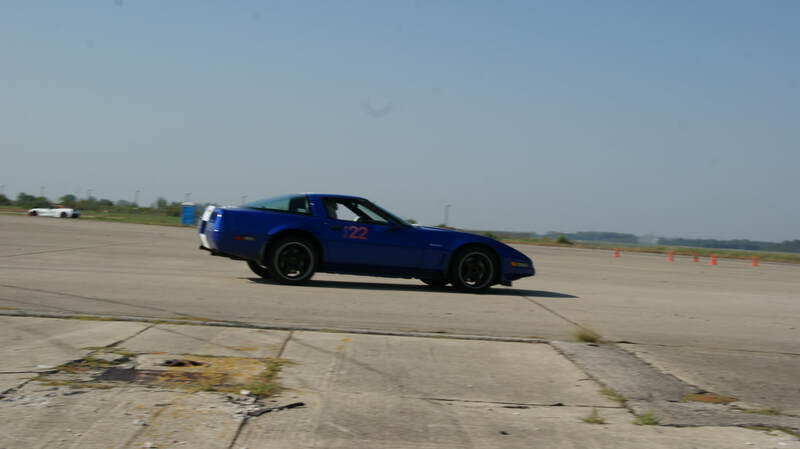 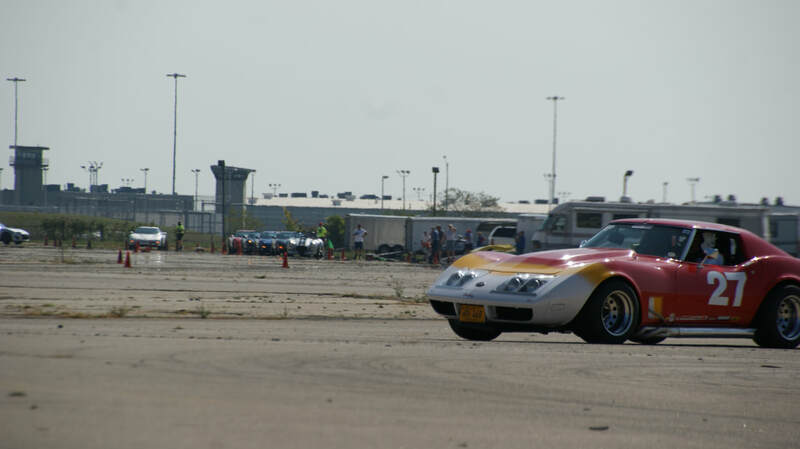 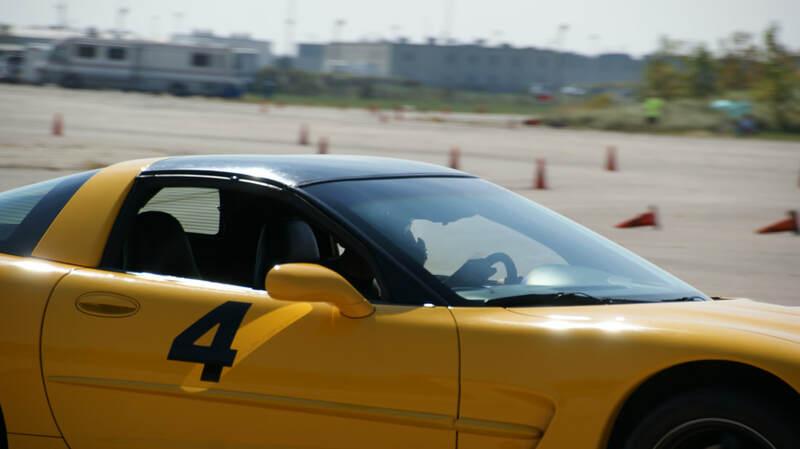 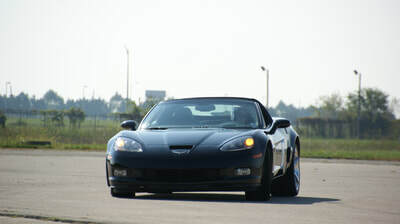 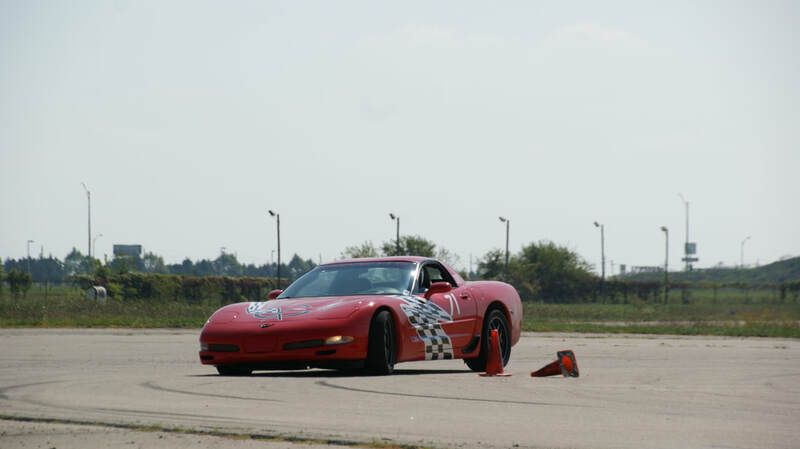 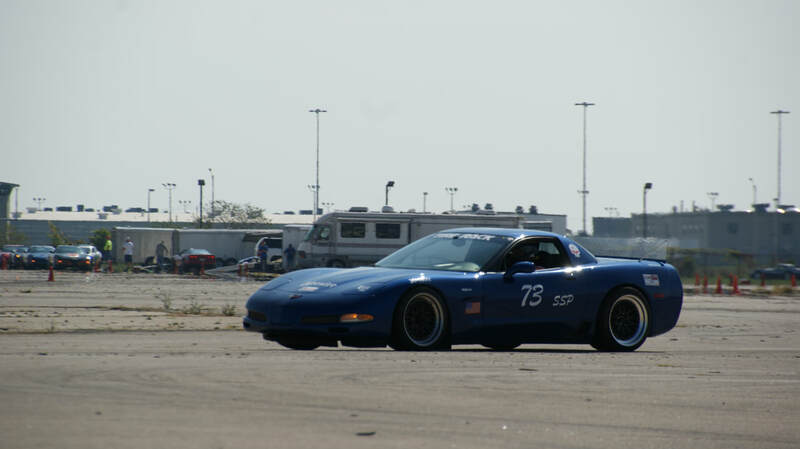 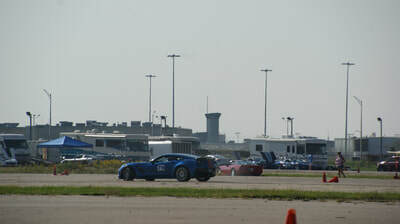 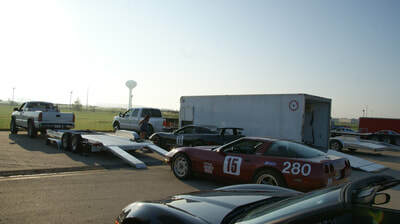 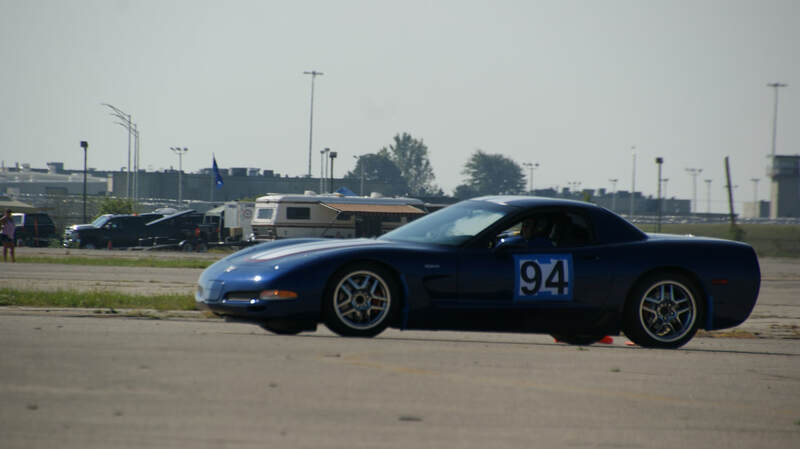 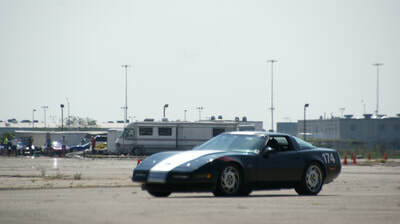 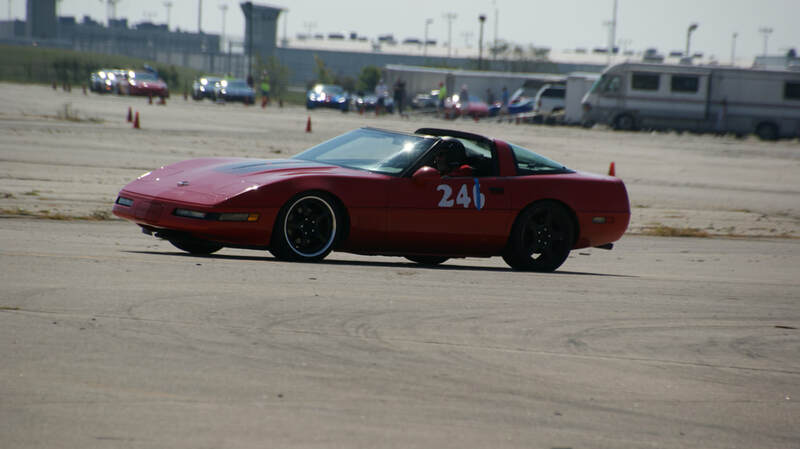 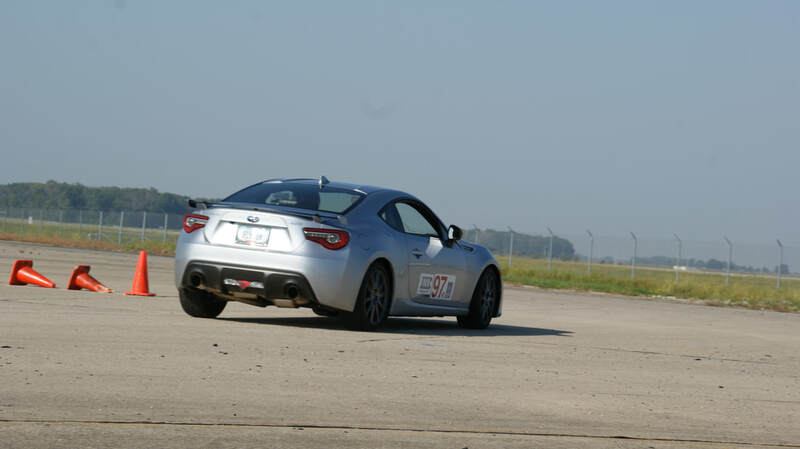 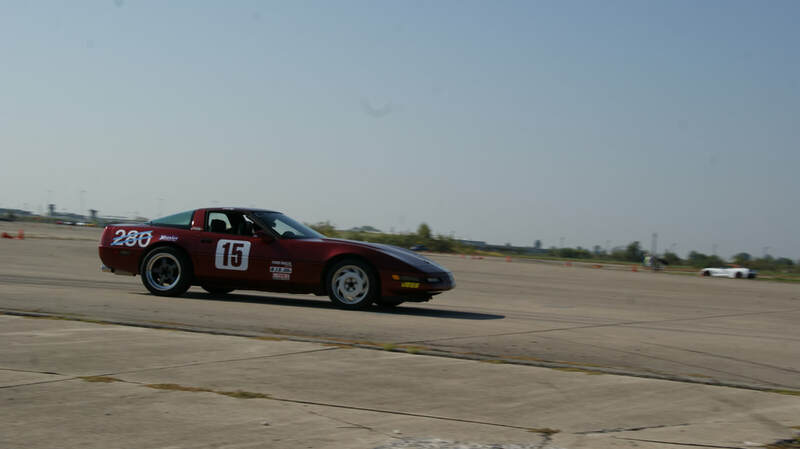 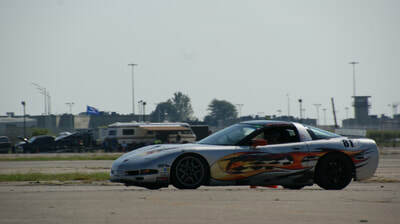 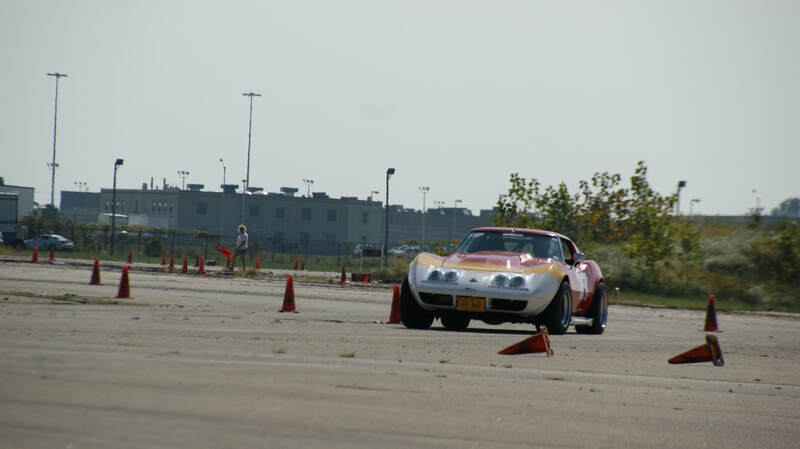 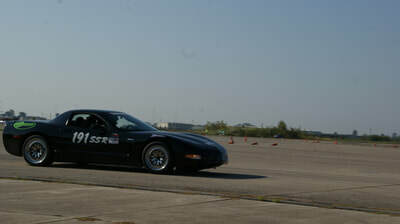 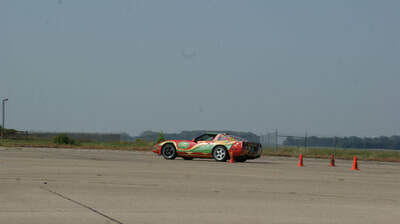 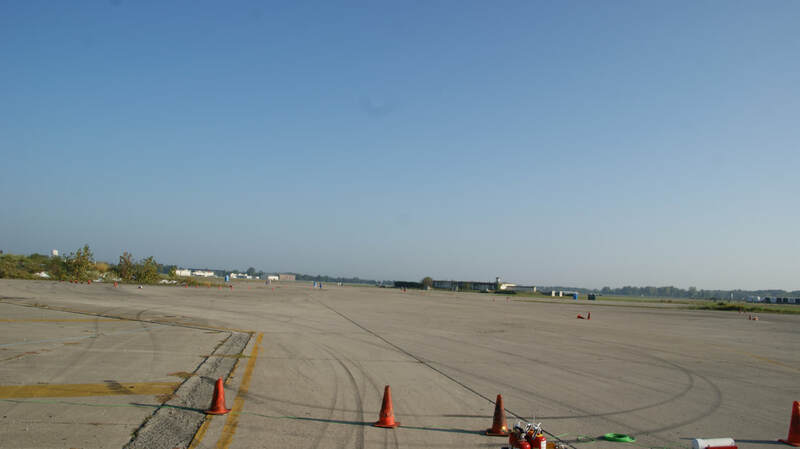 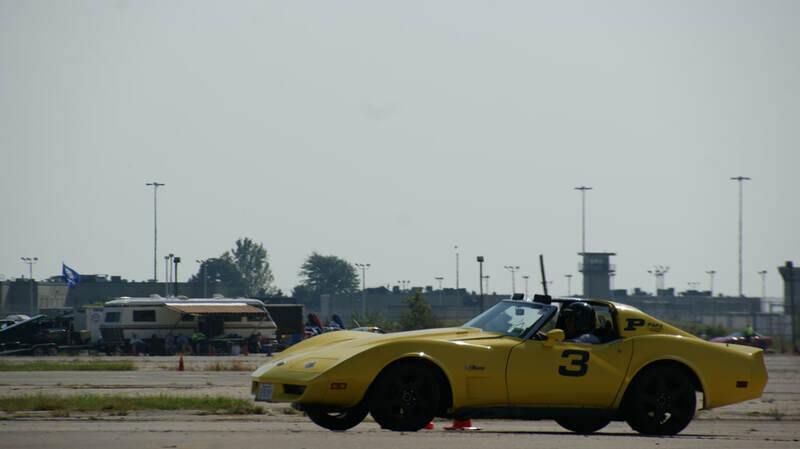 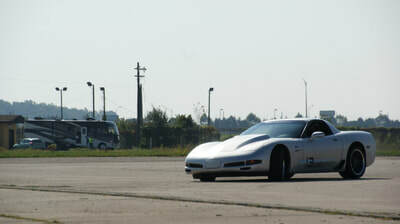 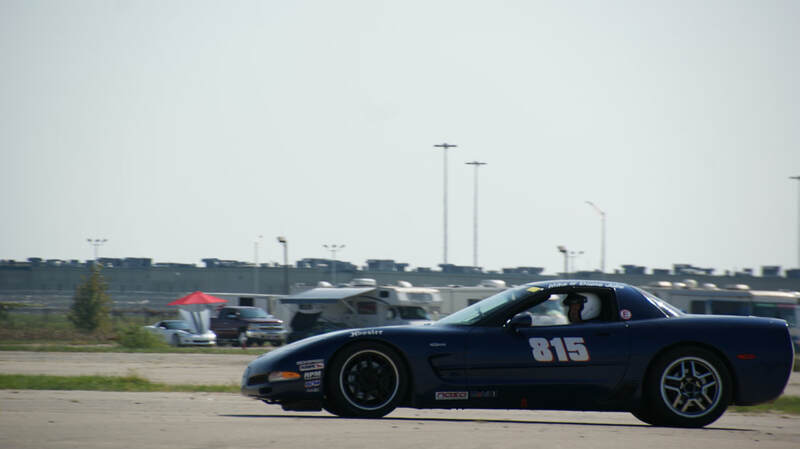 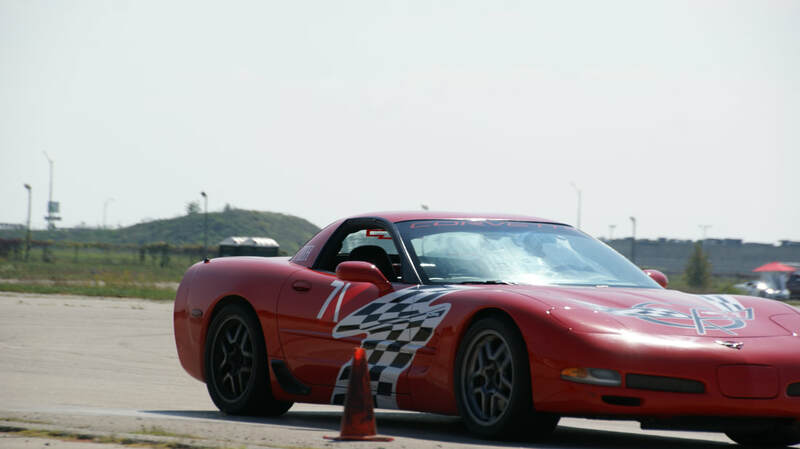 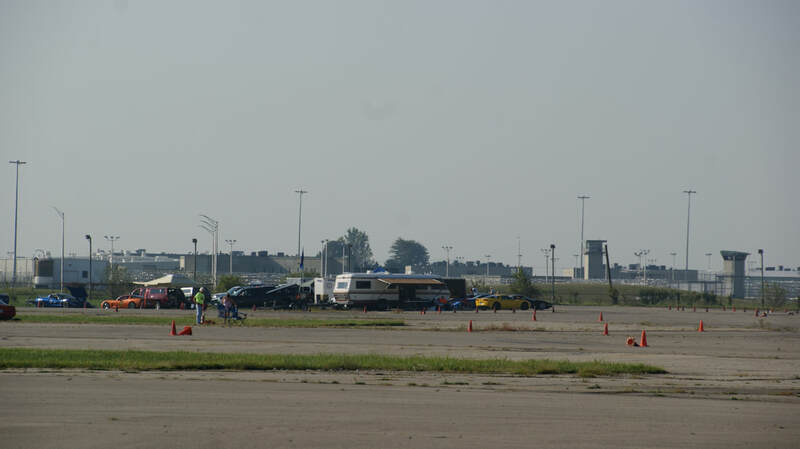 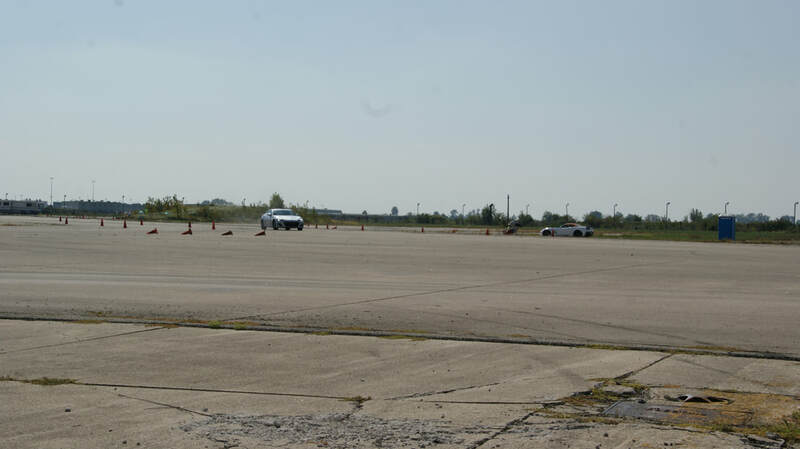 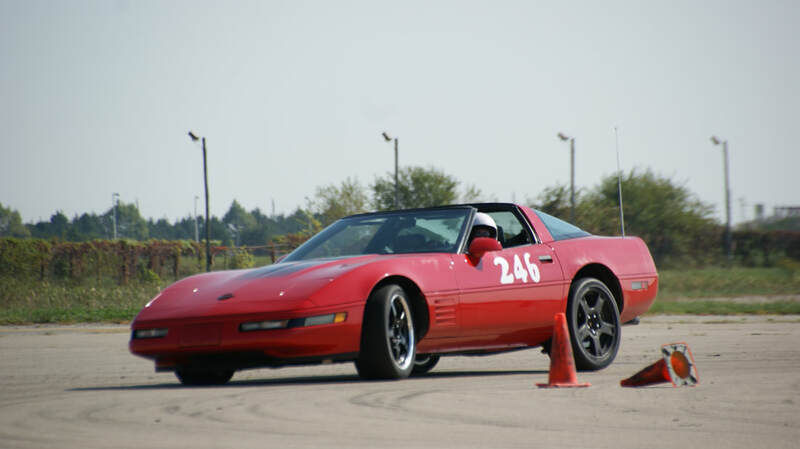 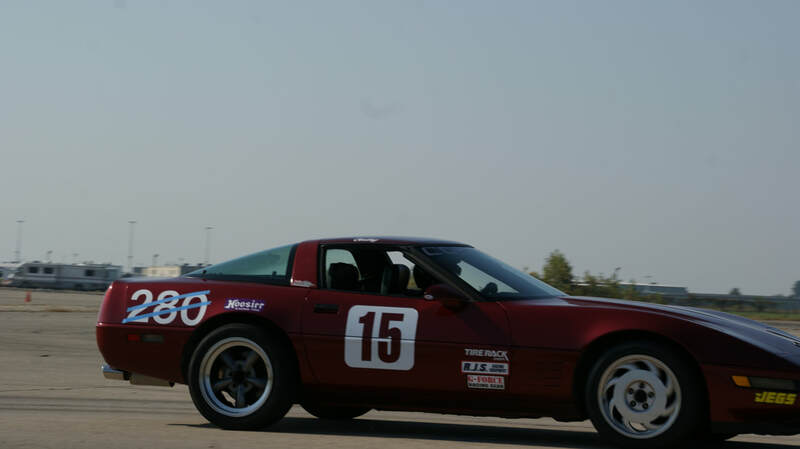 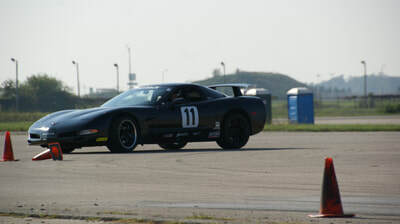 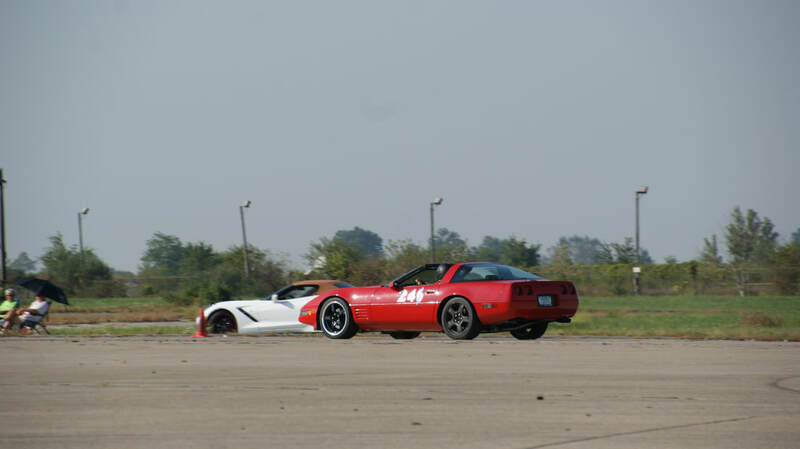 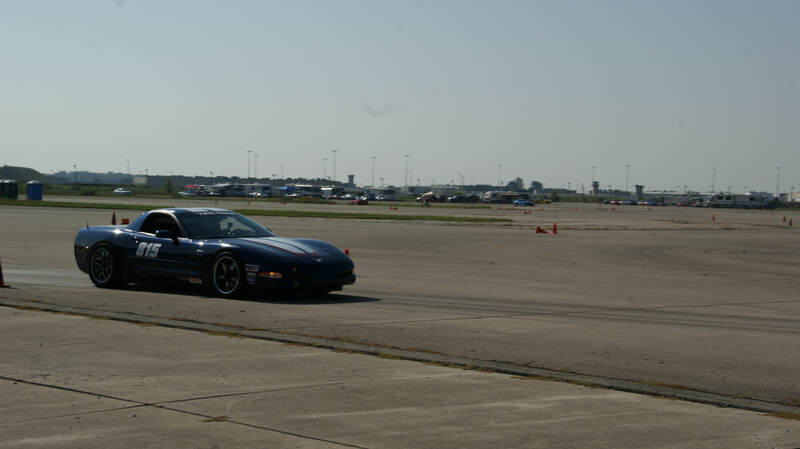 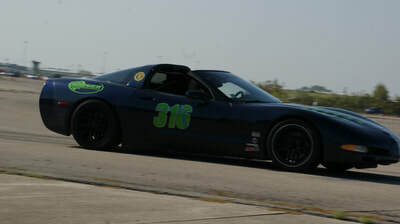 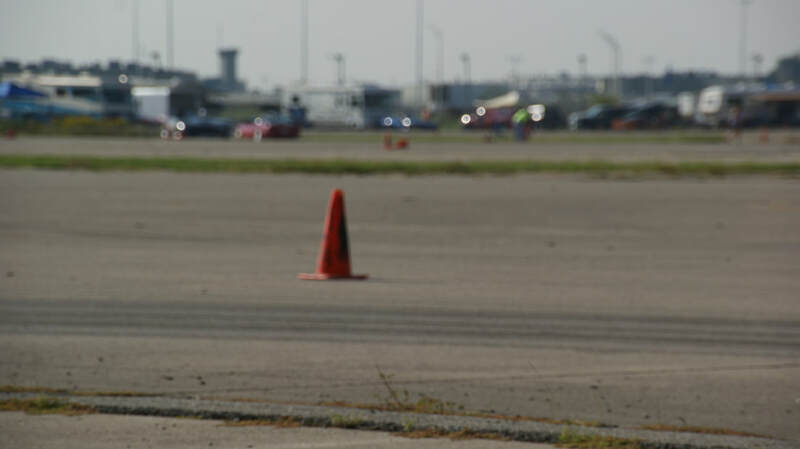 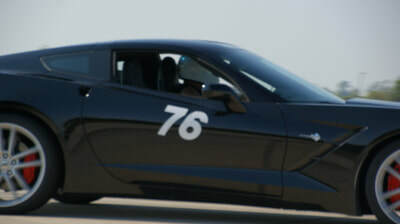 Over the weekend of September 23 & 24, what may have been one of the hottest in the Indiana Region's long history of Super September Autocross, a great group of racers and workers showed up to enjoy the events. 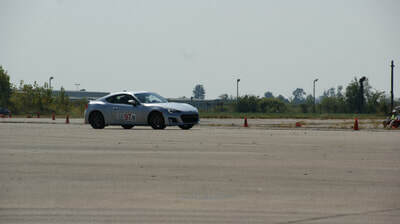 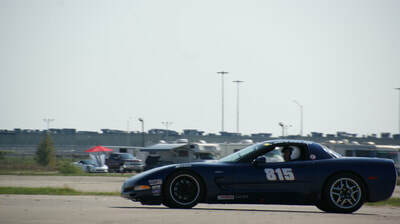 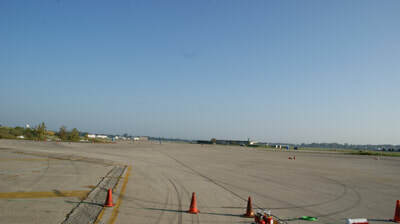 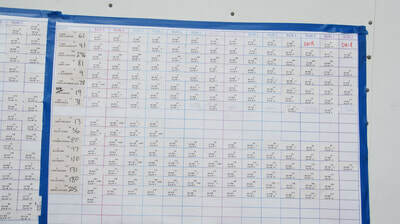 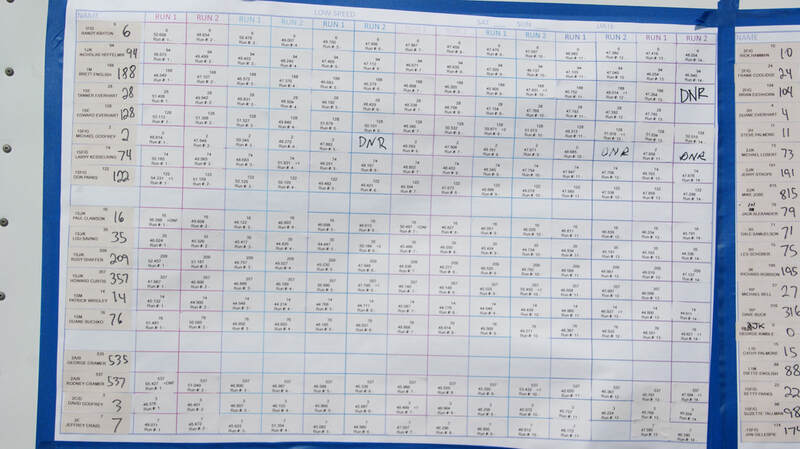 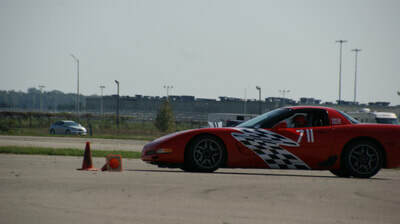 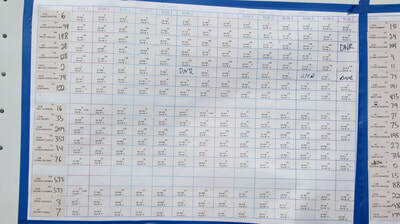 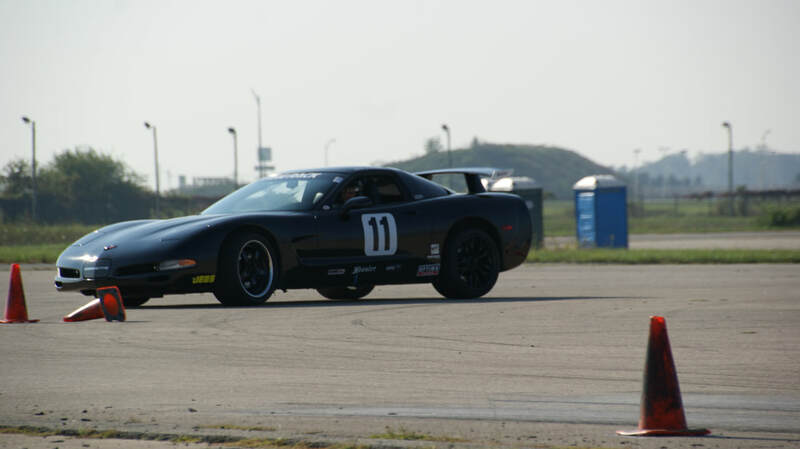 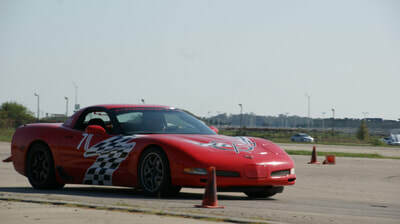 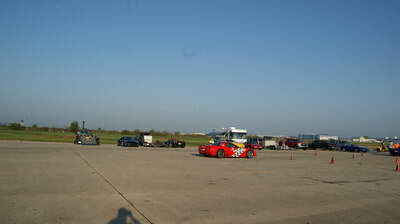 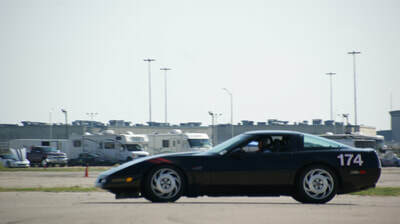 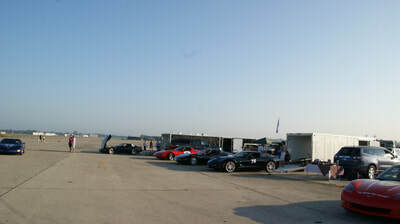 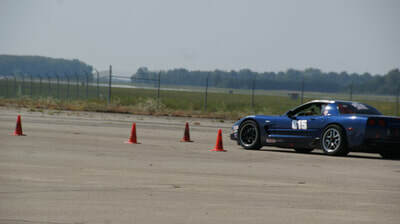 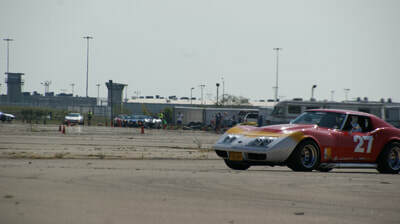 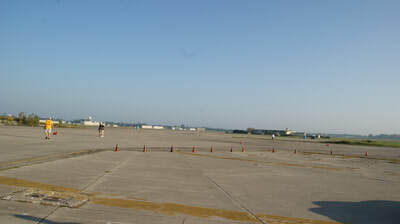 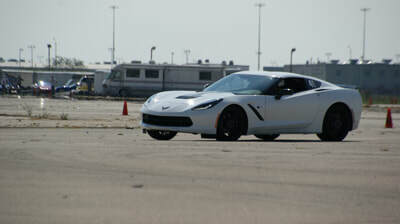 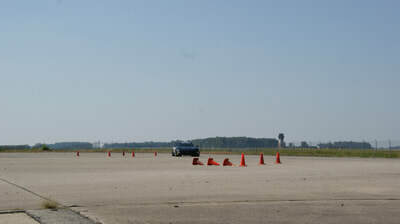 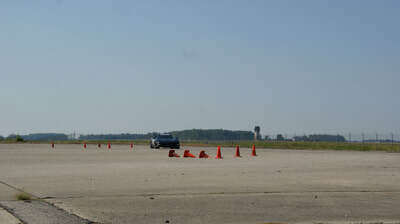 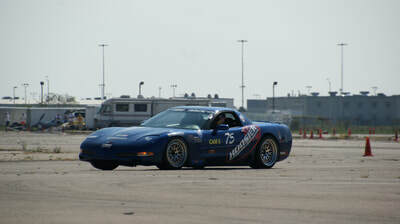 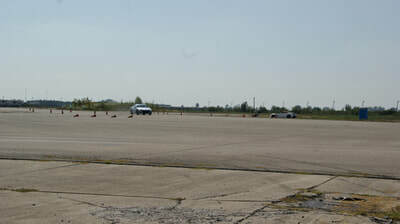 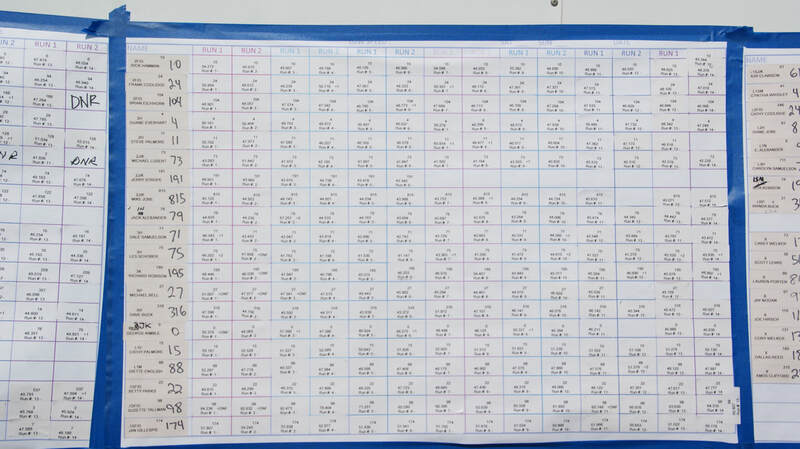 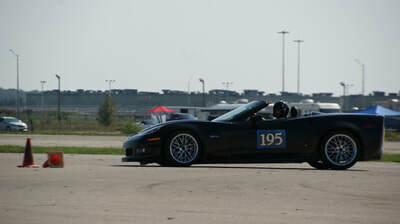 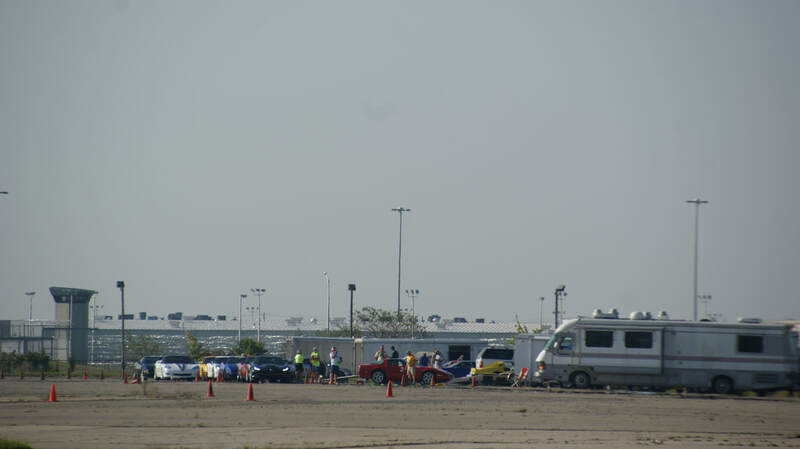 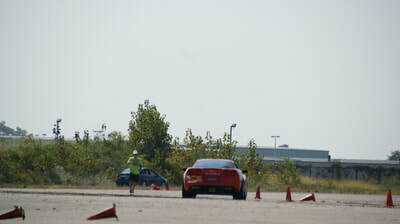 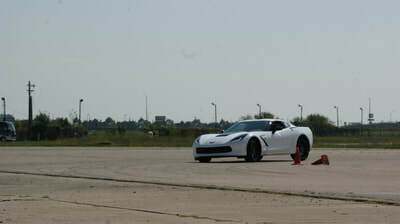 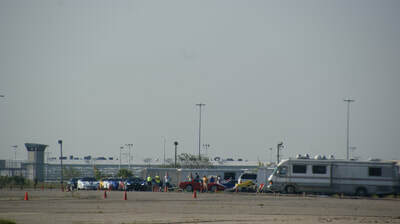 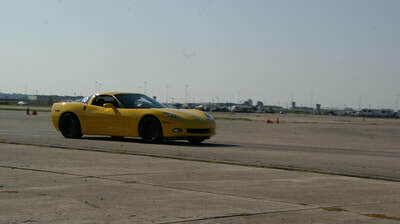 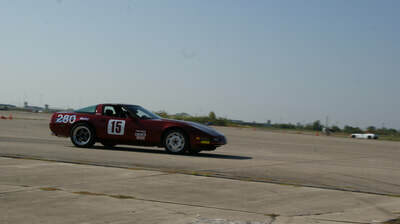 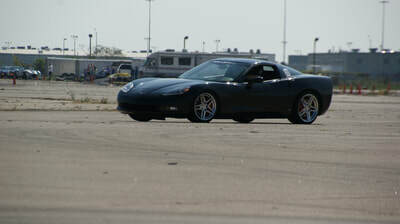 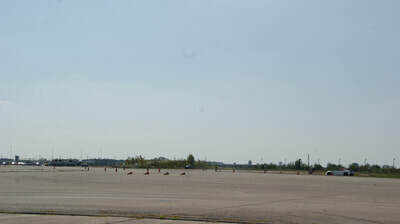 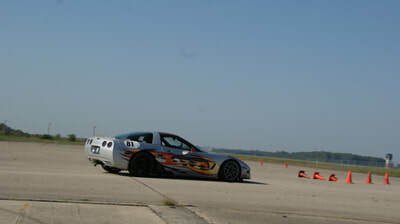 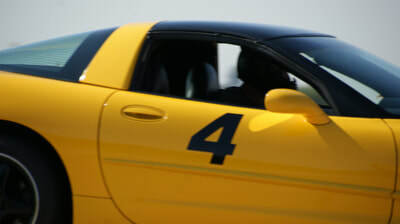 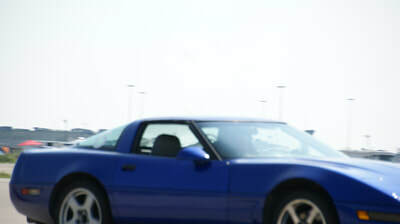 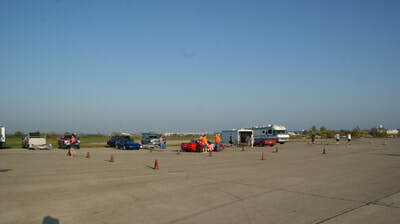 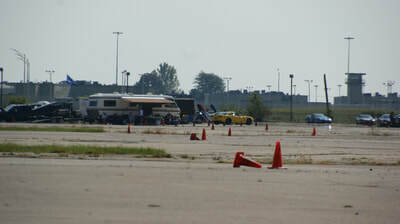 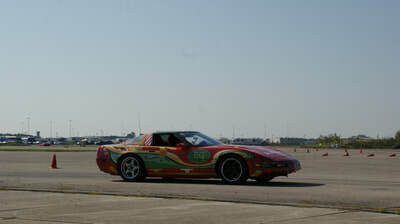 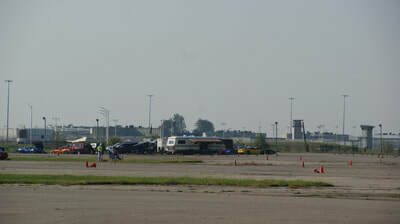 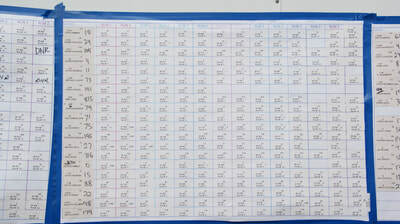 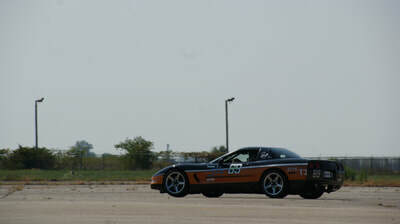 Saturday's driver count was over 50 while Sunday lost a few to other NCCC and Sunday events. 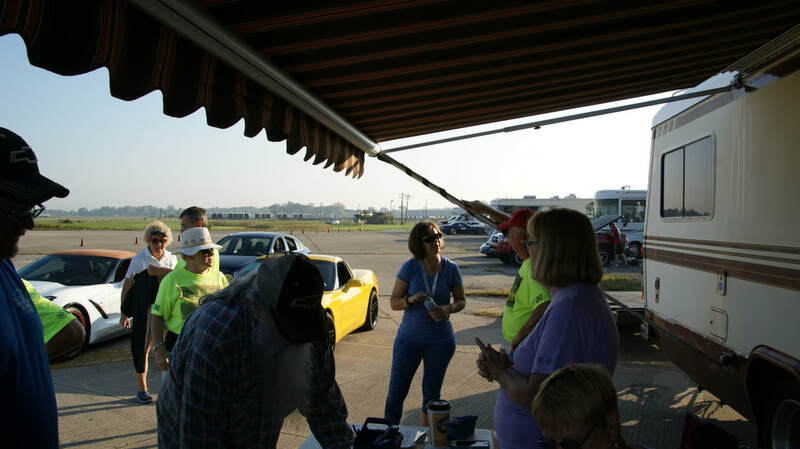 There were few issues over the two days with Saturday finishing before 4, even with a 1/2 hour break, which was in plenty of time for the pizza party at 5 PM at the nearby Grissom museum. During the day's running everyone consumed a lot of water trying to stay hydrated as the afternoon sun beat down on them.